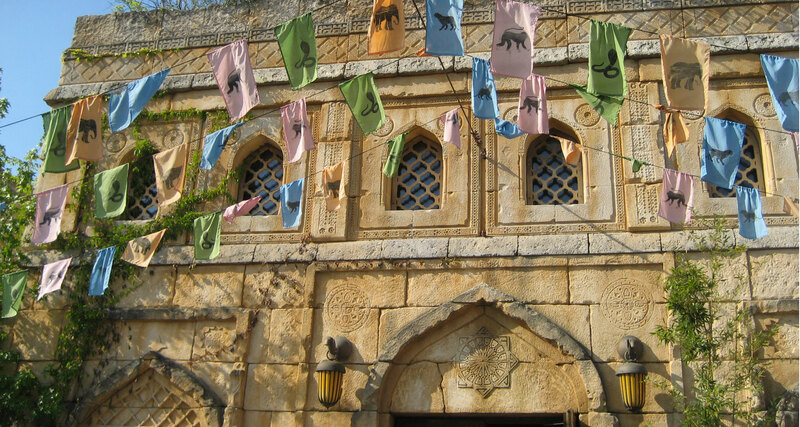 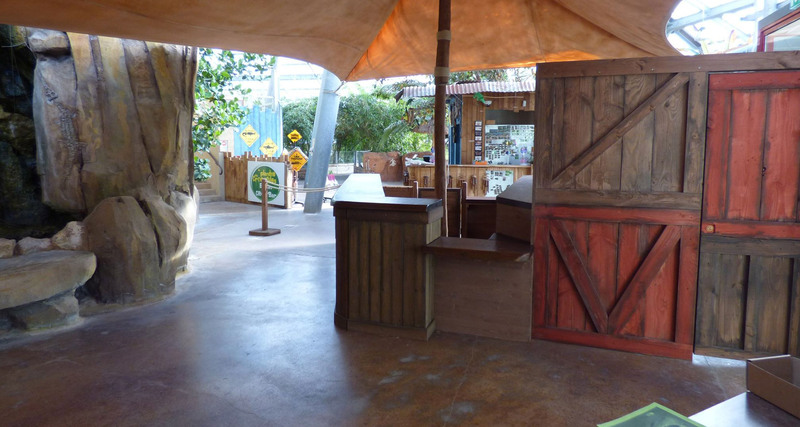 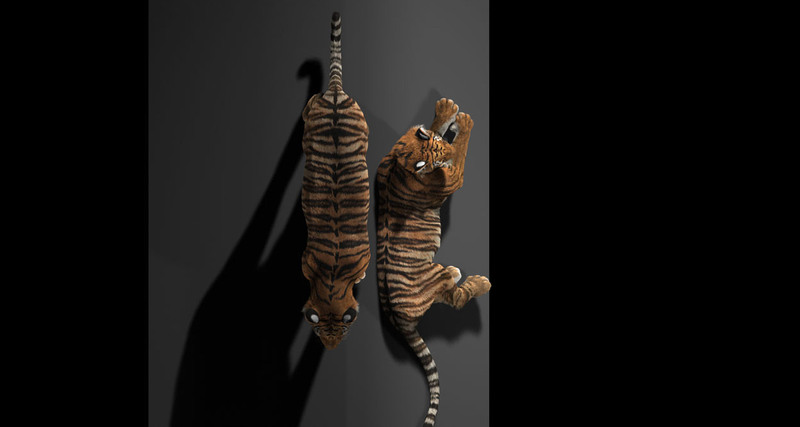 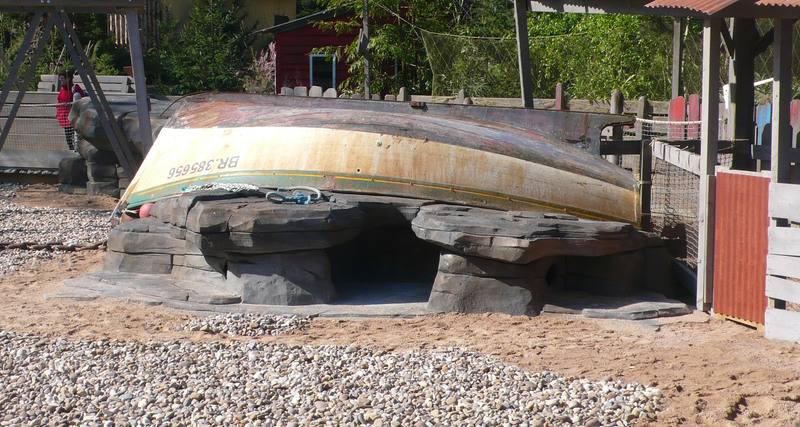 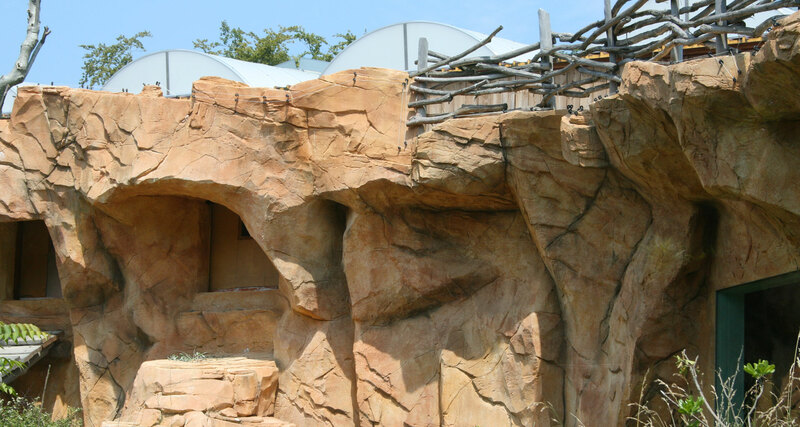 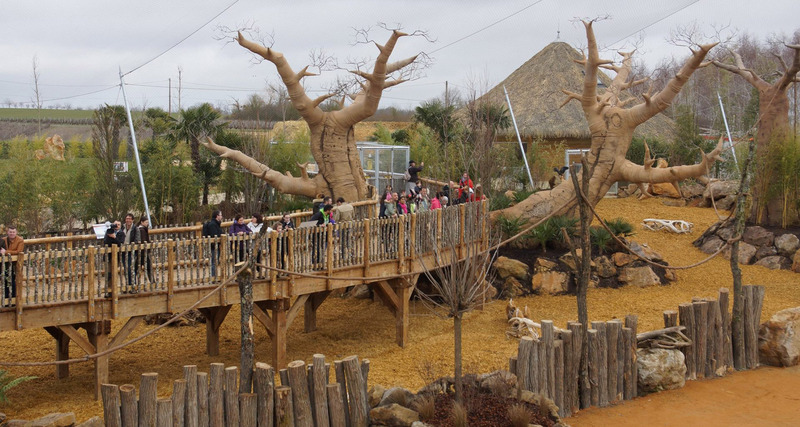 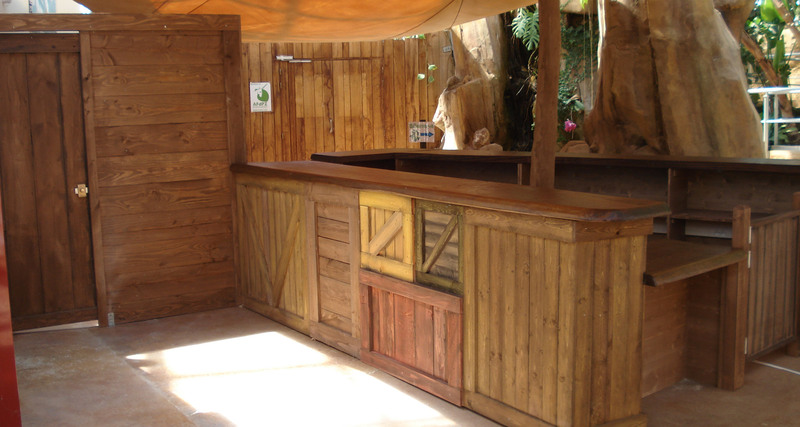 AAB designs and builds realistic decors recreating the environment of all the animals you could find in a safari park. 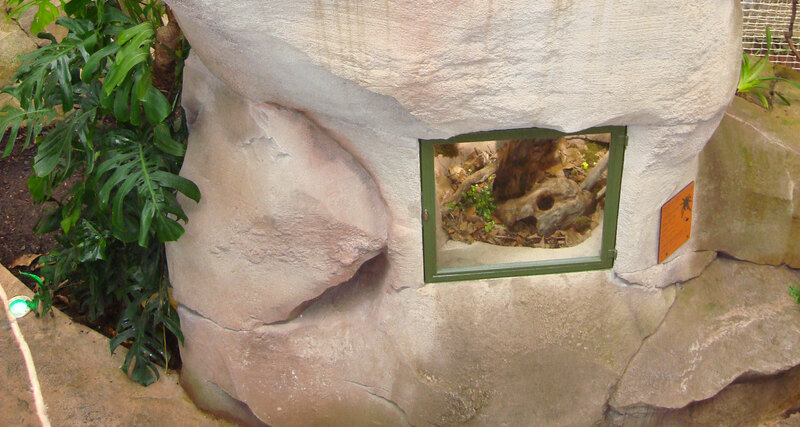 For rockfills as external enclosures, for the decoration of aquariums or the arrangement of greenhouses, AAB assists you in each stage of your project. 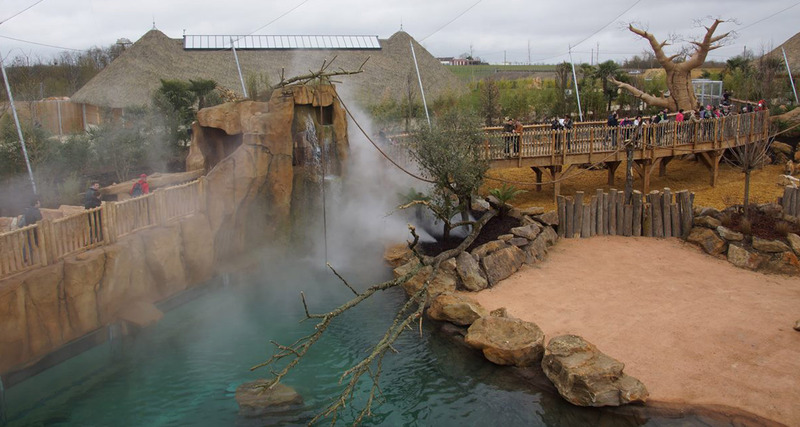 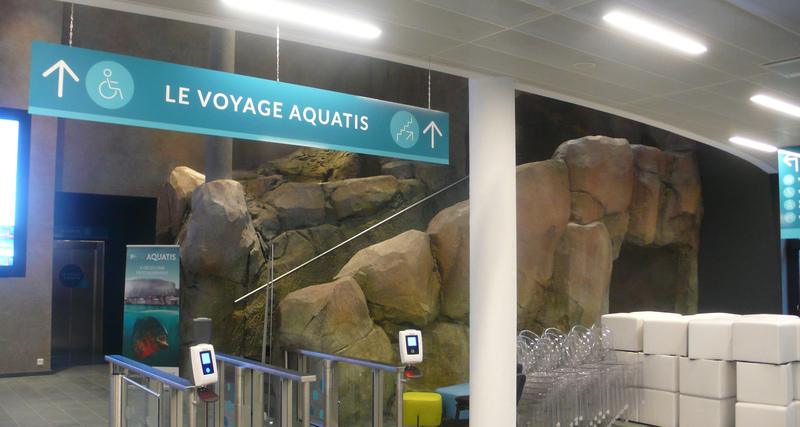 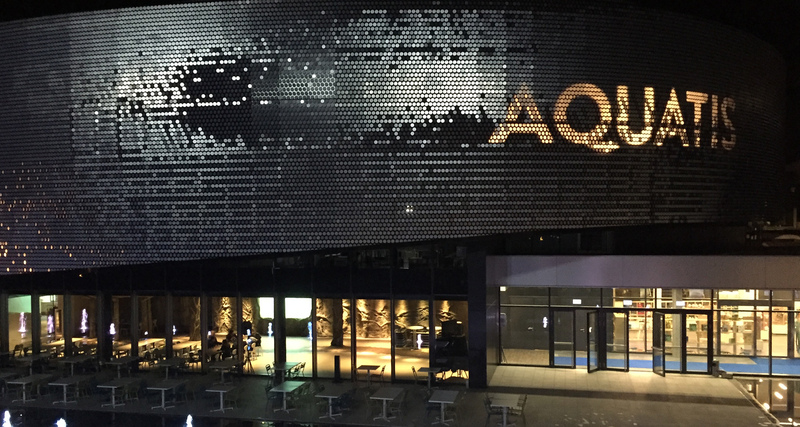 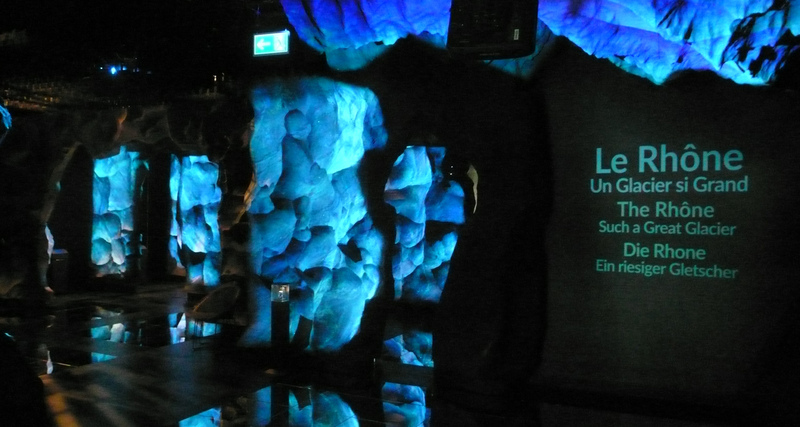 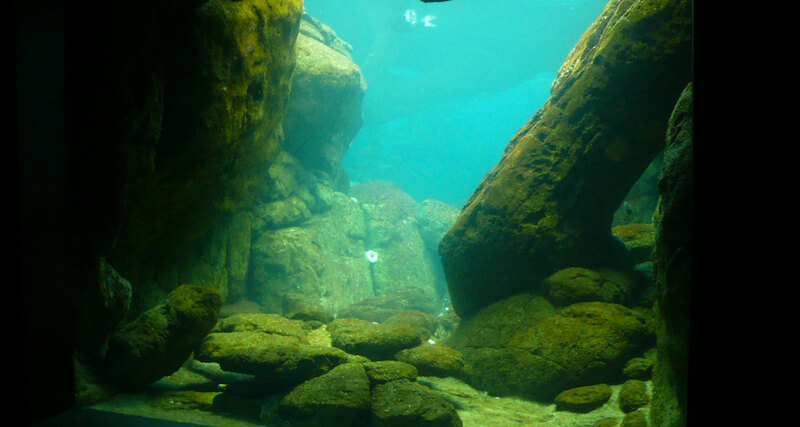 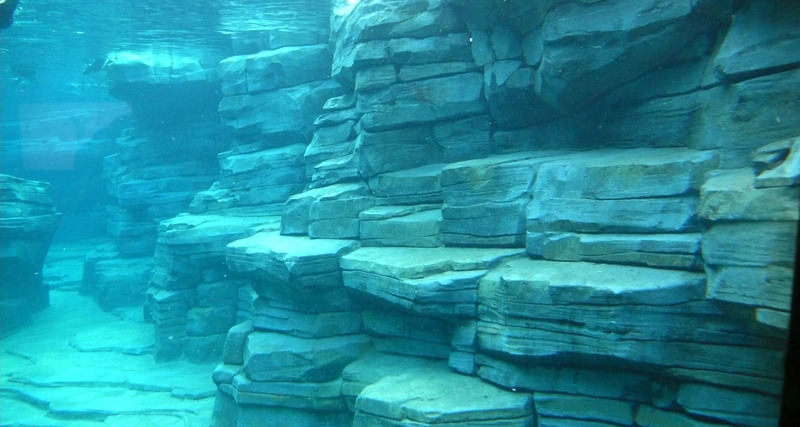 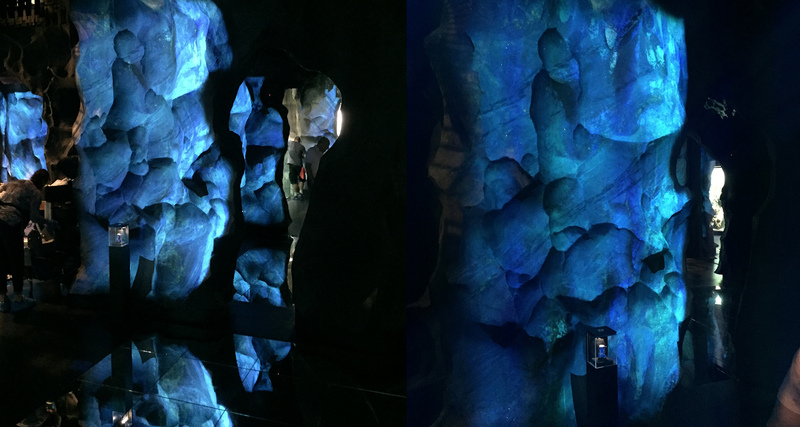 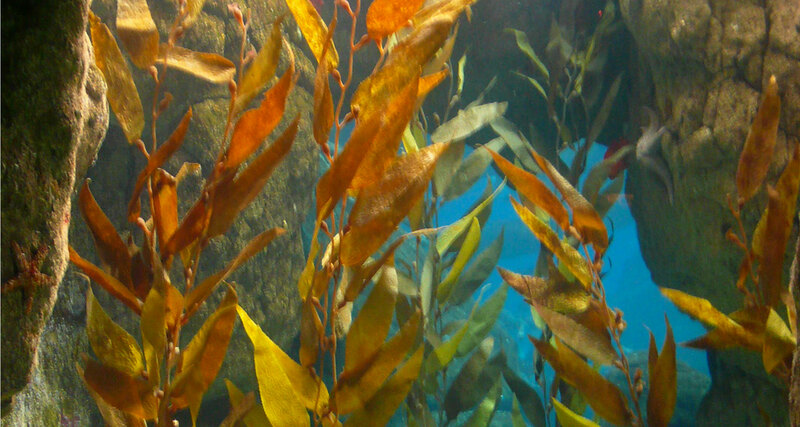 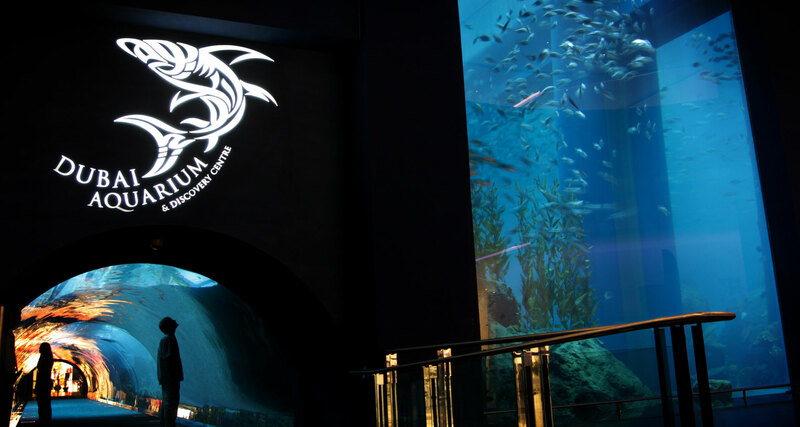 AAB took part in the design, scenography and production of various rock decors for the largest aquarium-freshwater aquarium in Europe – “AQUATIS”. 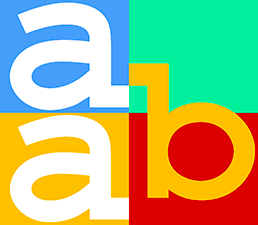 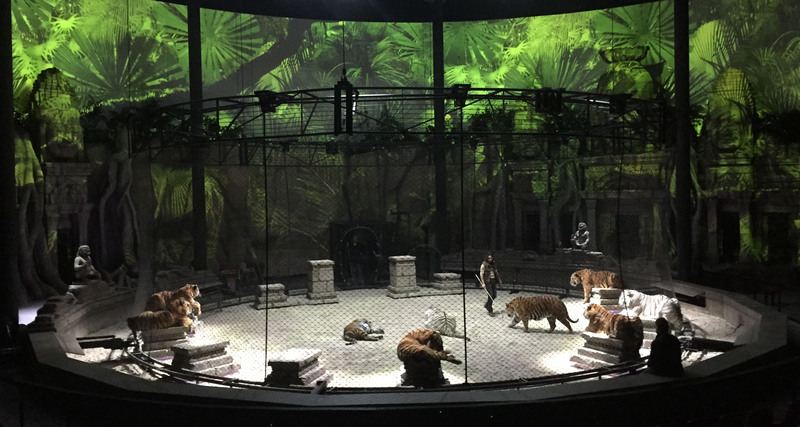 AAB Company participed to create a new space for lions. 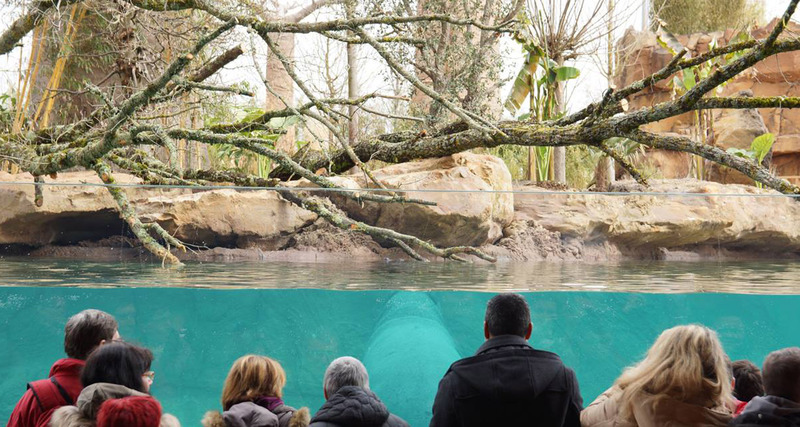 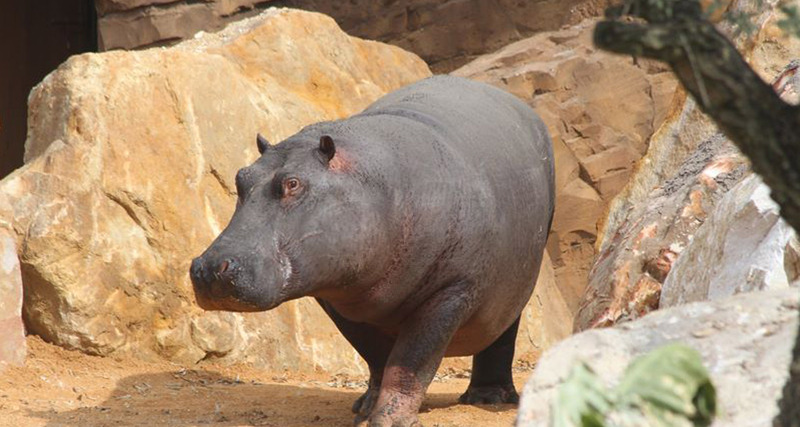 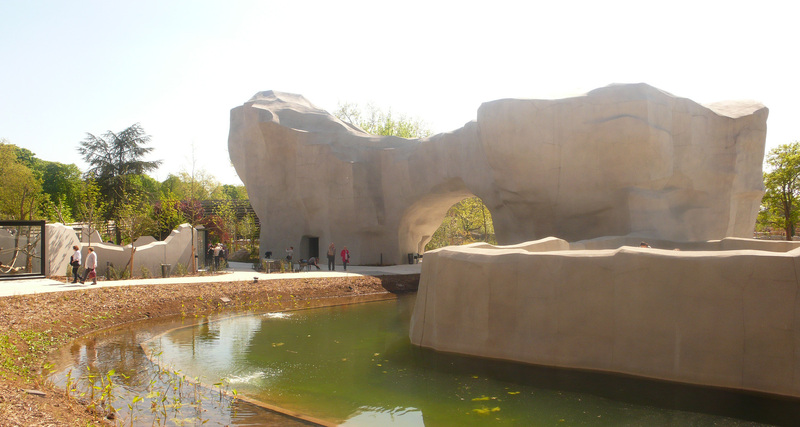 AAB participated in the creation of a new park for hippopotamuses in an African biotope. 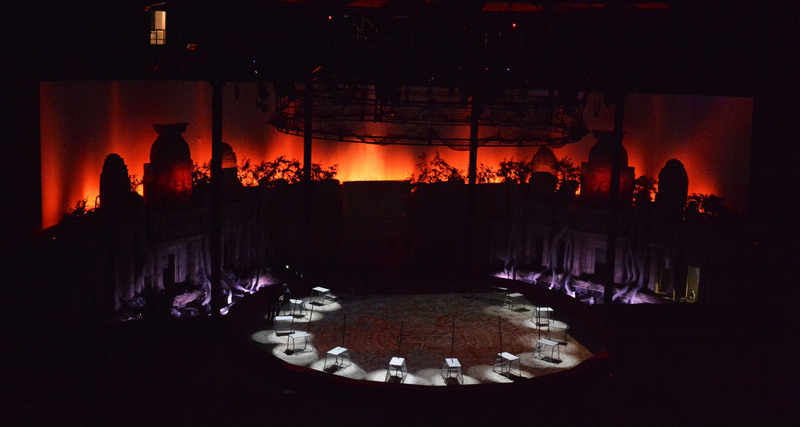 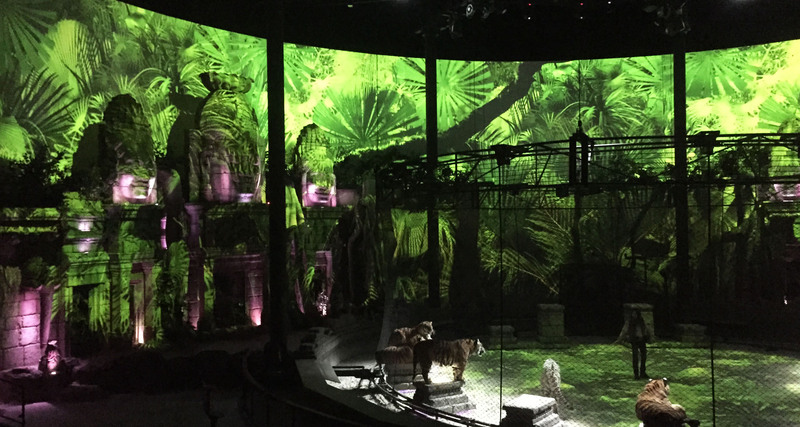 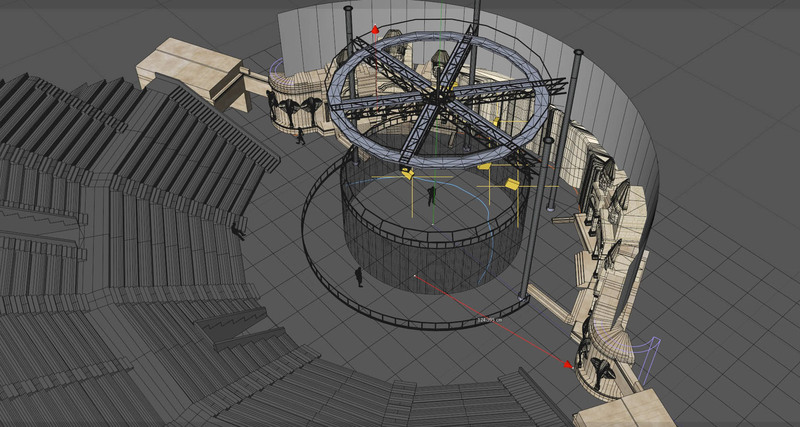 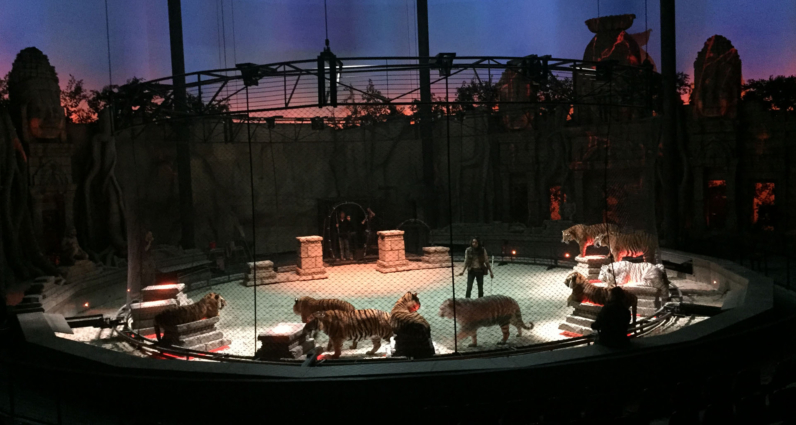 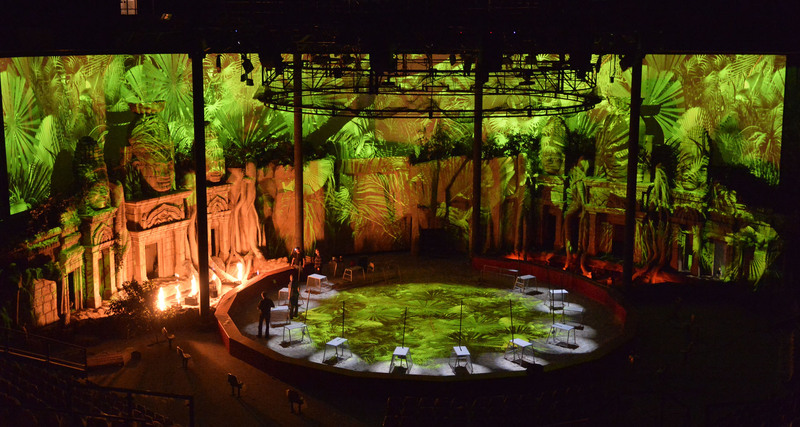 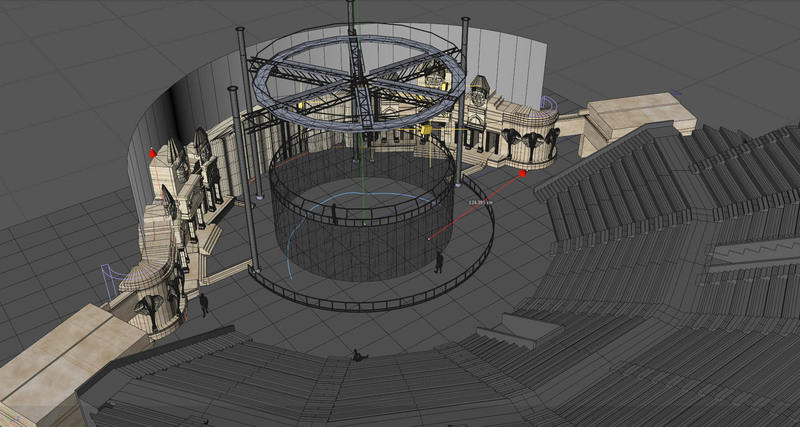 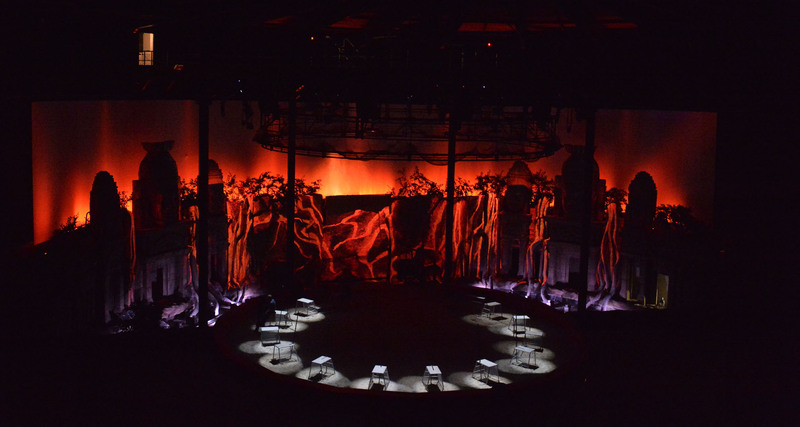 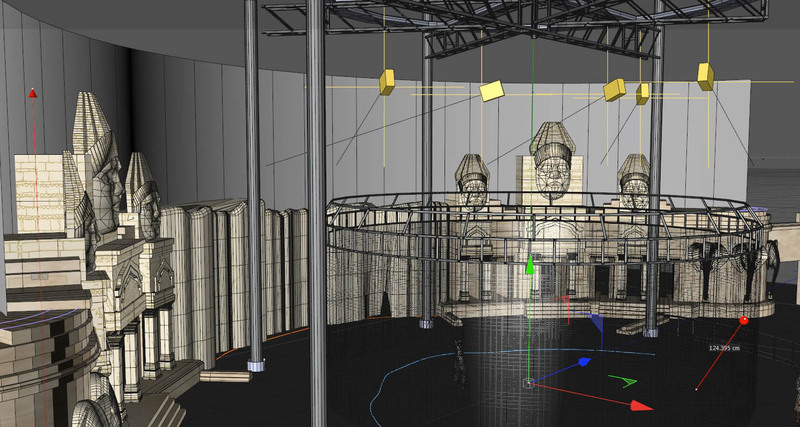 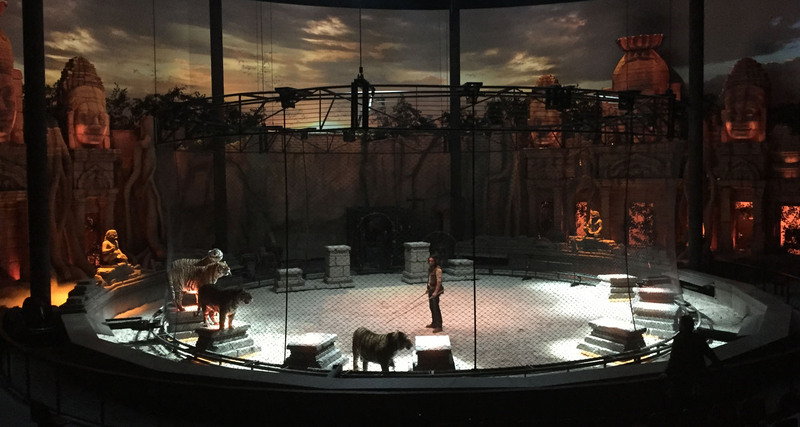 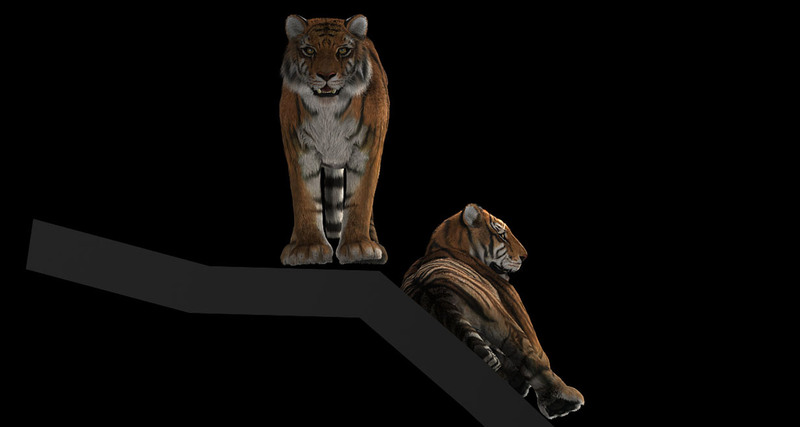 AAB contributed to the design and production of a theatre devoted to tigers: 1850-seat tiger show. 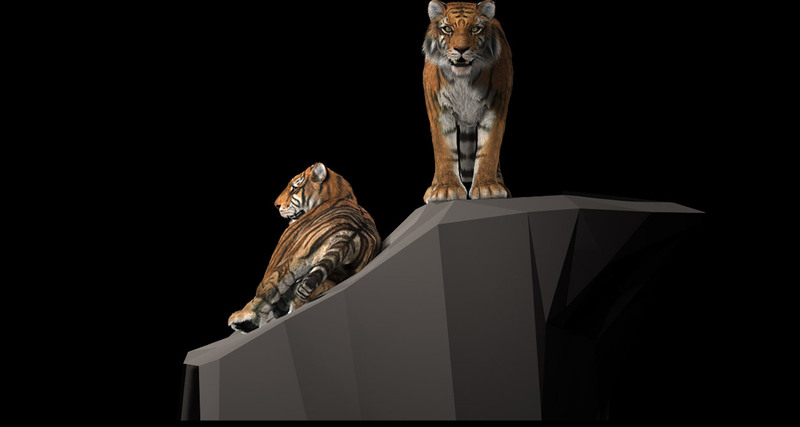 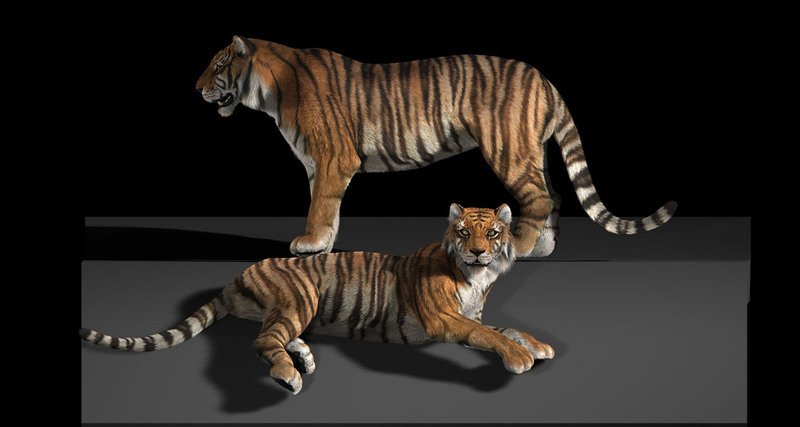 Control of special effects and the show with tigers. 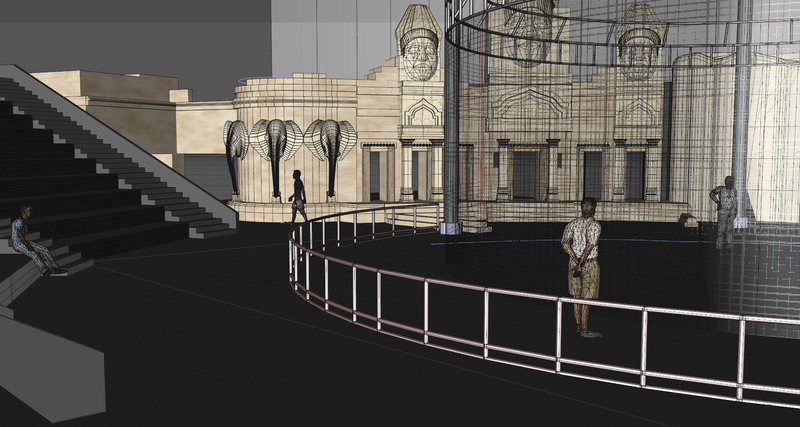 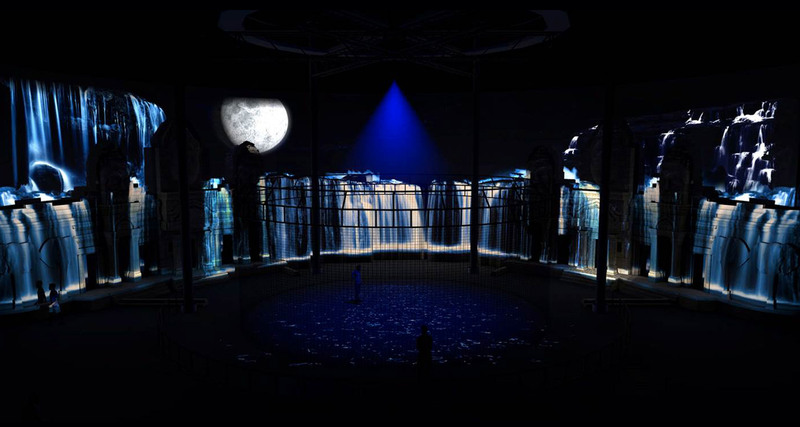 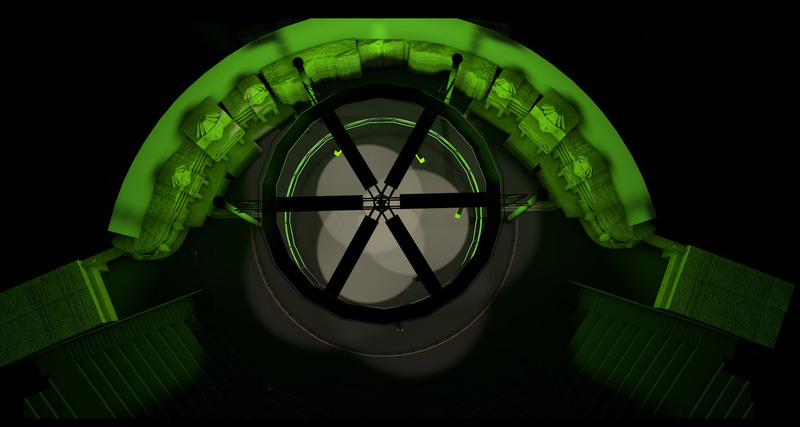 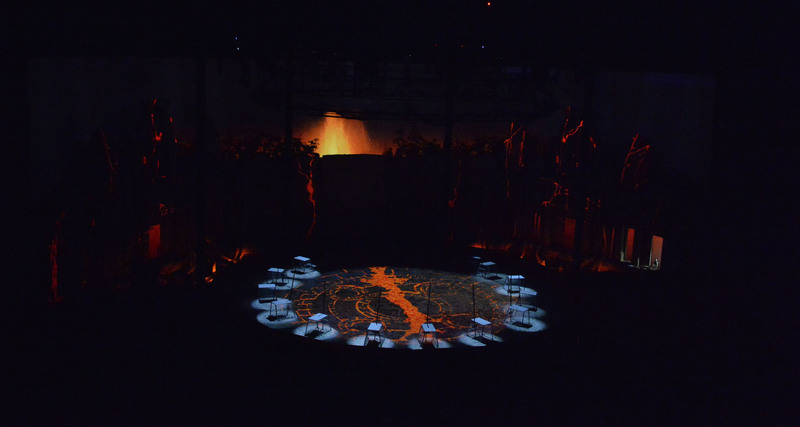 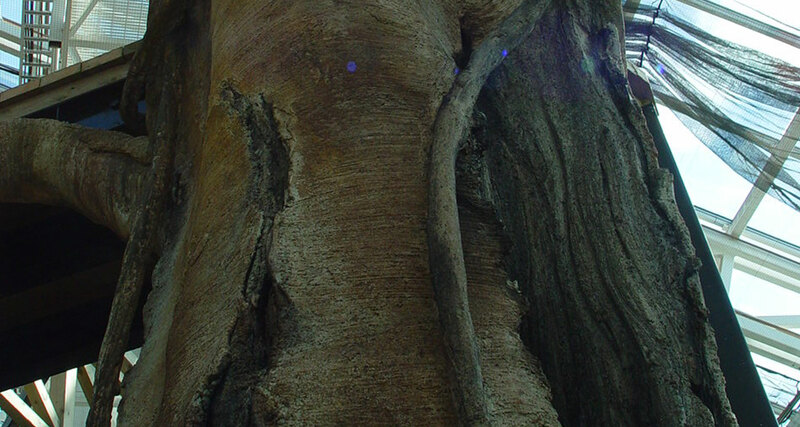 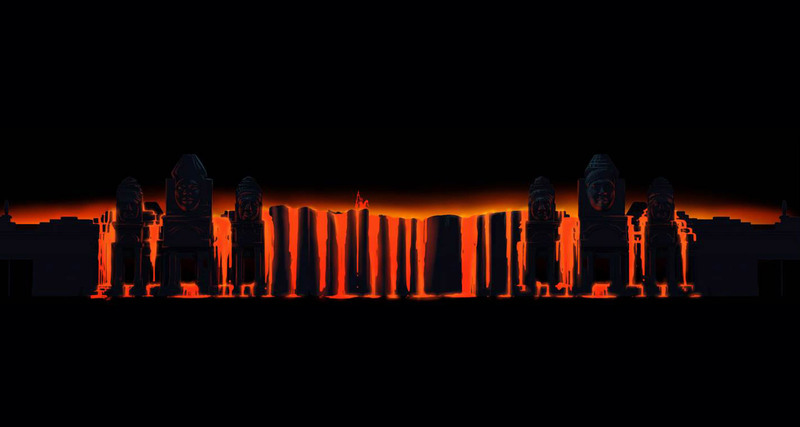 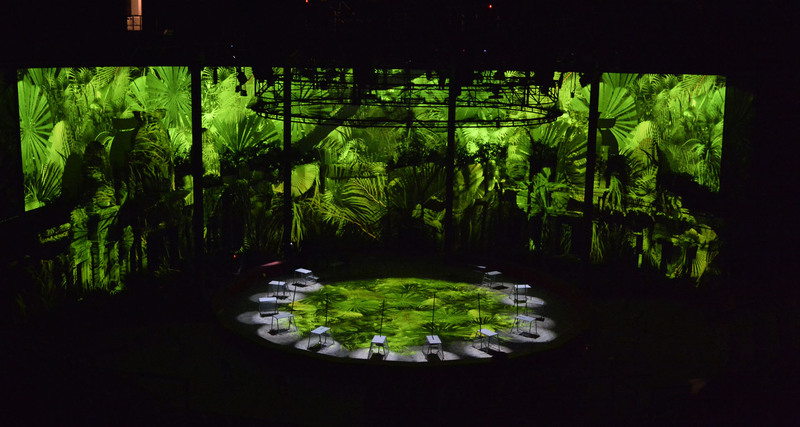 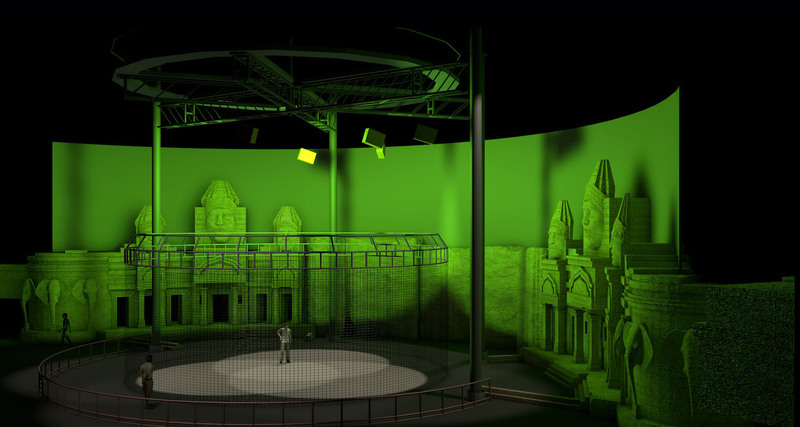 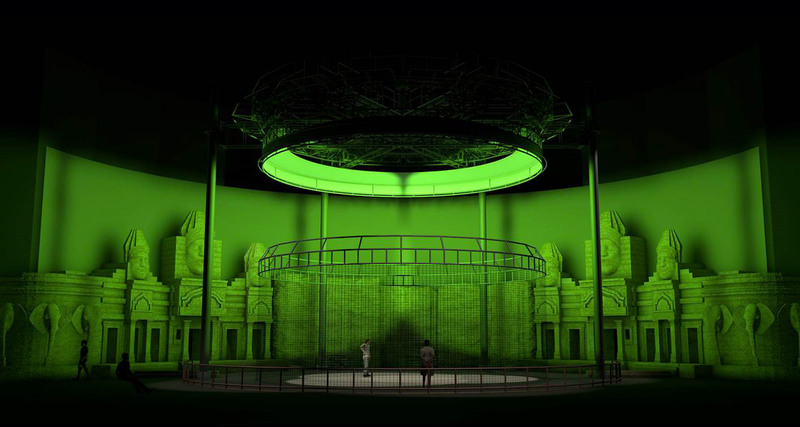 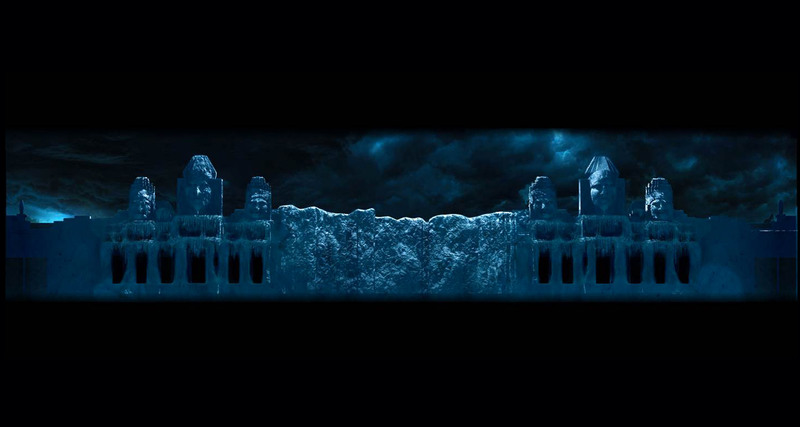 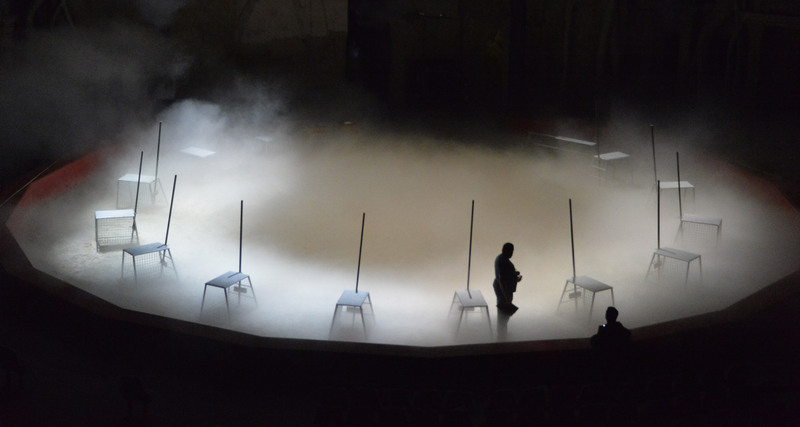 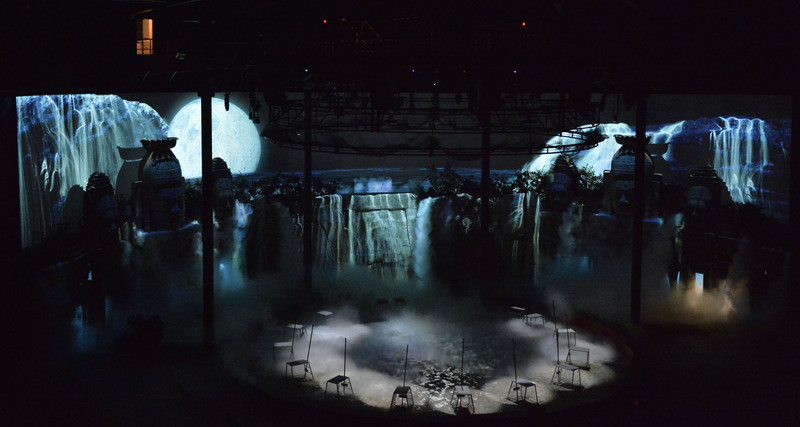 – Views of the show’s special effects. 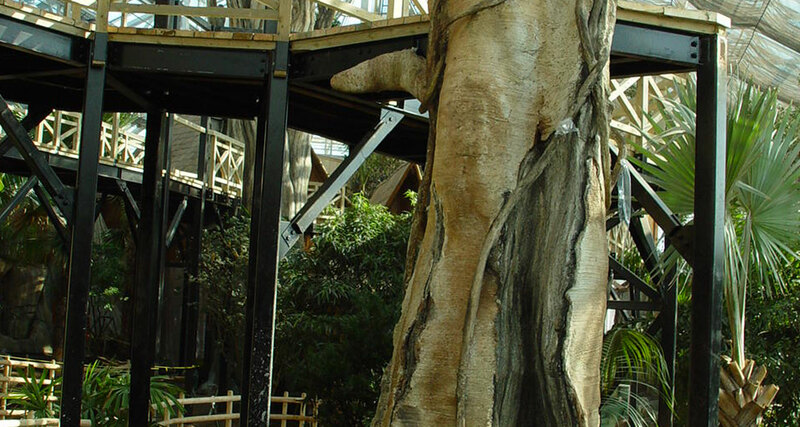 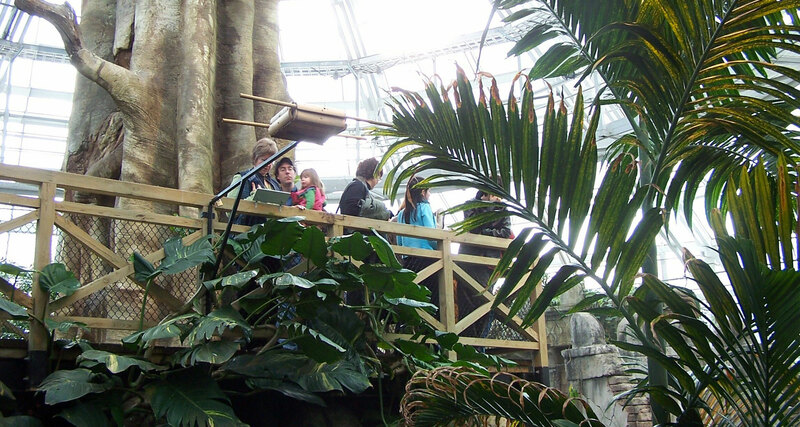 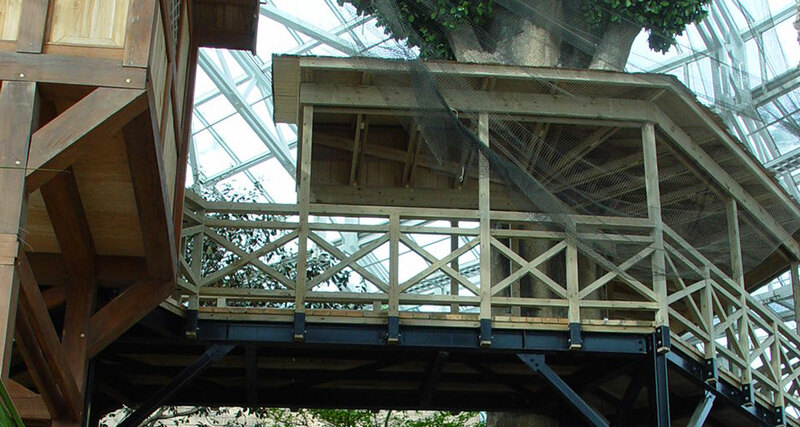 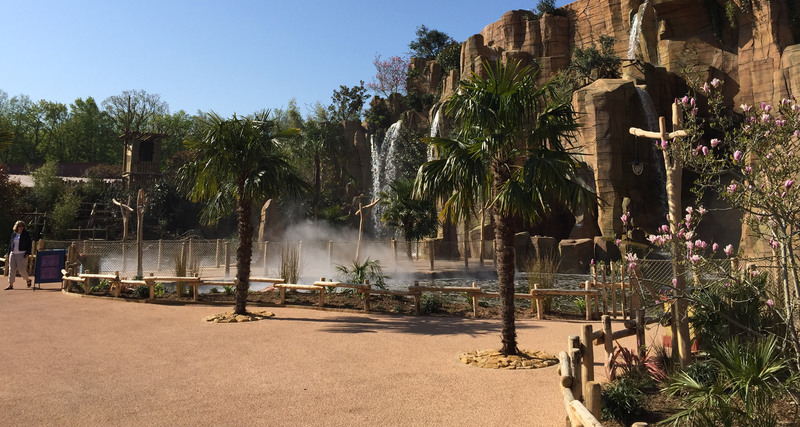 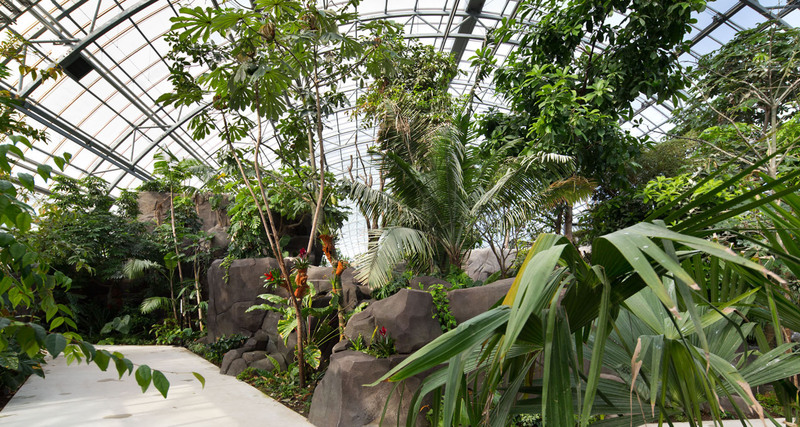 AAB contributed to the design and production of more than 3,500m² of decors for the tropical Oceanian greenhouse, artificial trees, rivers, artificial rocks, bridges, walkways, lookout points, pergolas, and Asian cabins. 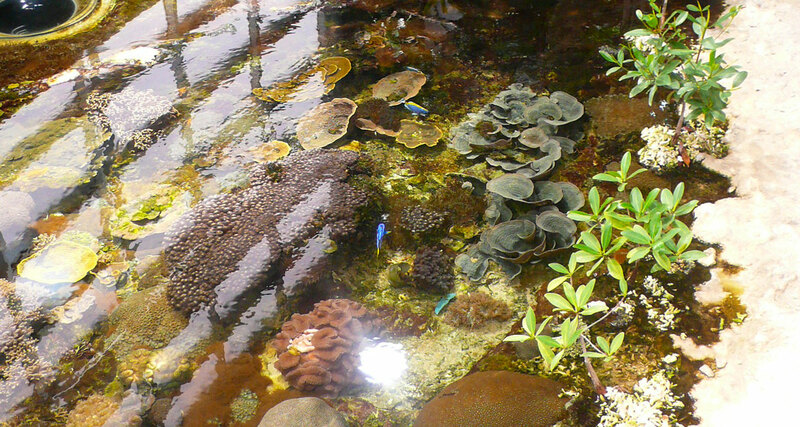 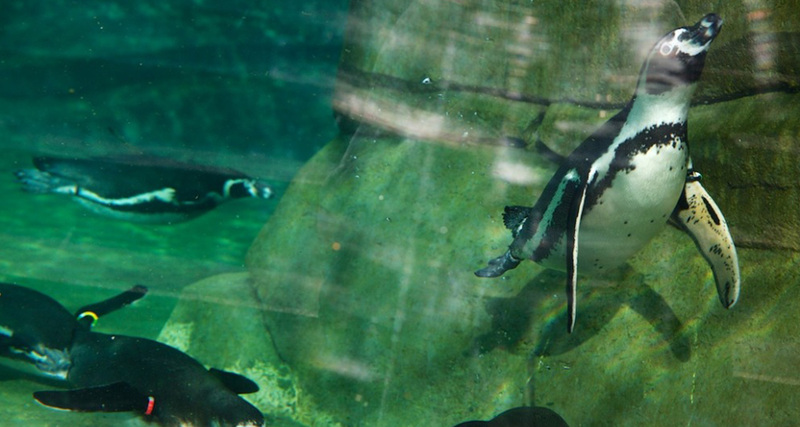 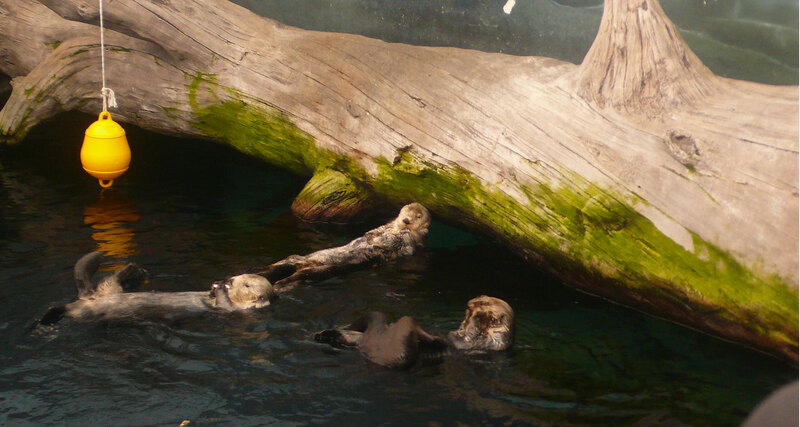 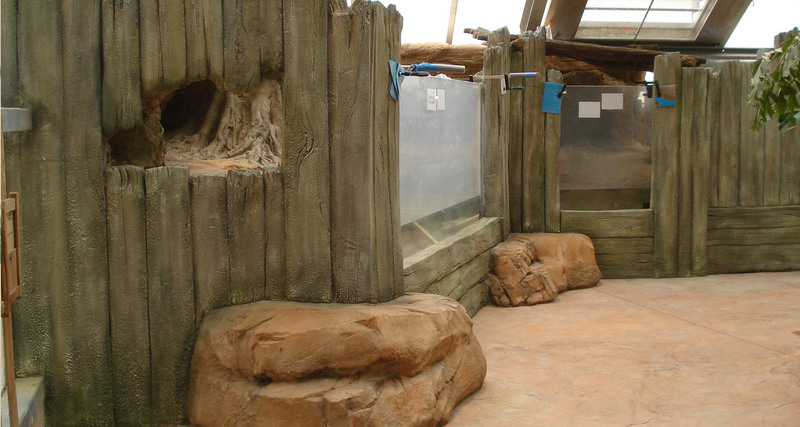 In this greenhouse you will find enclosures, aquariums, terrariums and basins which have been designed to recreate very precisely the biotopes of the animals inside. 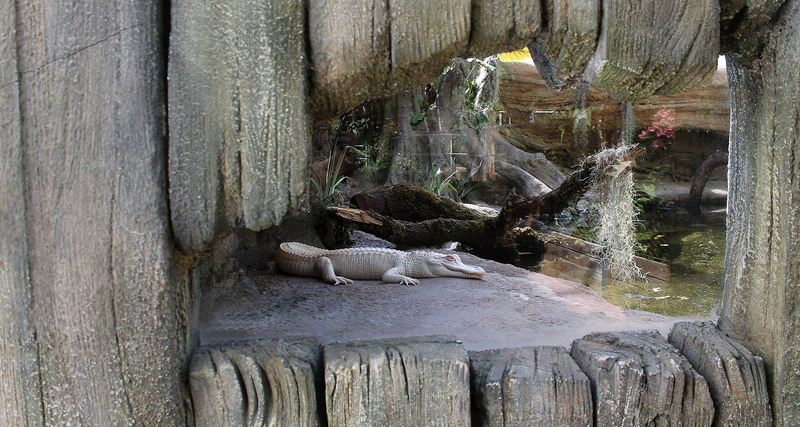 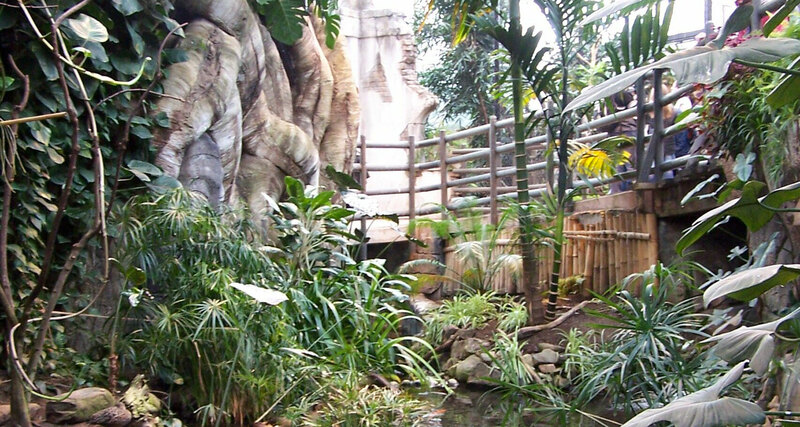 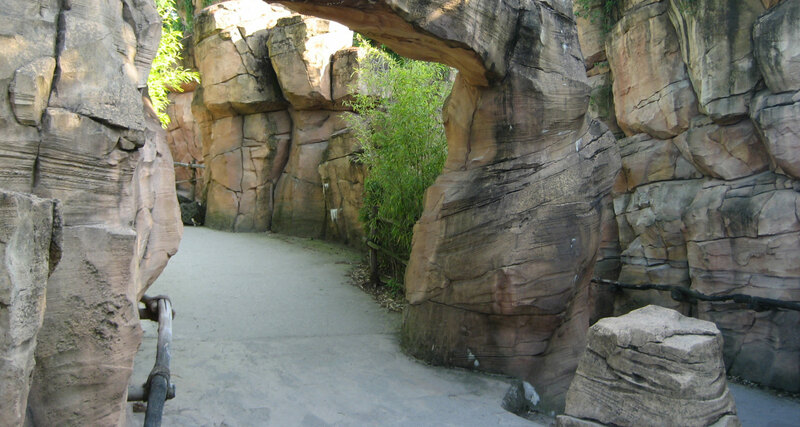 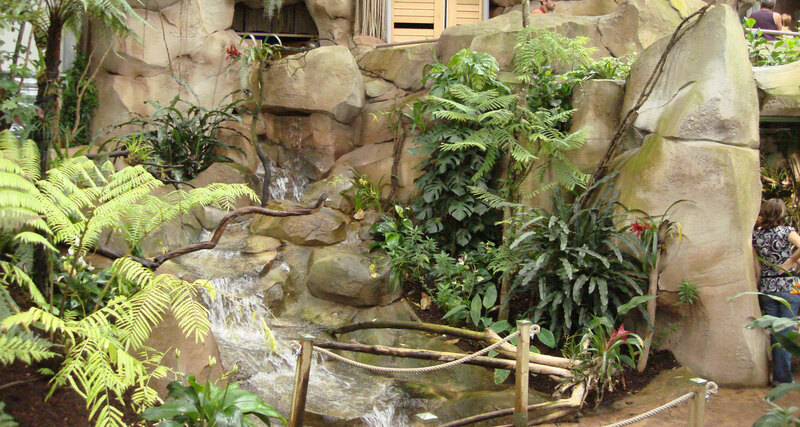 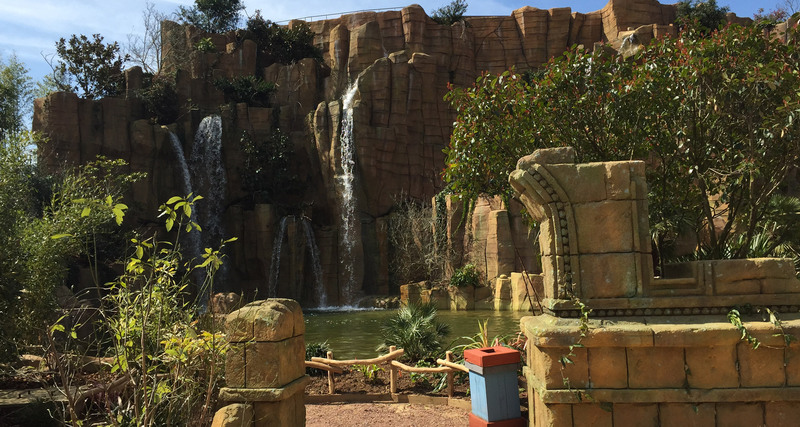 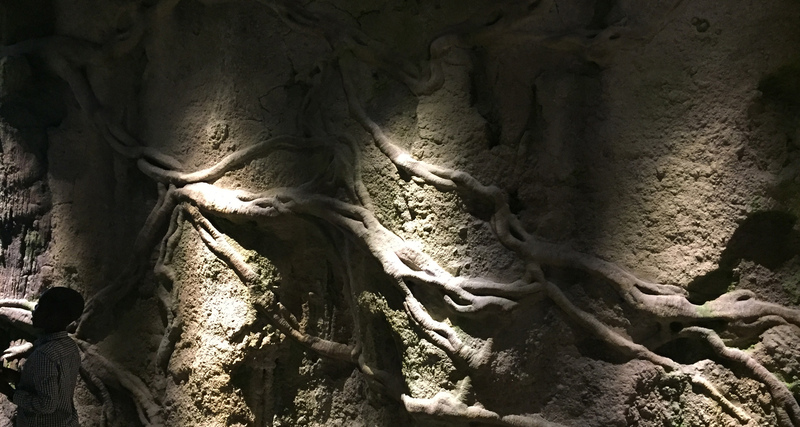 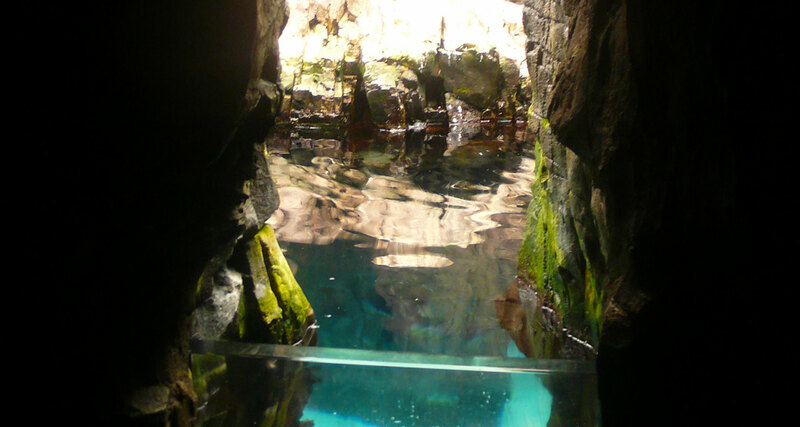 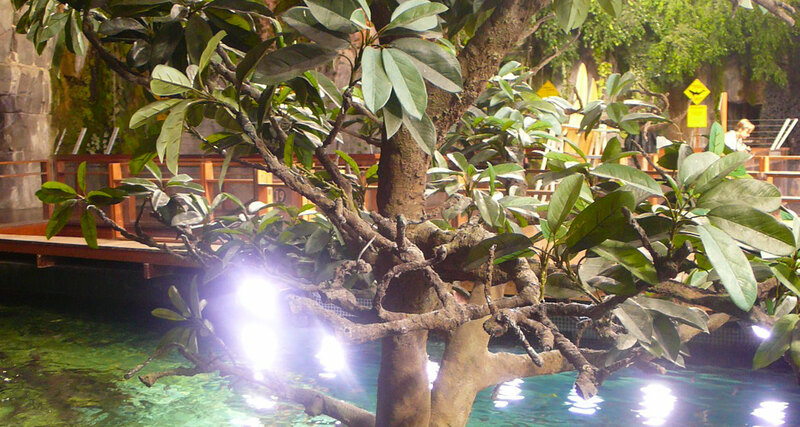 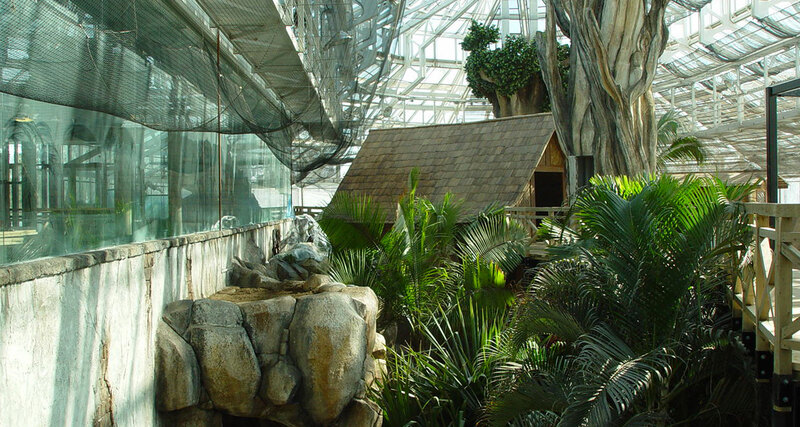 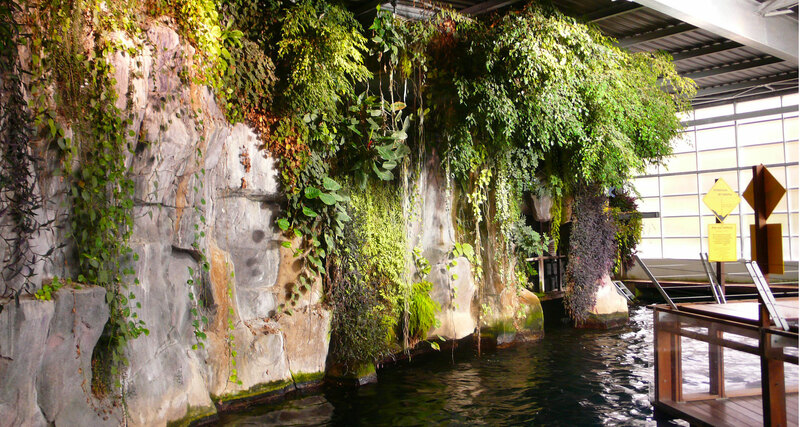 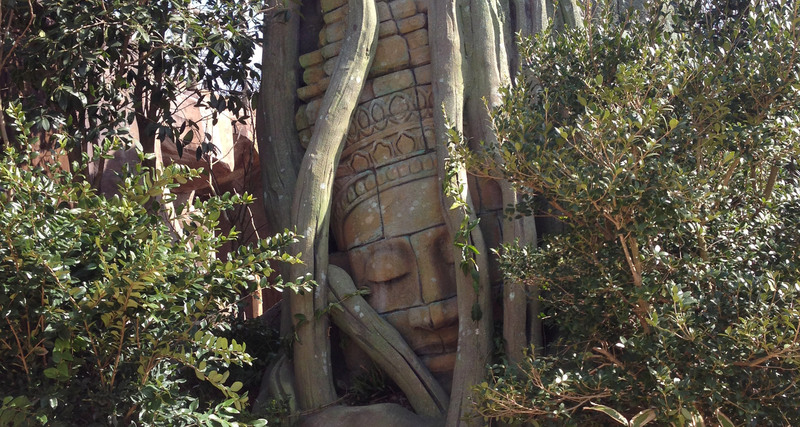 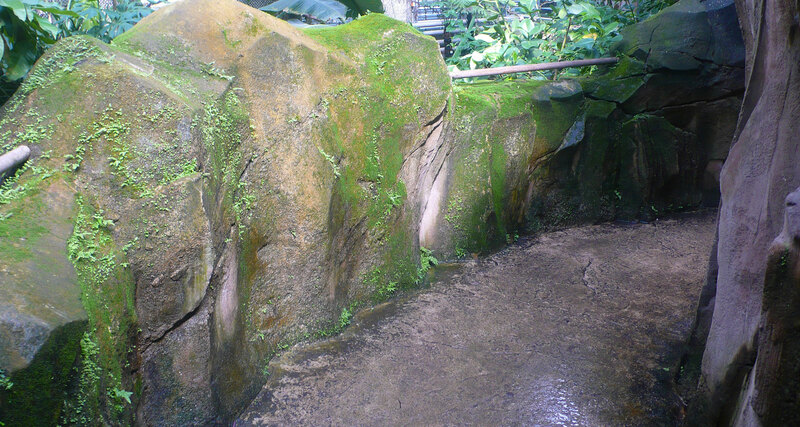 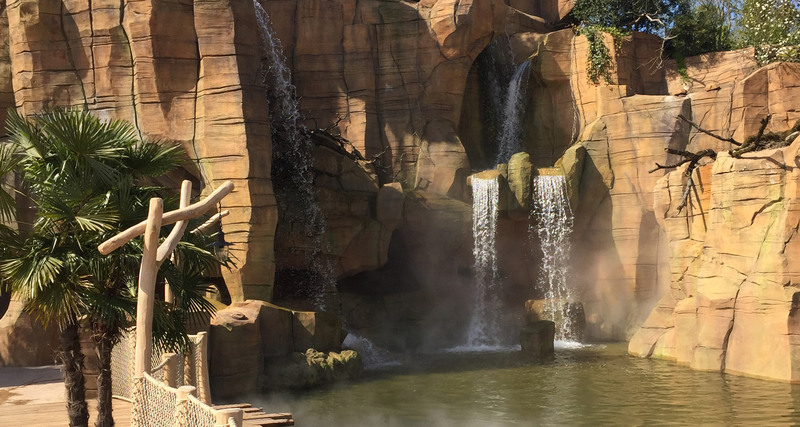 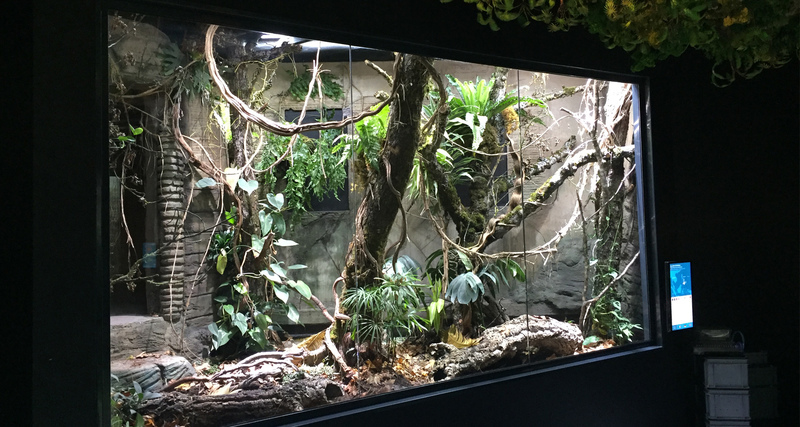 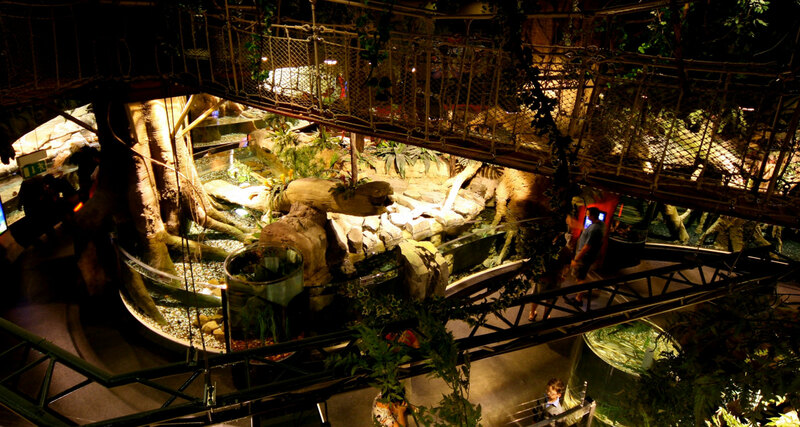 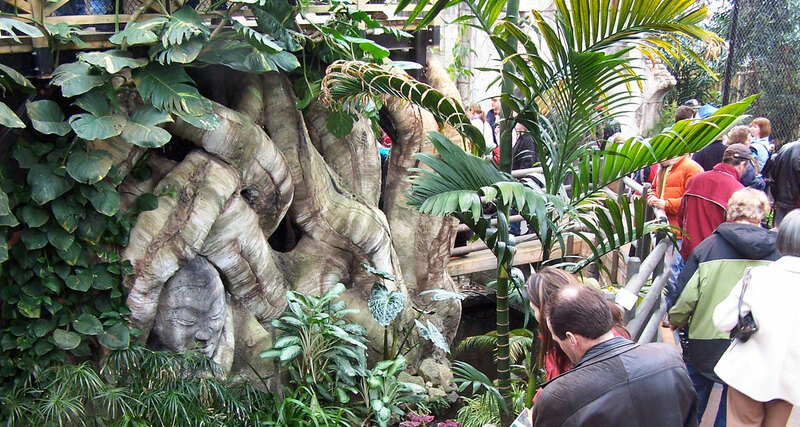 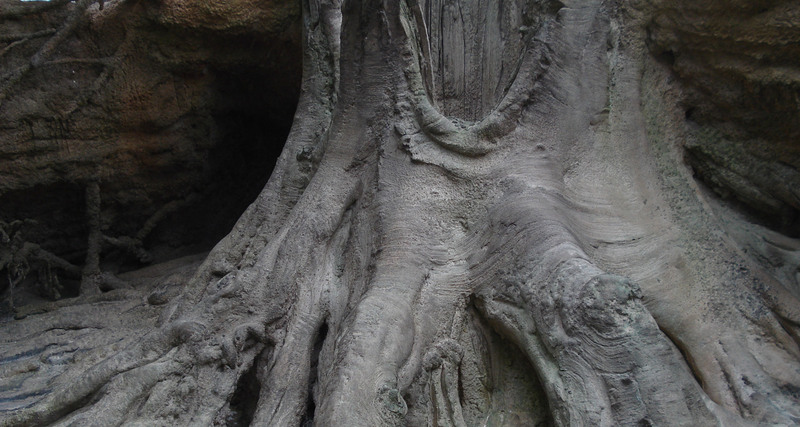 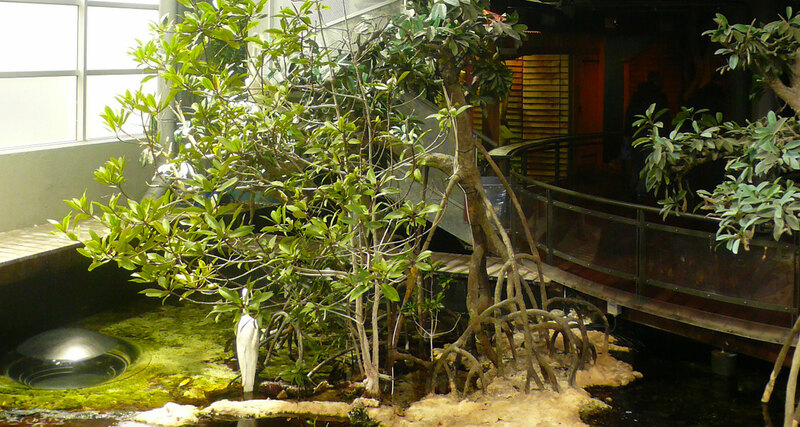 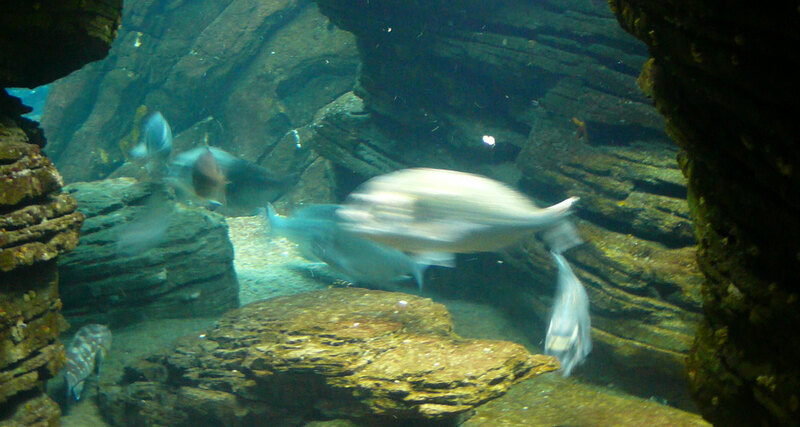 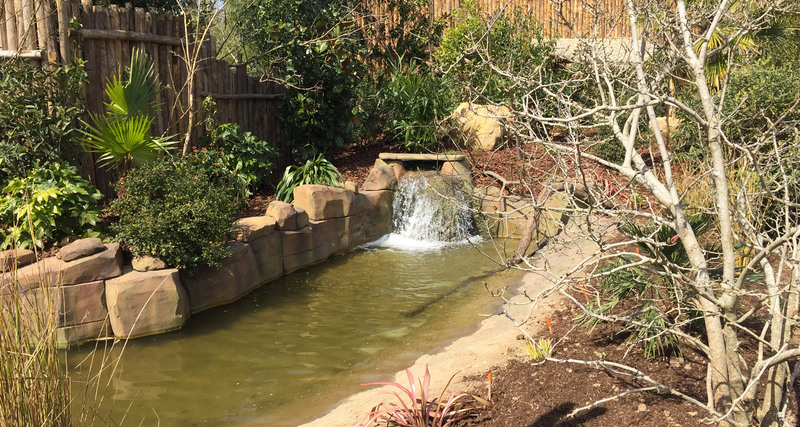 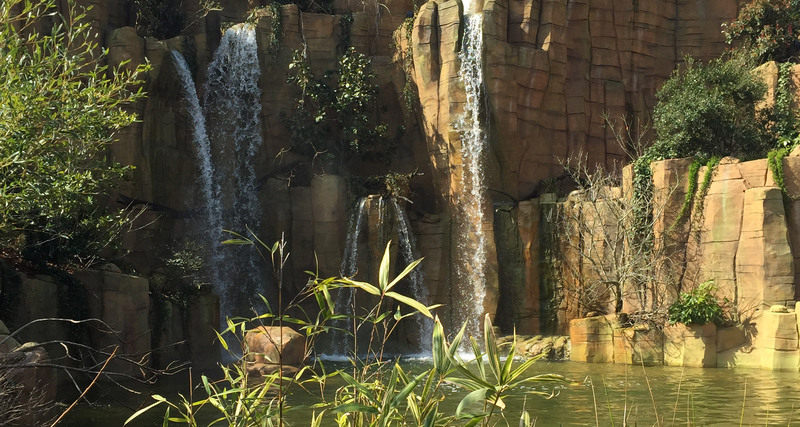 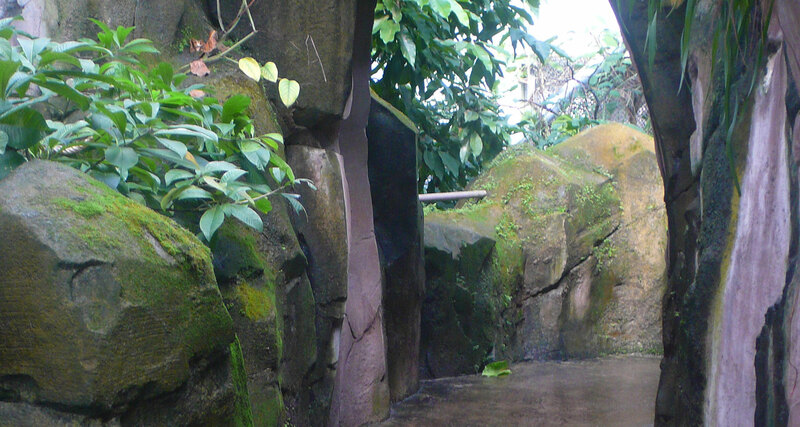 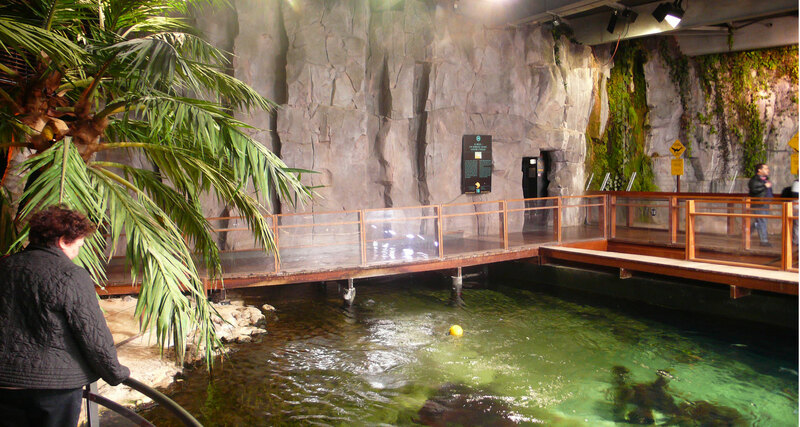 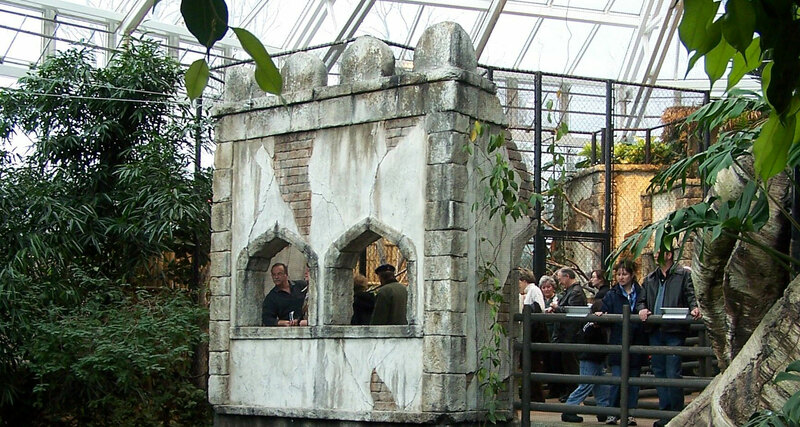 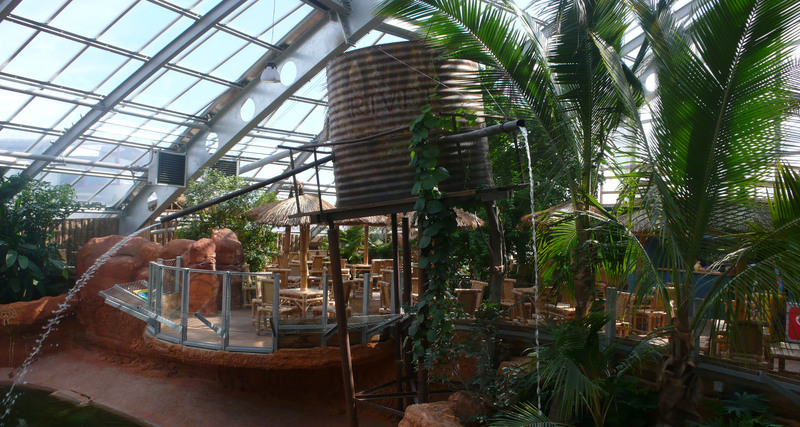 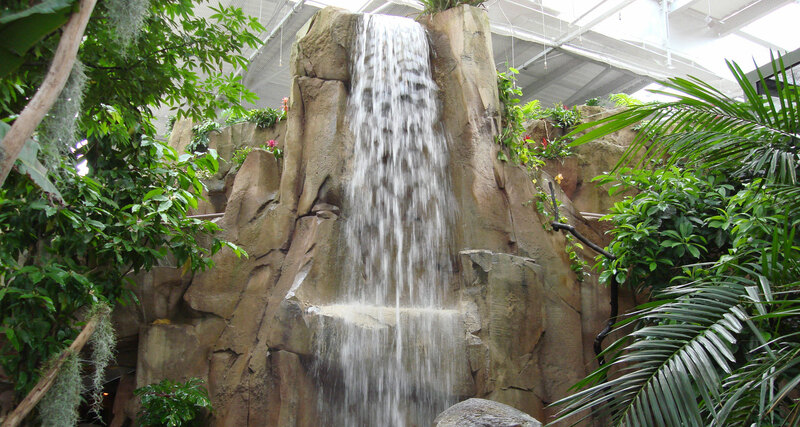 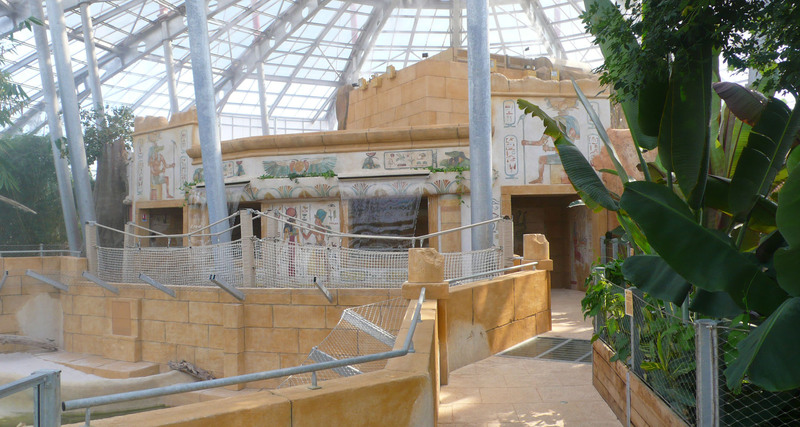 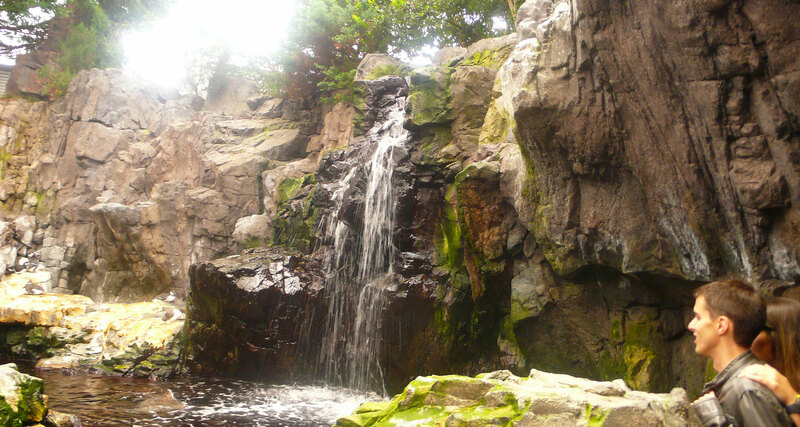 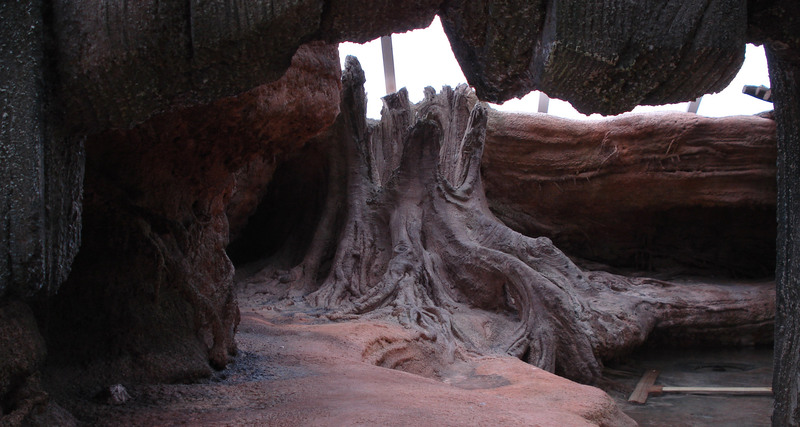 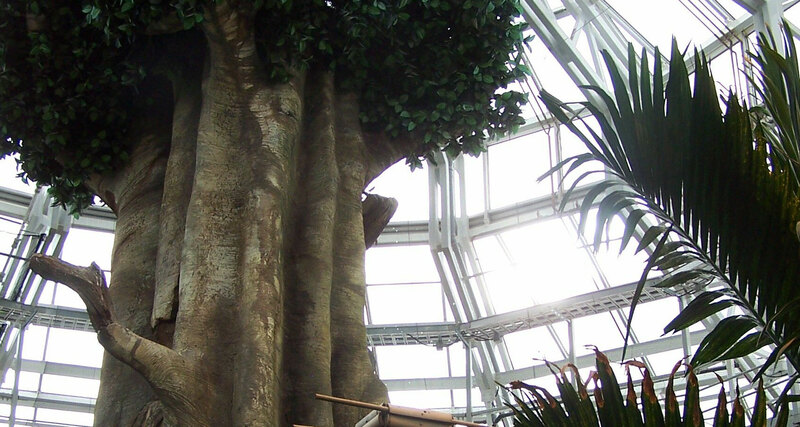 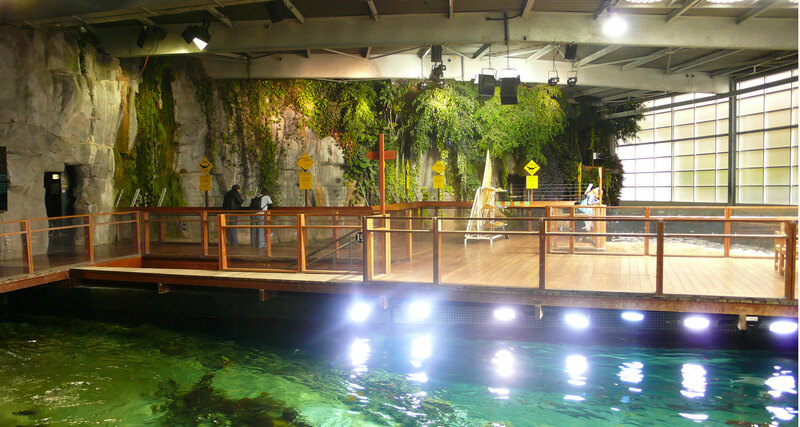 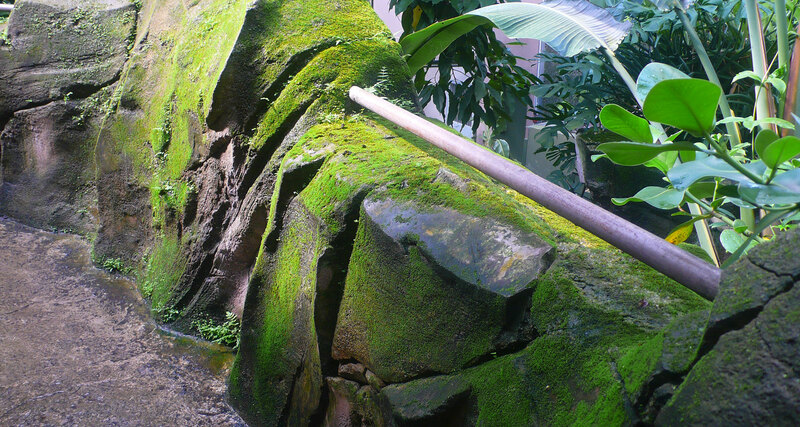 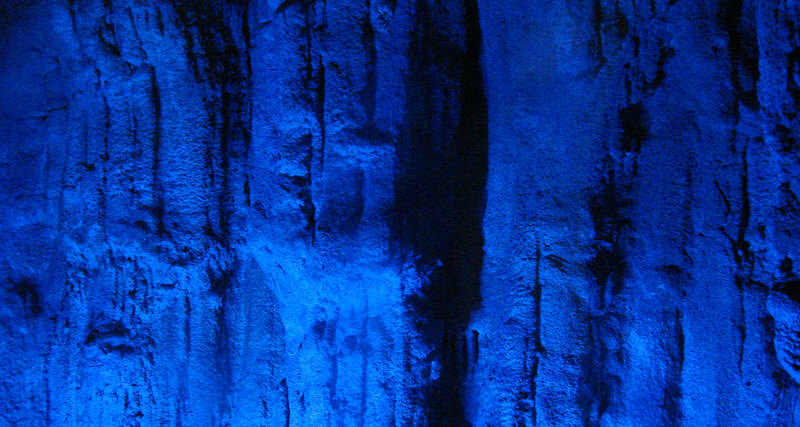 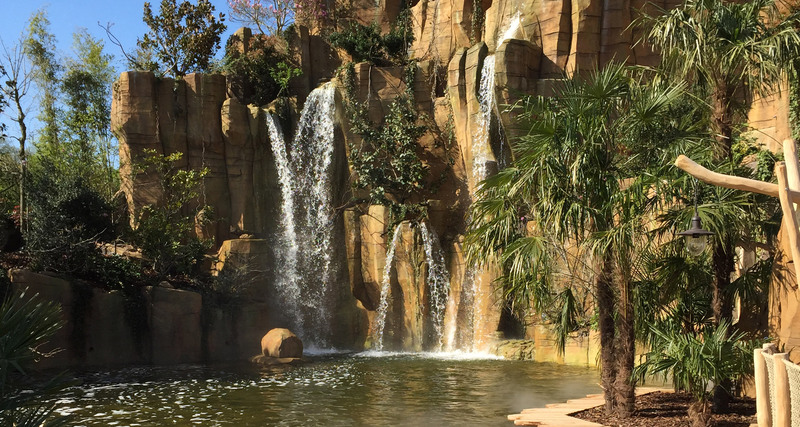 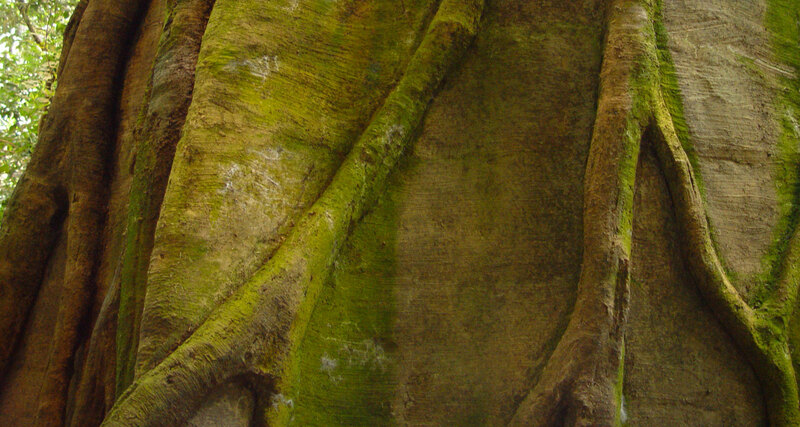 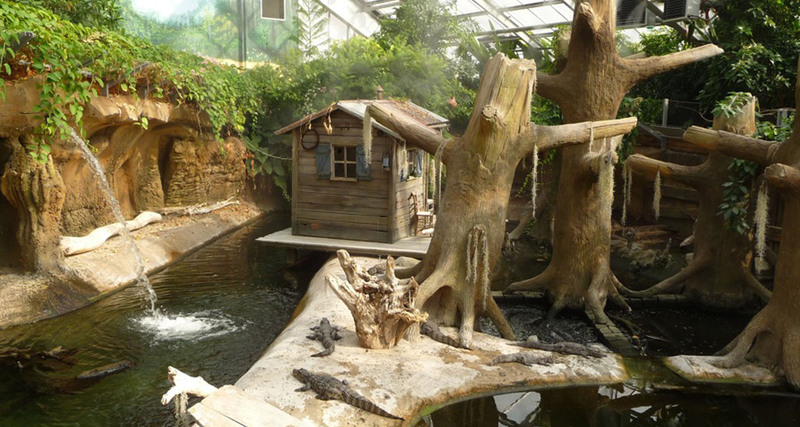 AAB produced all the themed decors of the Amazonian tropical greenhouse: rocks in various enclosures, waterfalls, river banks, walkways, artificial trees and printed floors. 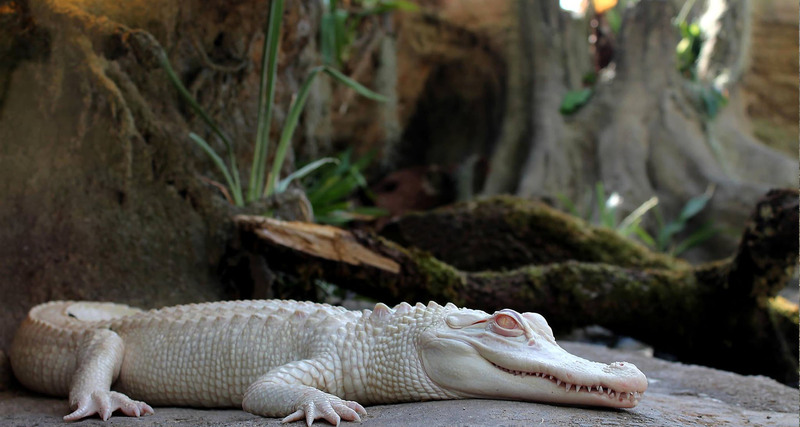 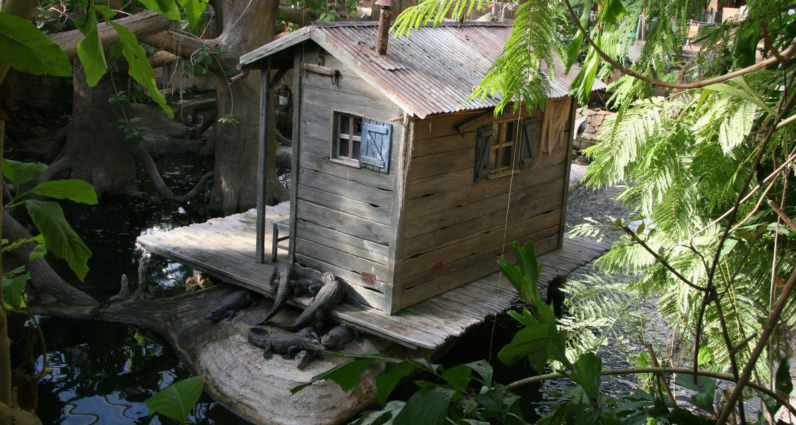 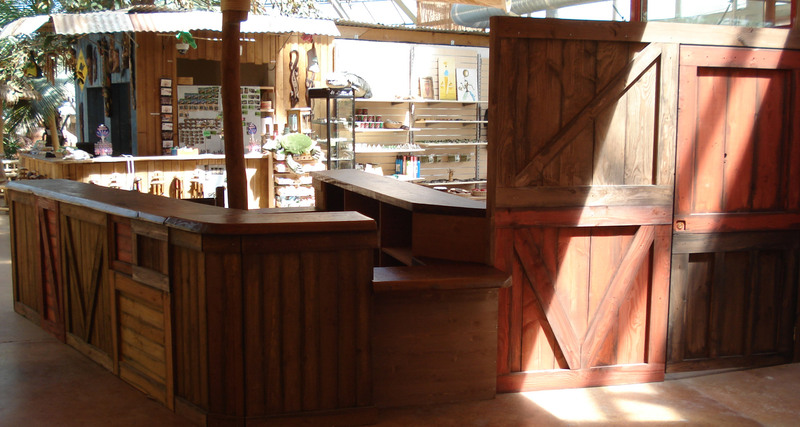 Turnkey construction of all animal facilities, amusements, special effects, watering, substrates, greenhouse paths, etc. 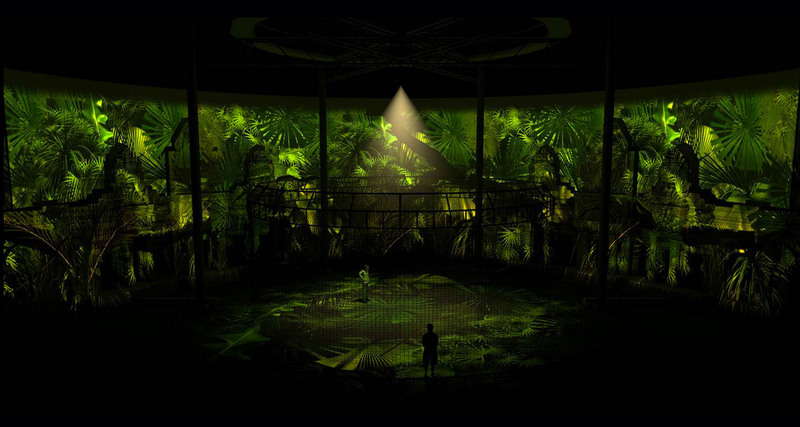 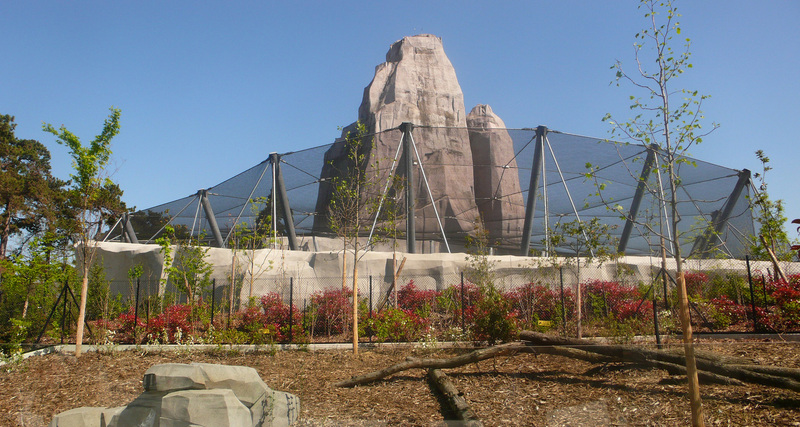 Phase 1: “Gorillaberg” – The biggest representation of an enclosure for gorillas on the theme of the African forest and gorilla mountain. 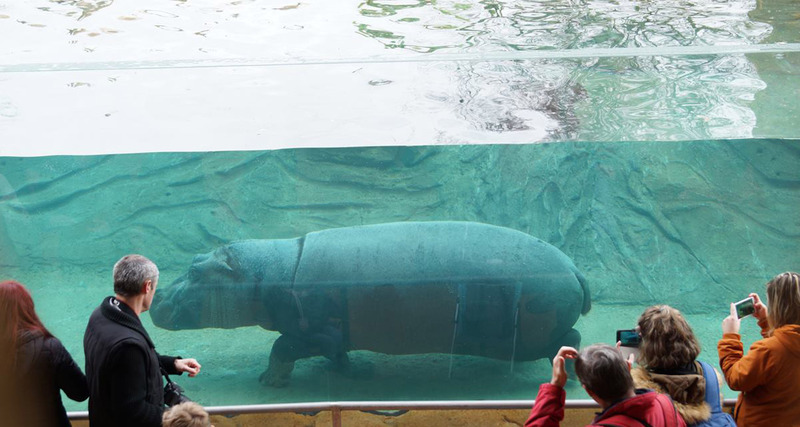 Instructive representation. 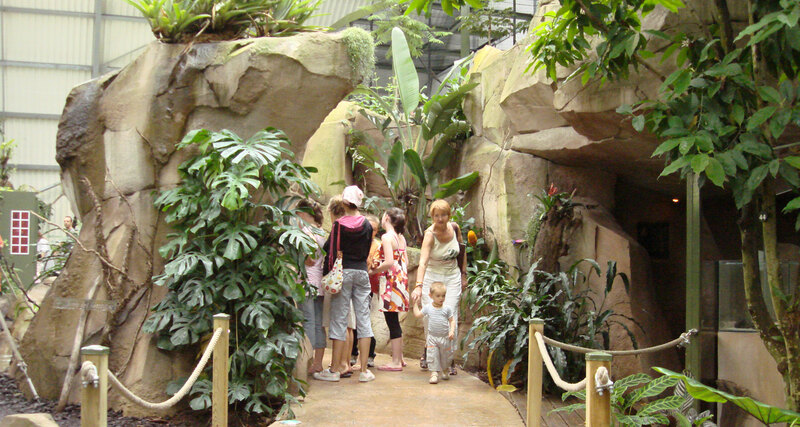 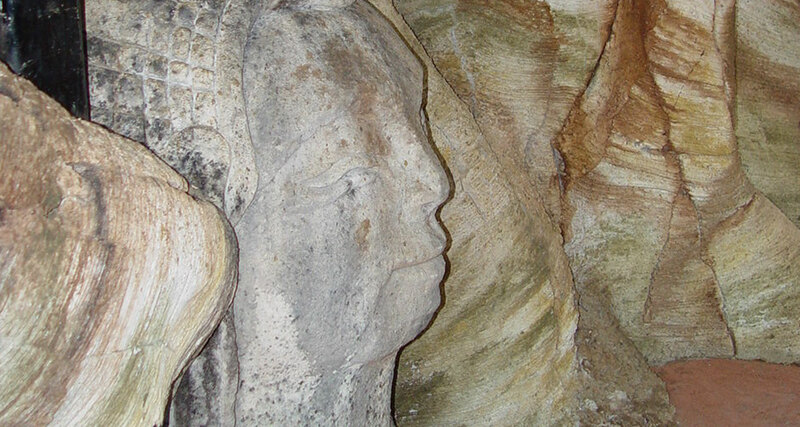 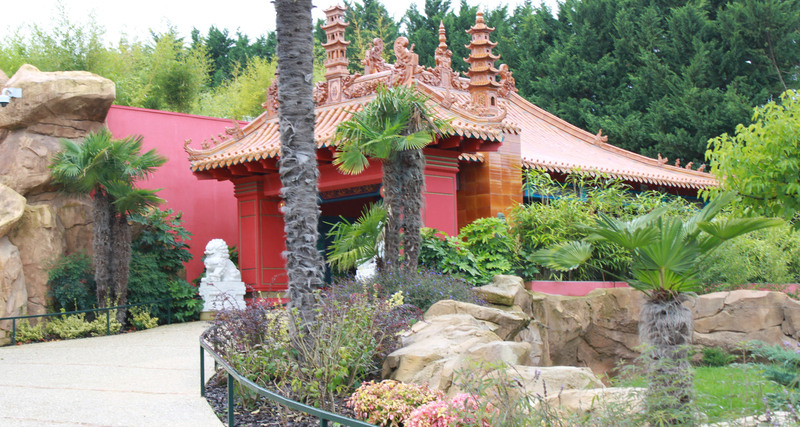 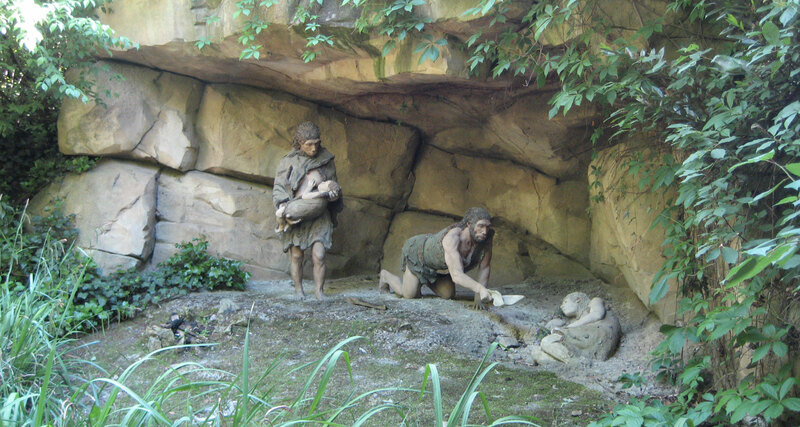 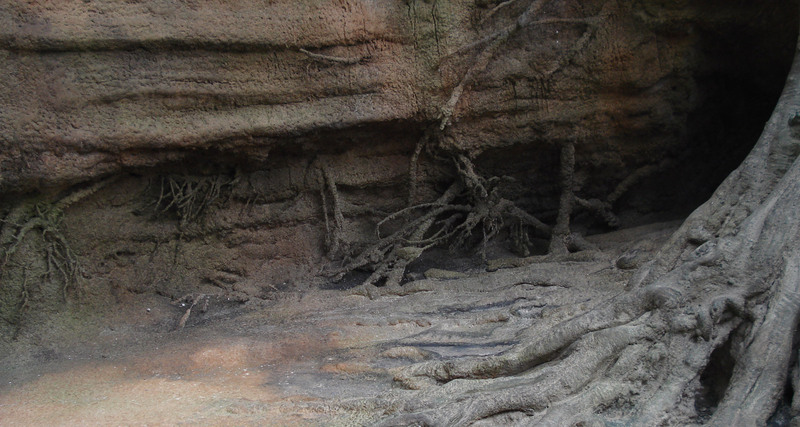 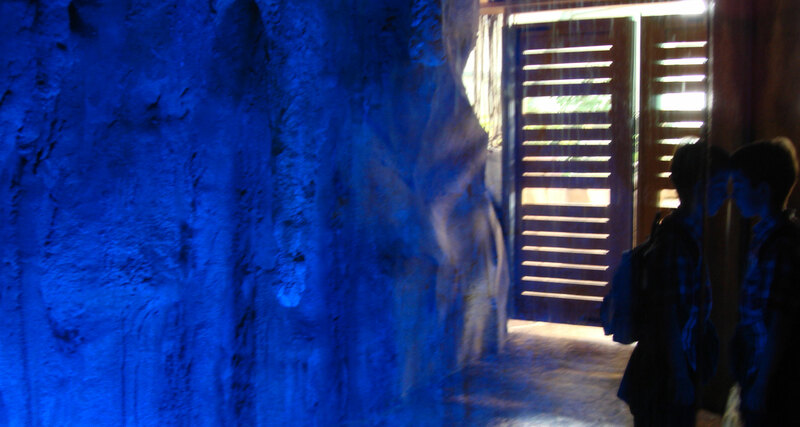 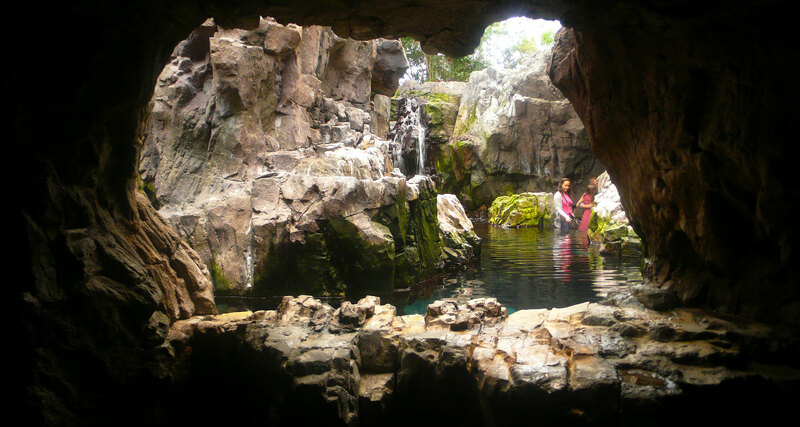 More than 1,500m² of decors were produced by AAB: artificial rocks, waterfalls, caves, themed floors, bridges, etc. 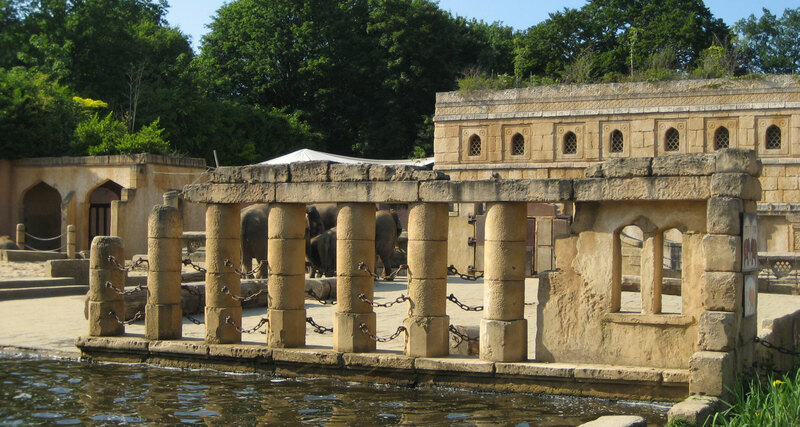 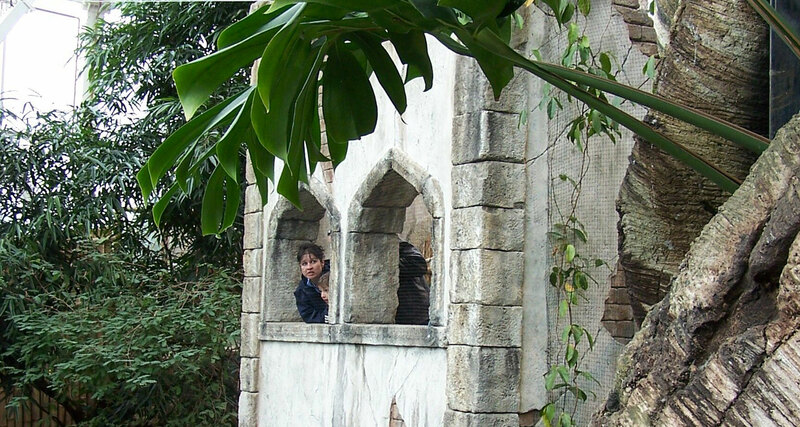 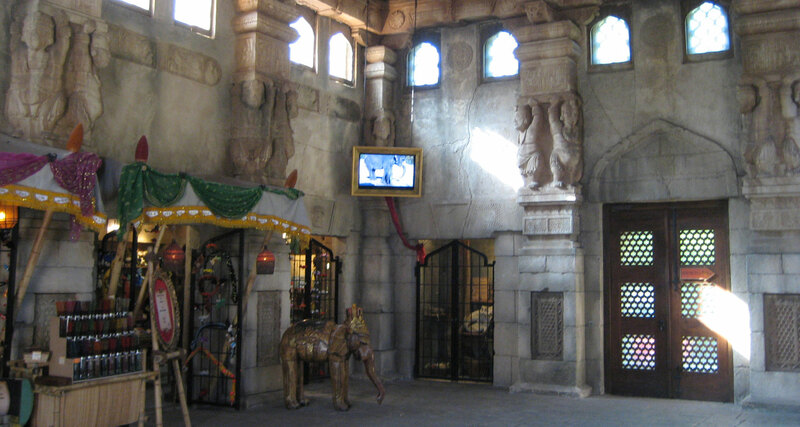 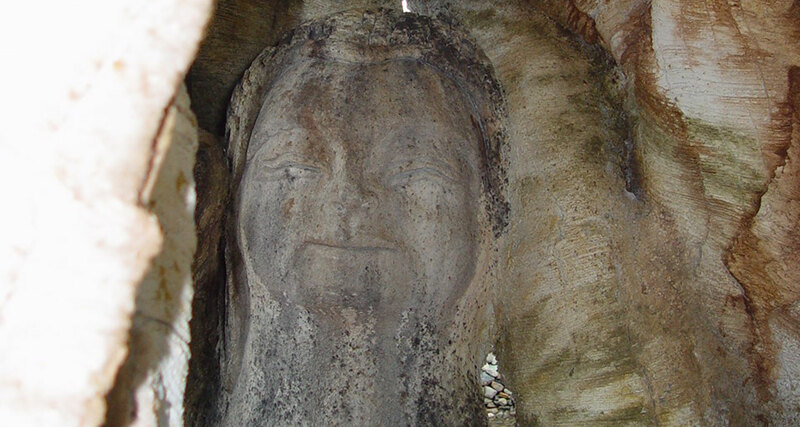 Phase 2: AAB built a replica of an Indian palace and an area of ruins on 3 hectares. 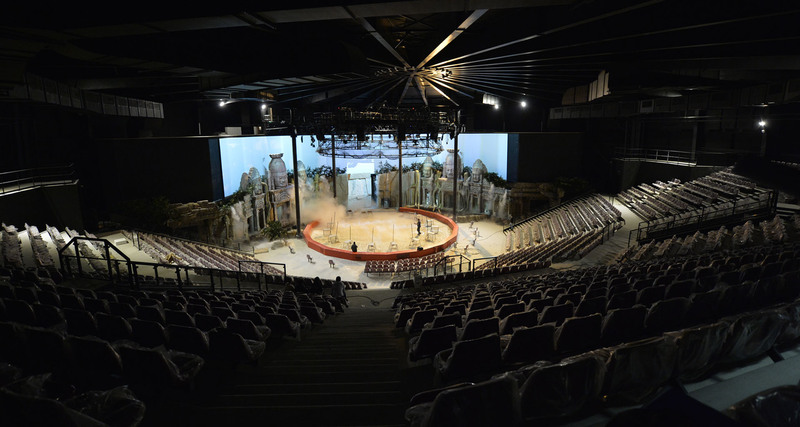 More than 10,000m² of recreated decors. 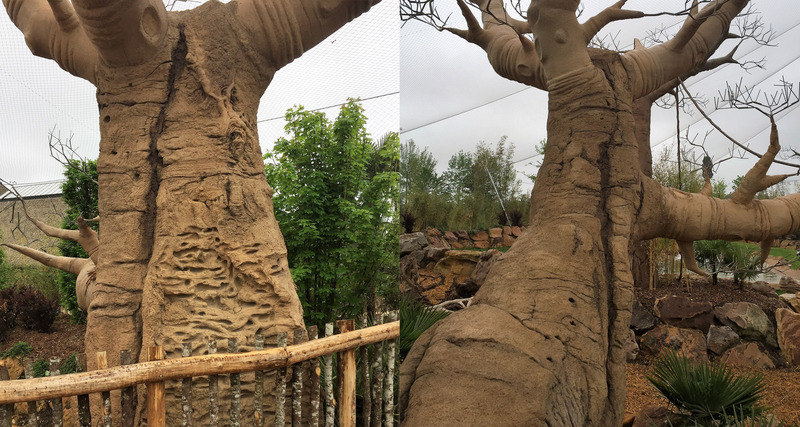 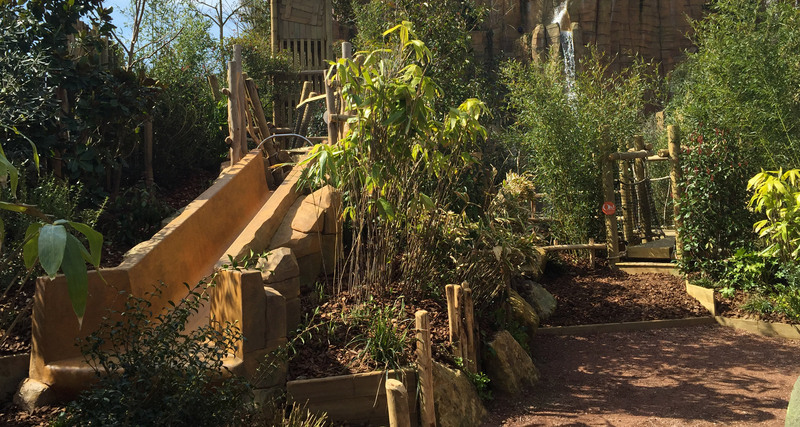 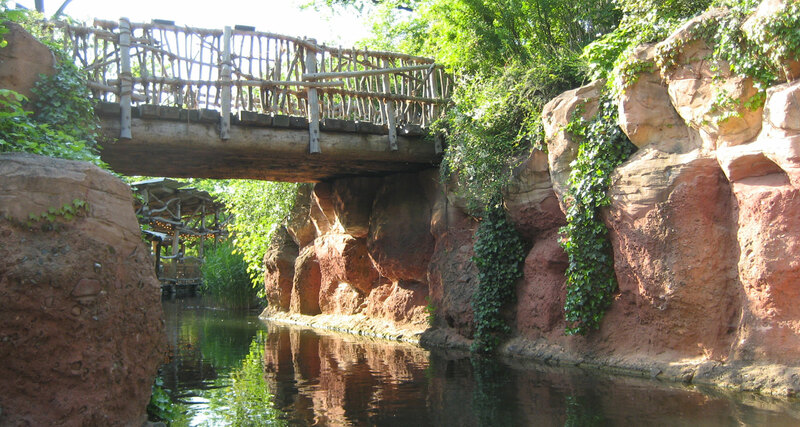 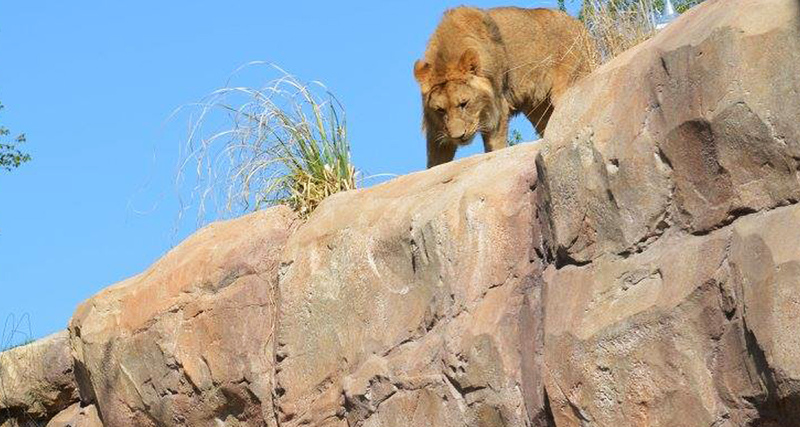 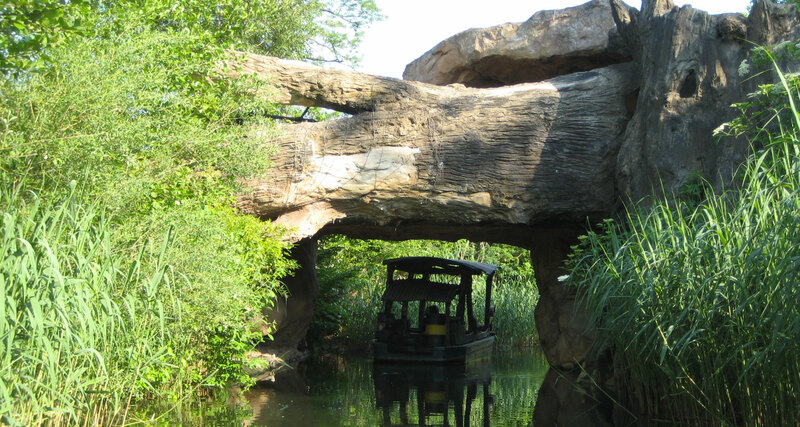 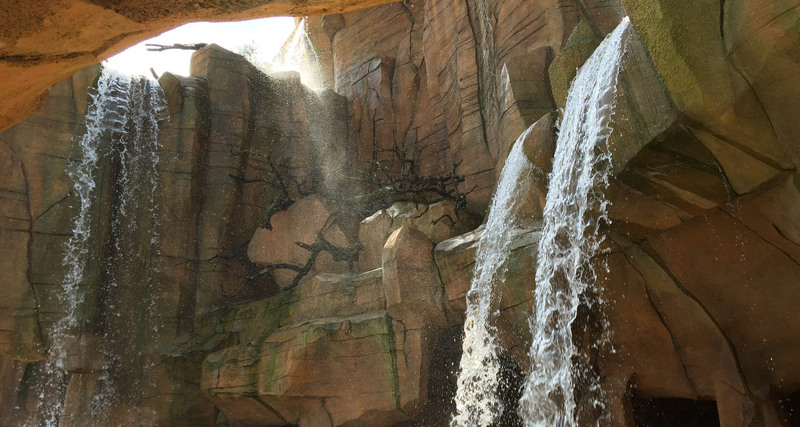 Phase 3: AAB produced an African landscape for the lion and giraffe areas: rock cliffs, river banks, gullies, African bridges, etc. 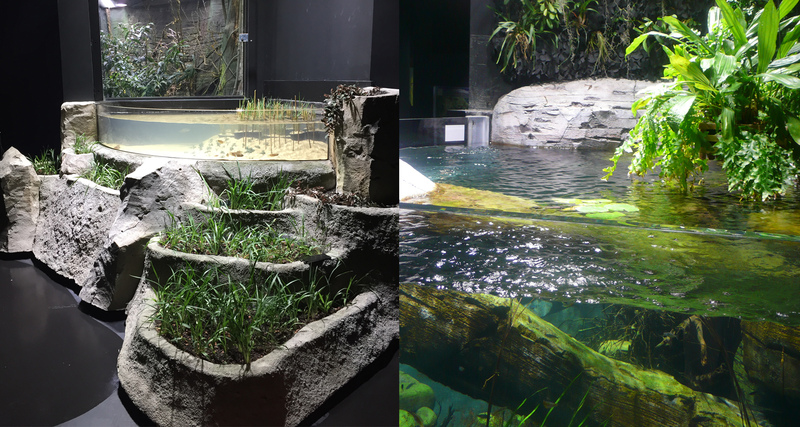 Phases 4 and 5: AAB produced an African landscape for the hippopotamus and pink flamingo areas (aquatic and terrestrial views): eroded banks, gullies, rocks, etc. 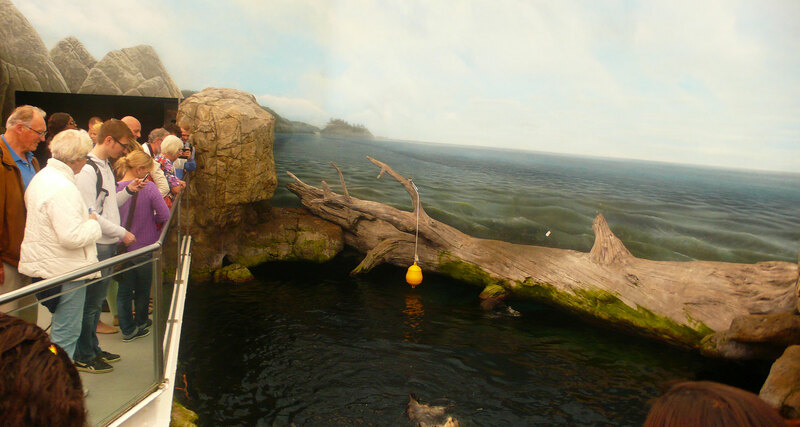 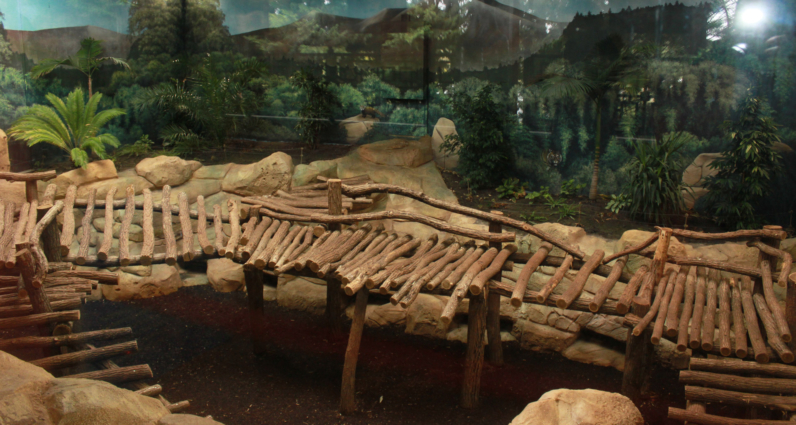 The zoo concept was designed to allow the public to travel in the natural biotopes of the animals presented, while making the trip amusing and educational for the children (river trip with boats drawn by cables through the fog in a very realistic simulation). 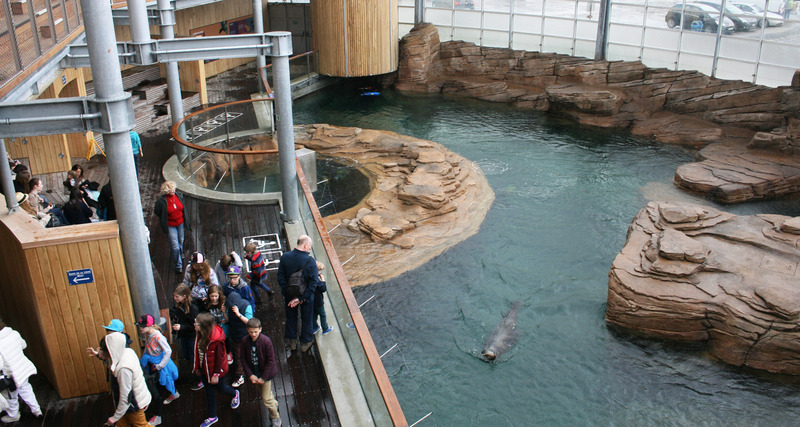 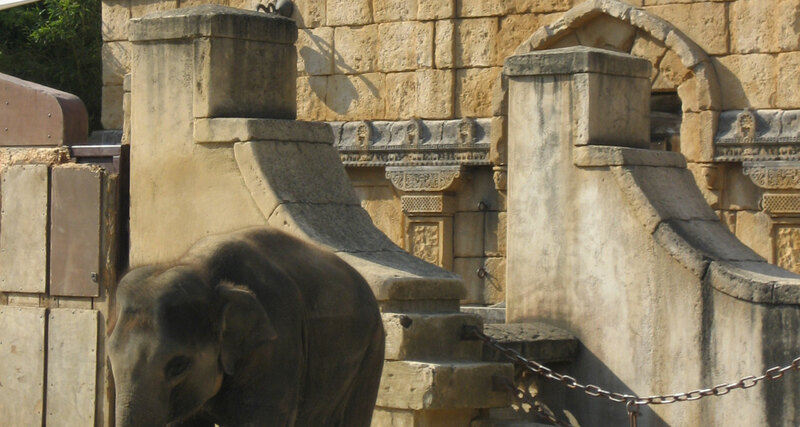 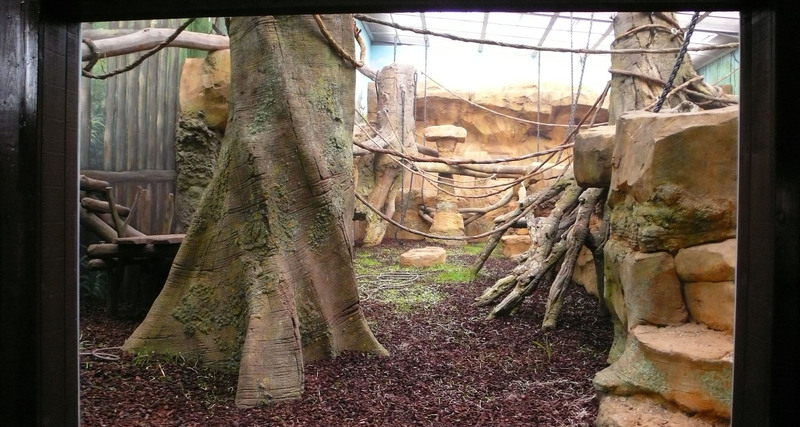 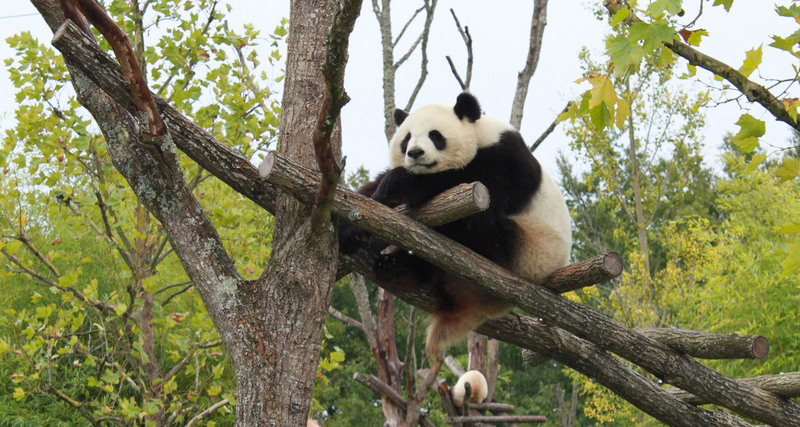 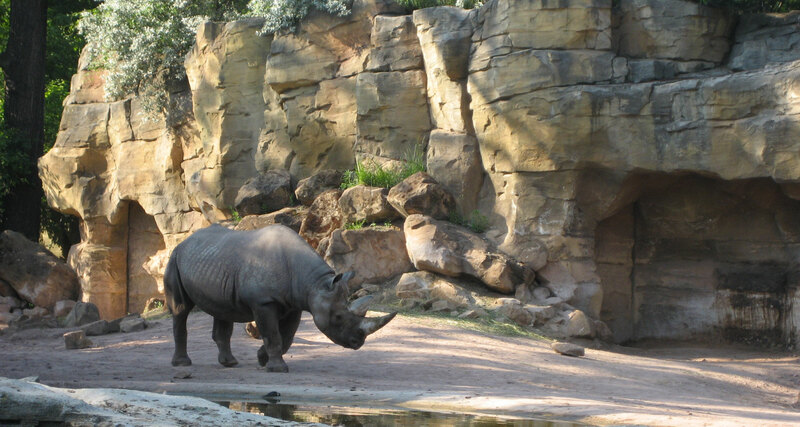 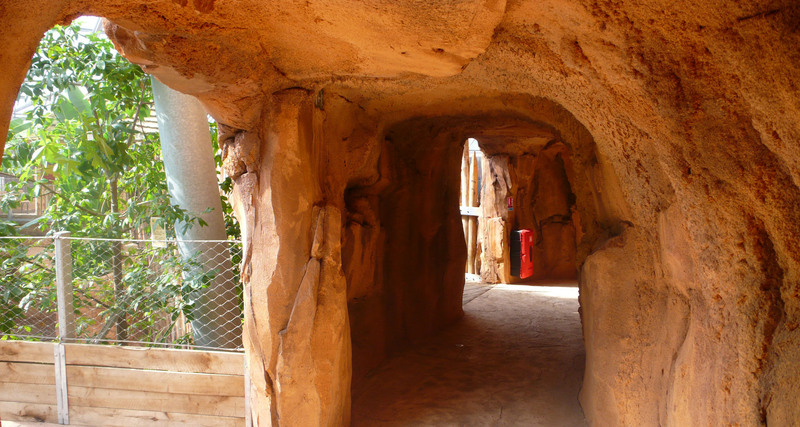 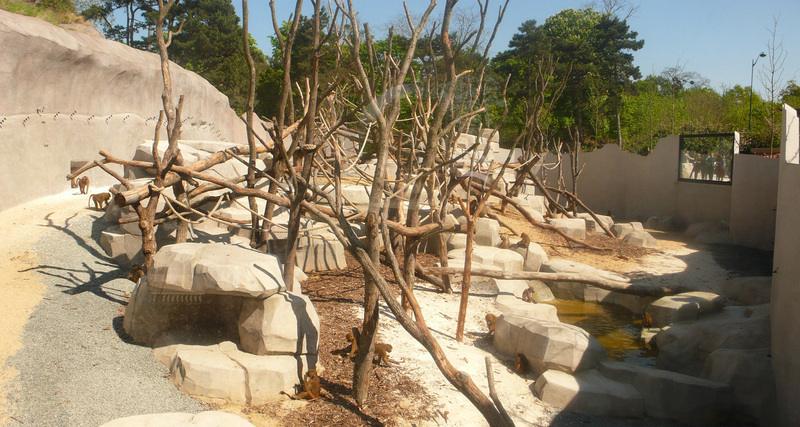 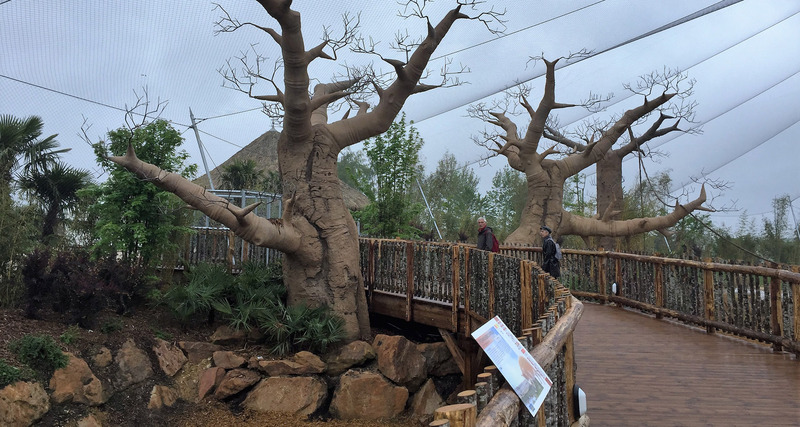 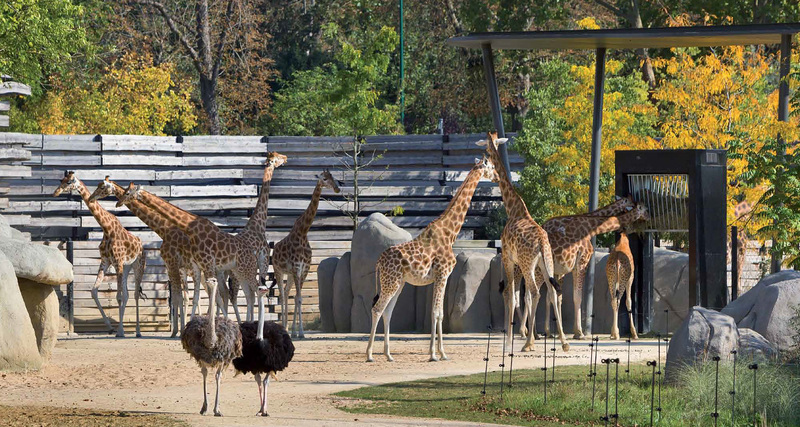 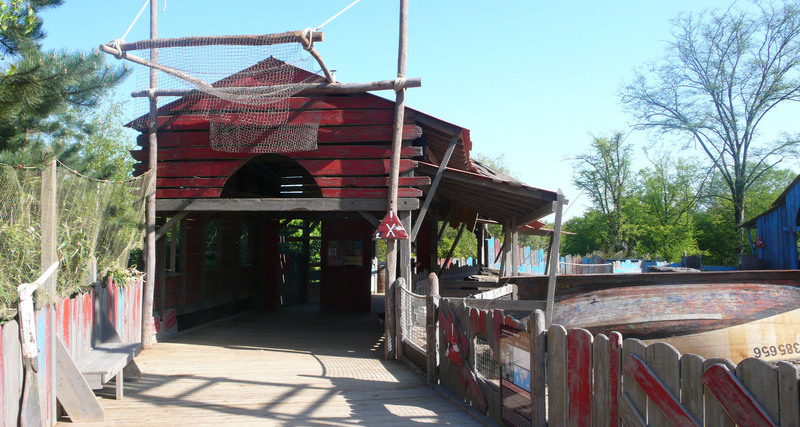 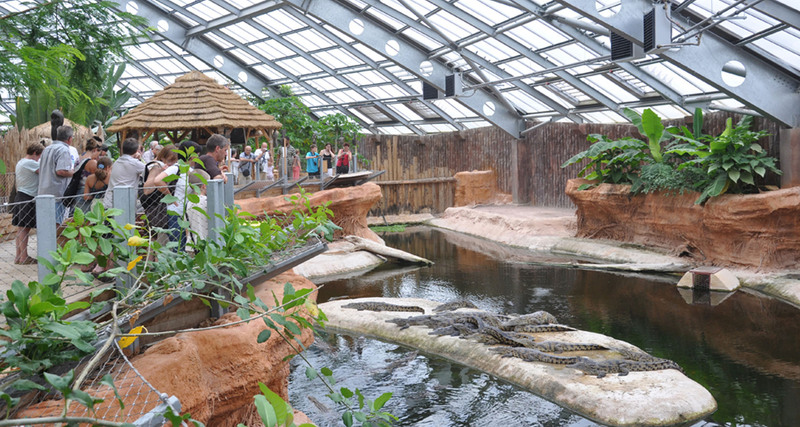 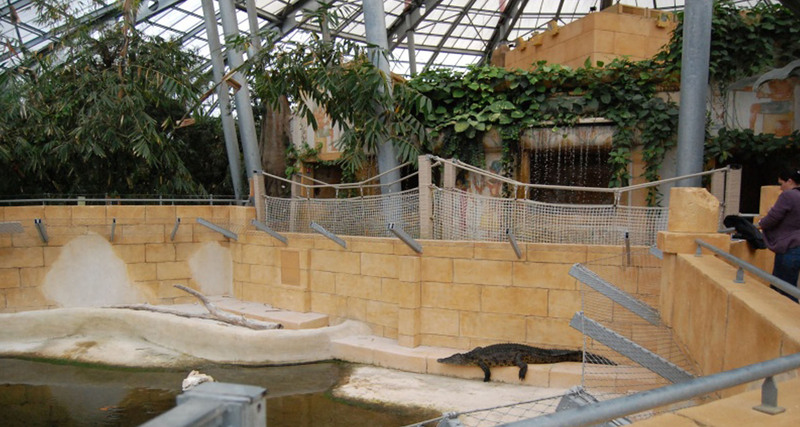 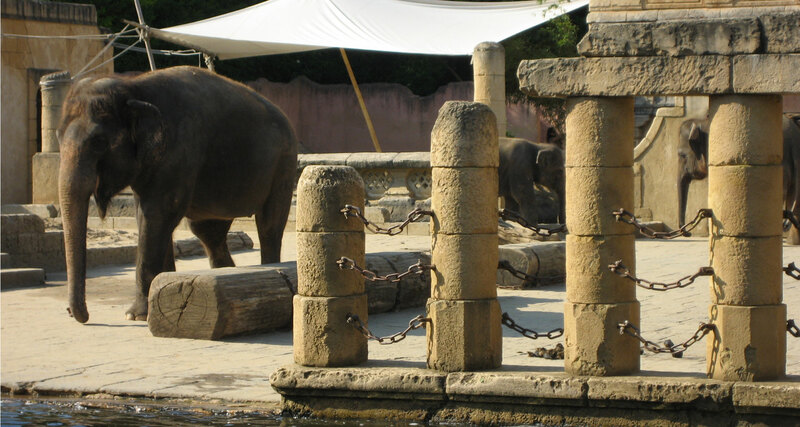 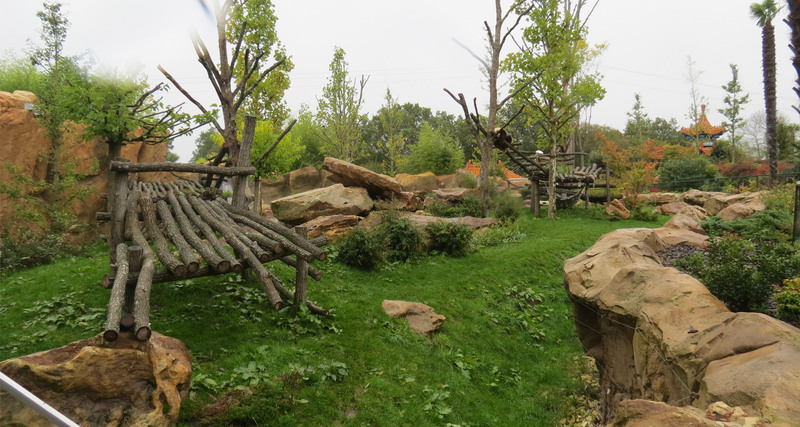 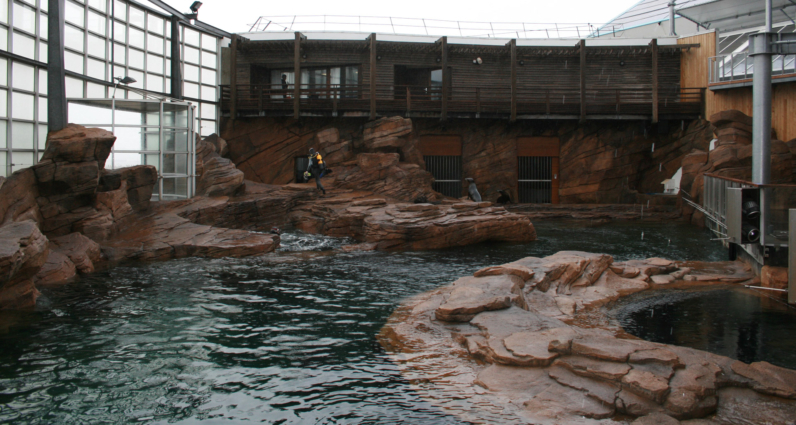 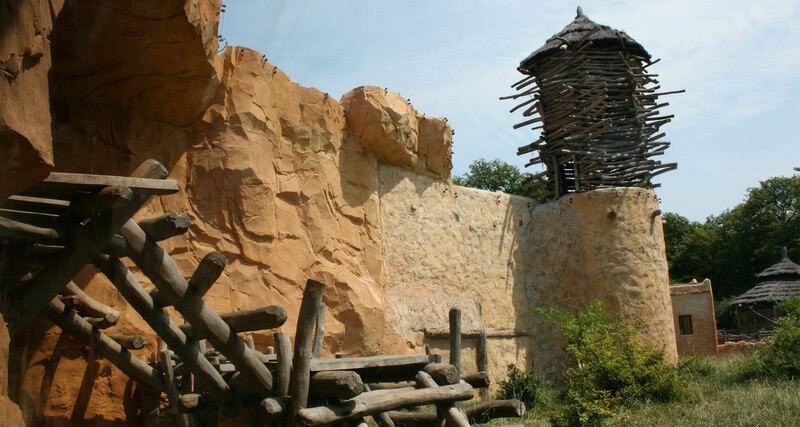 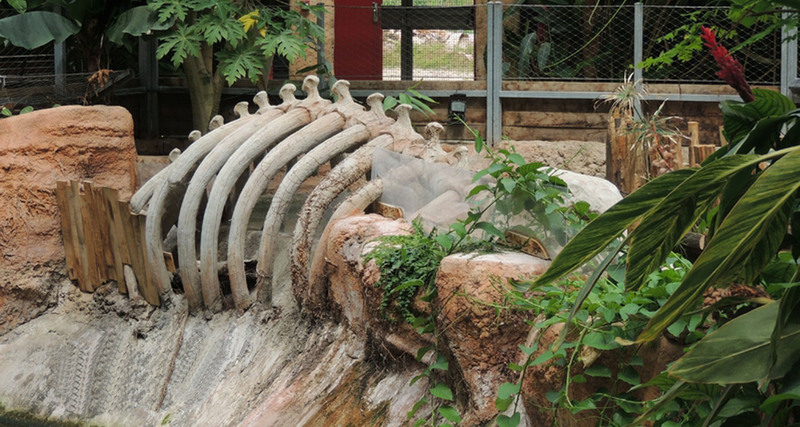 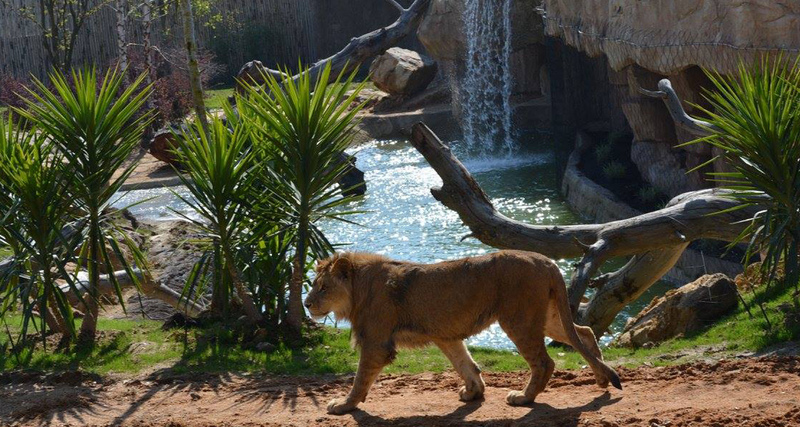 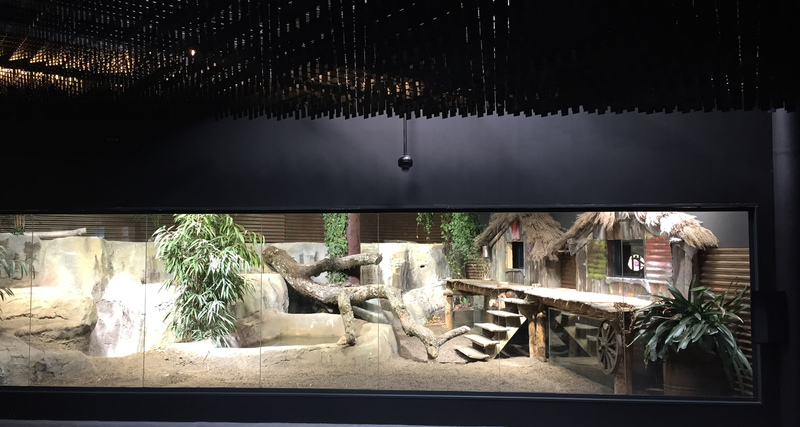 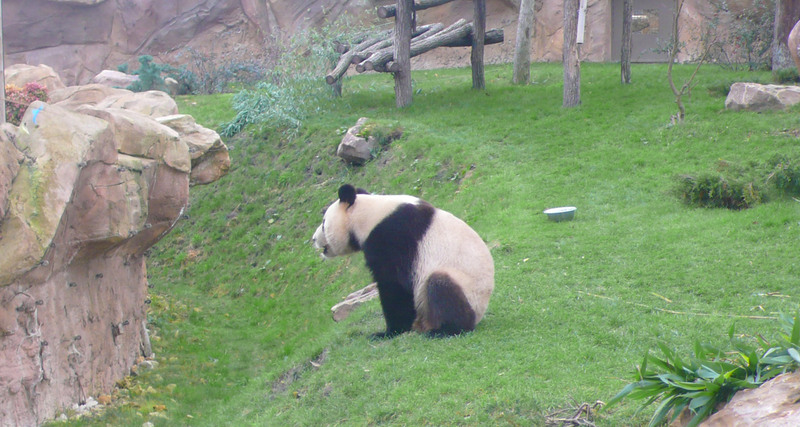 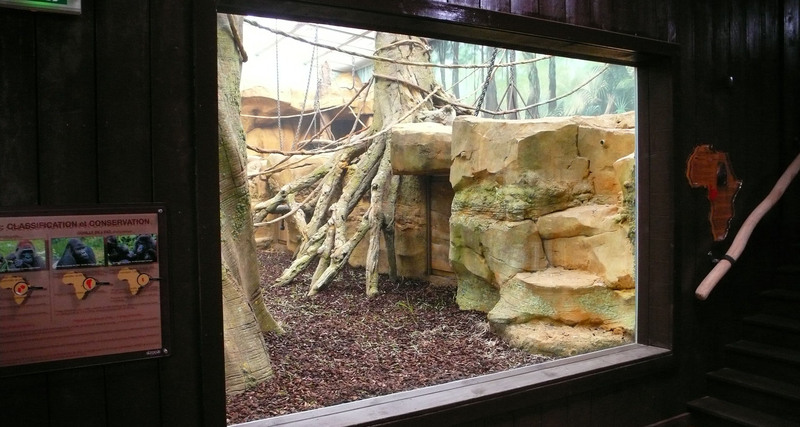 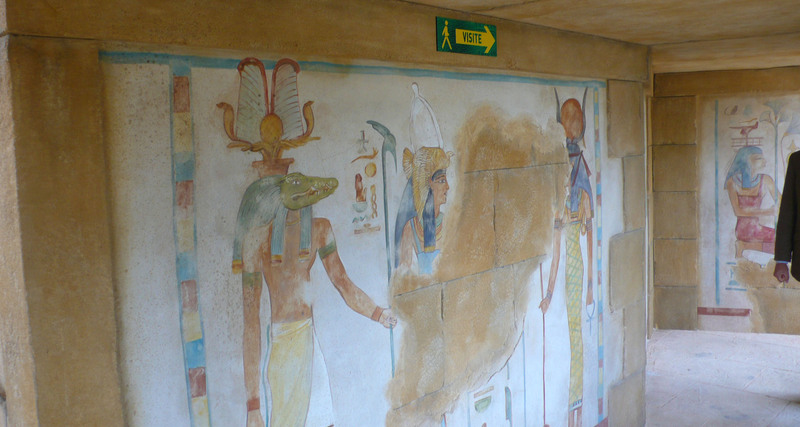 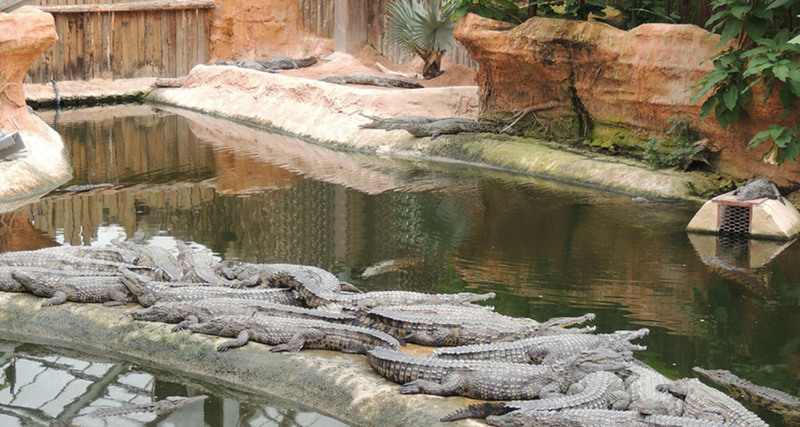 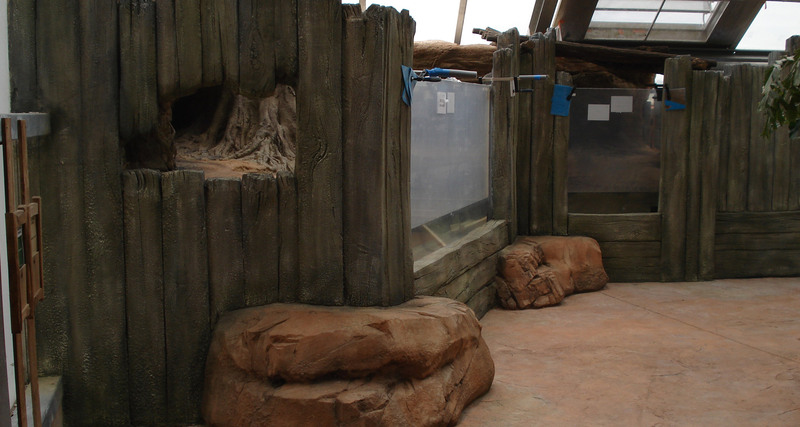 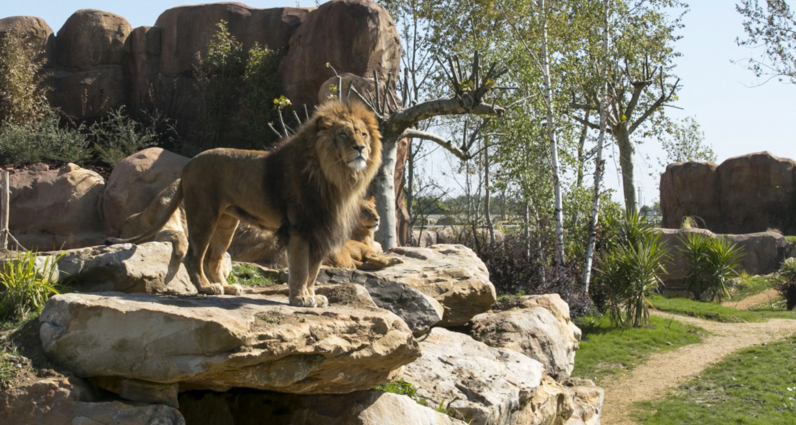 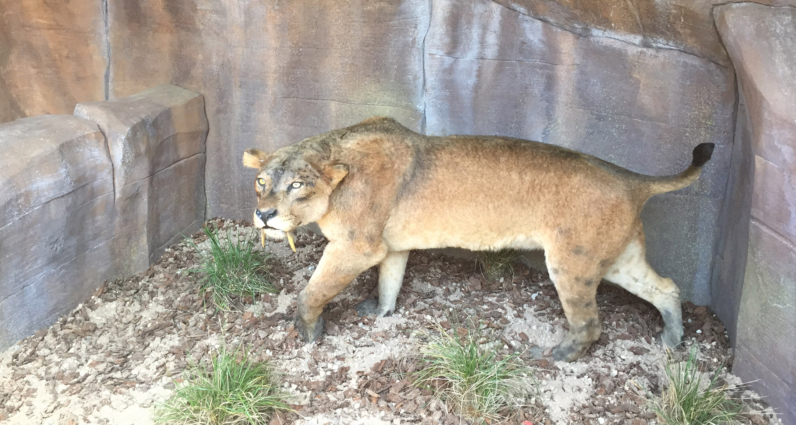 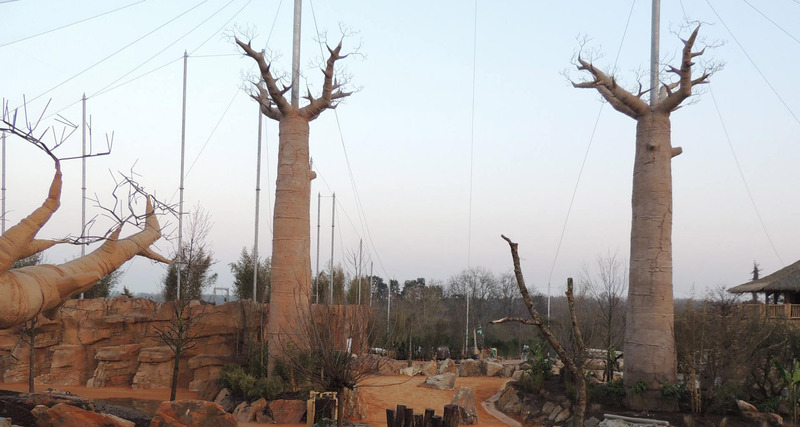 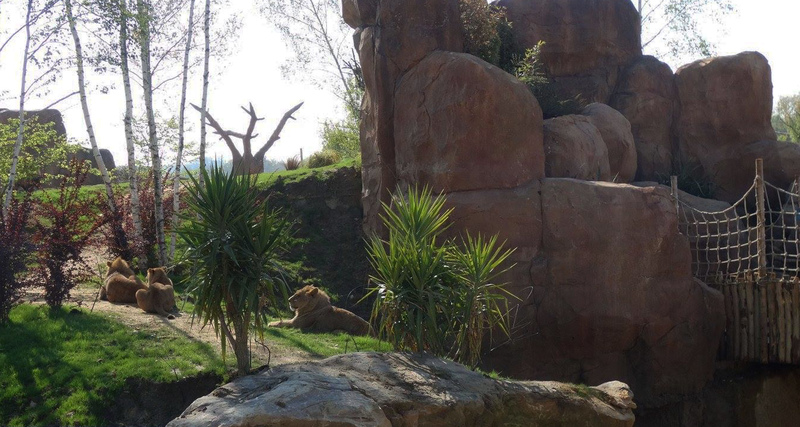 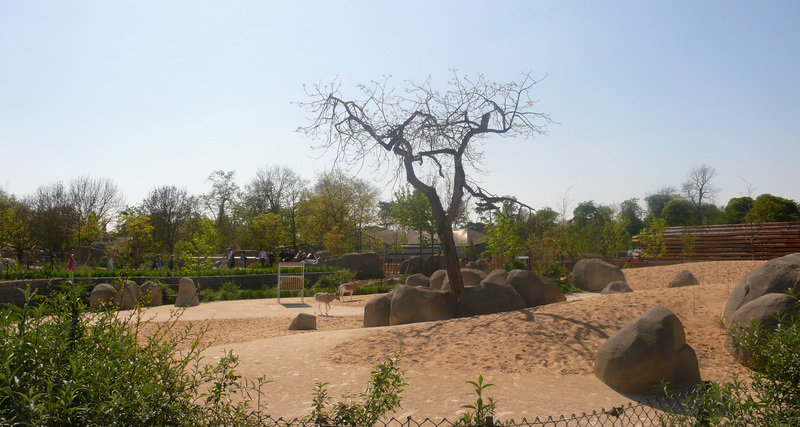 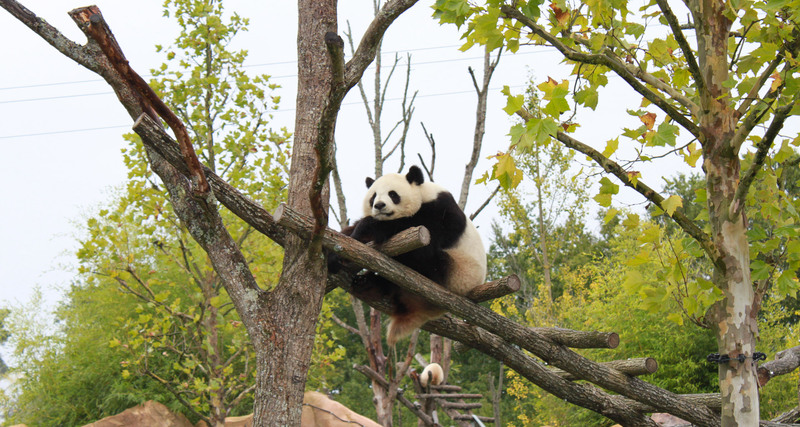 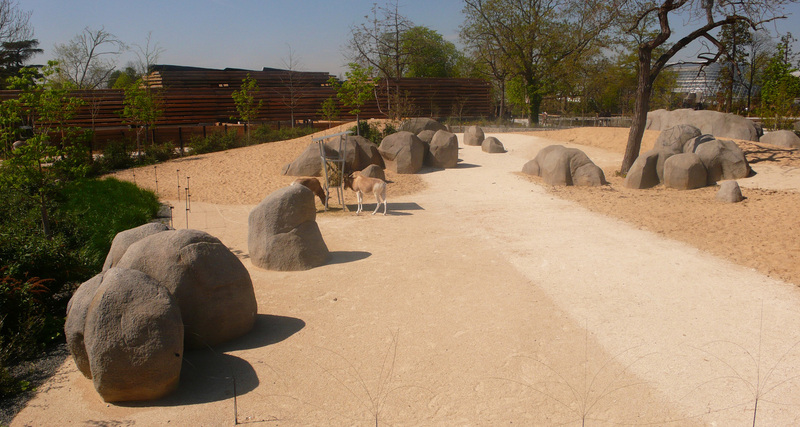 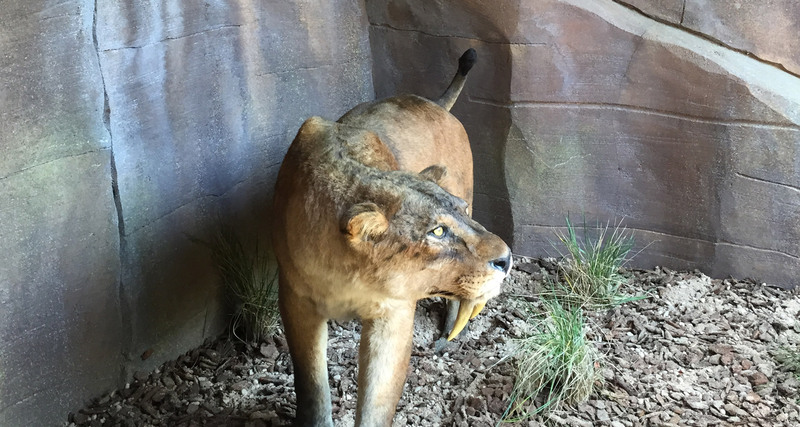 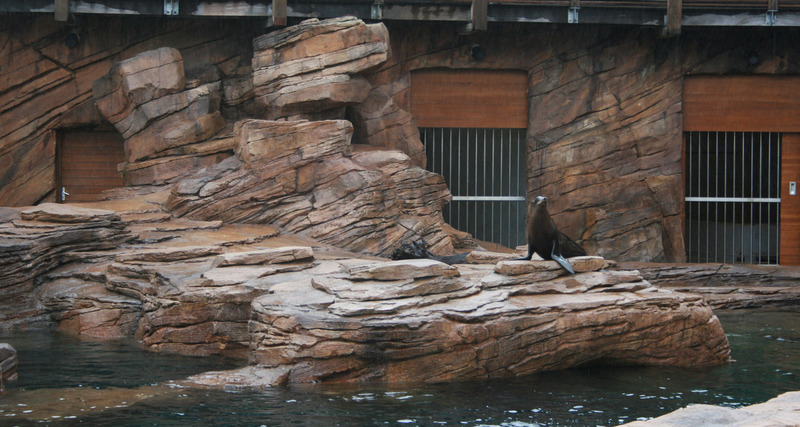 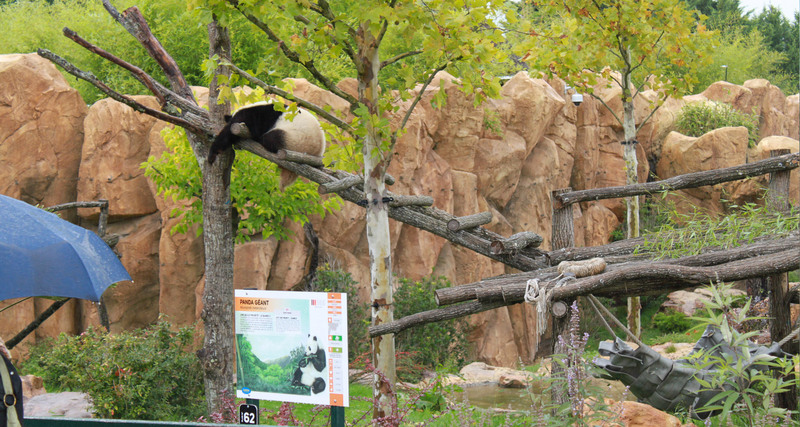 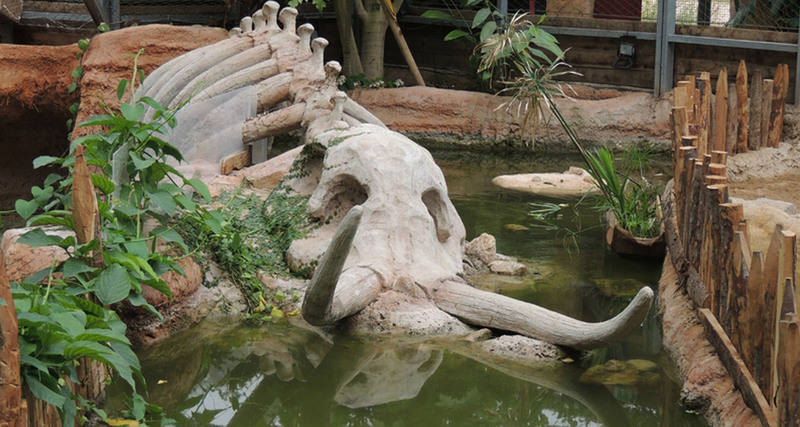 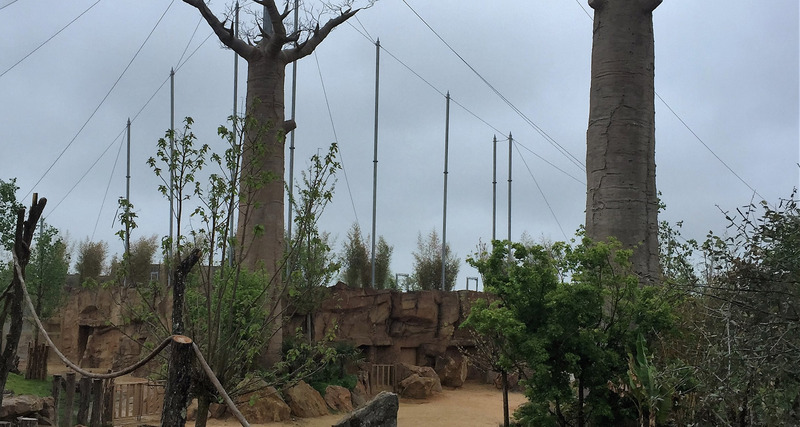 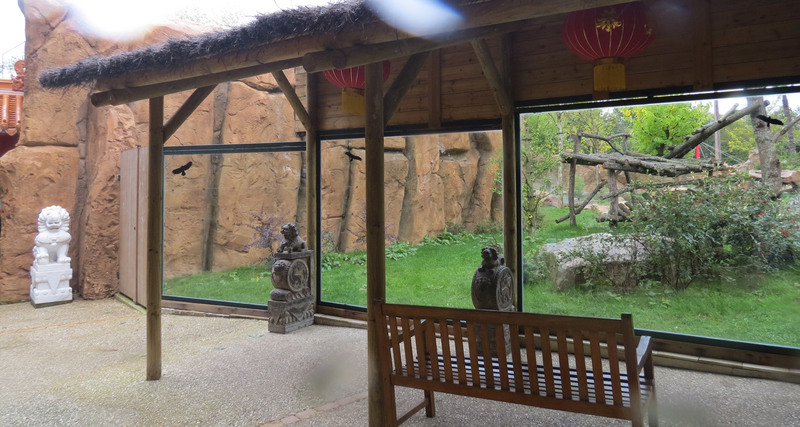 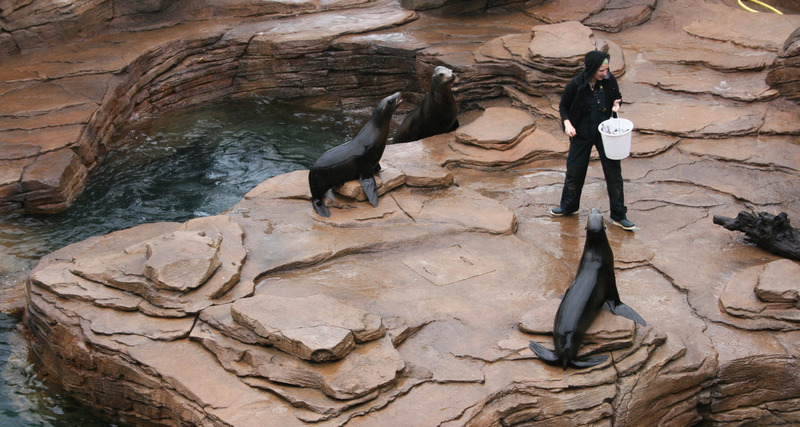 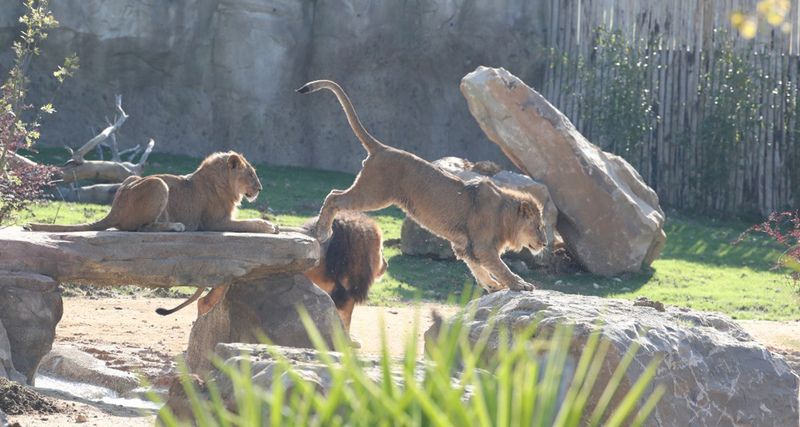 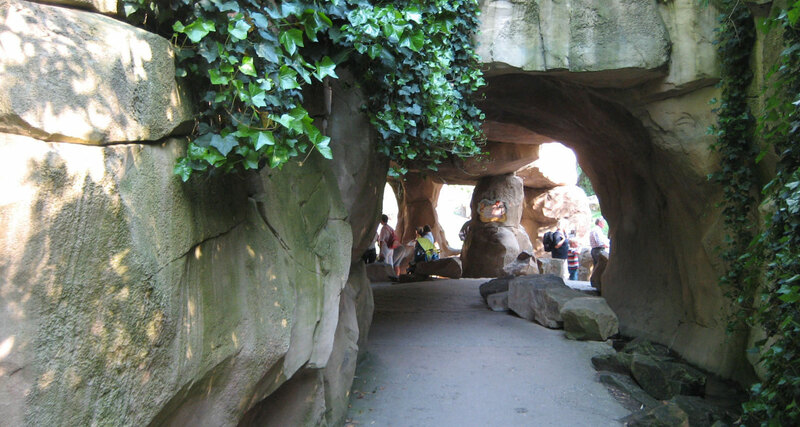 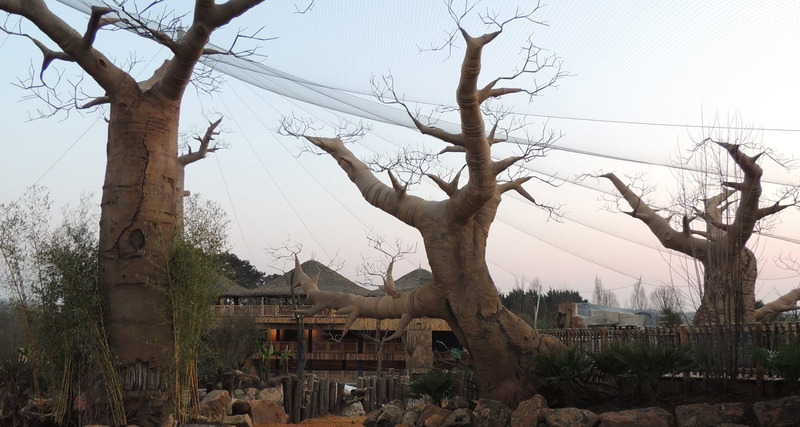 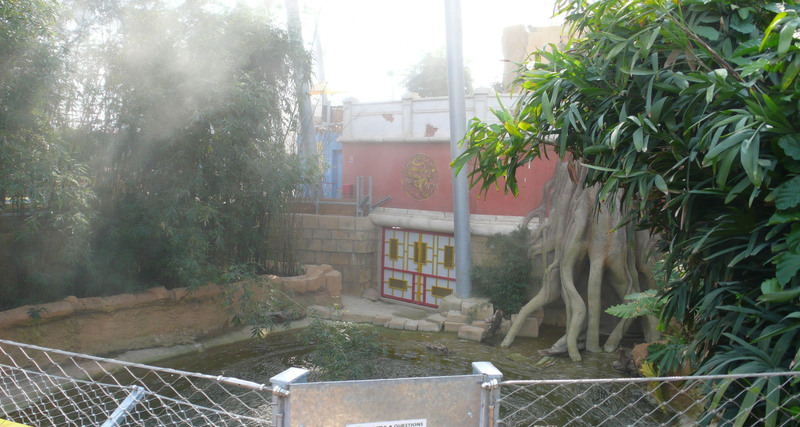 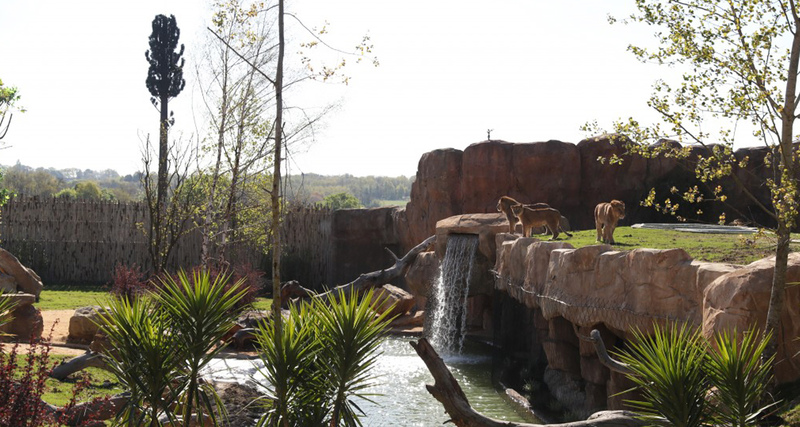 AAB took part in renovation and enlargement of the zoo. 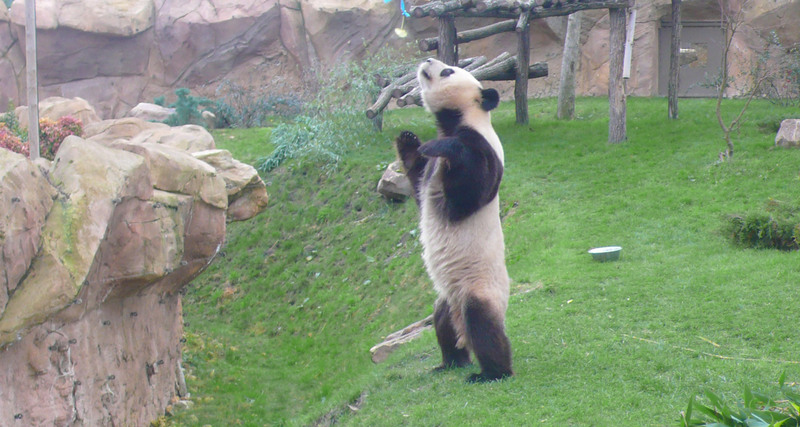 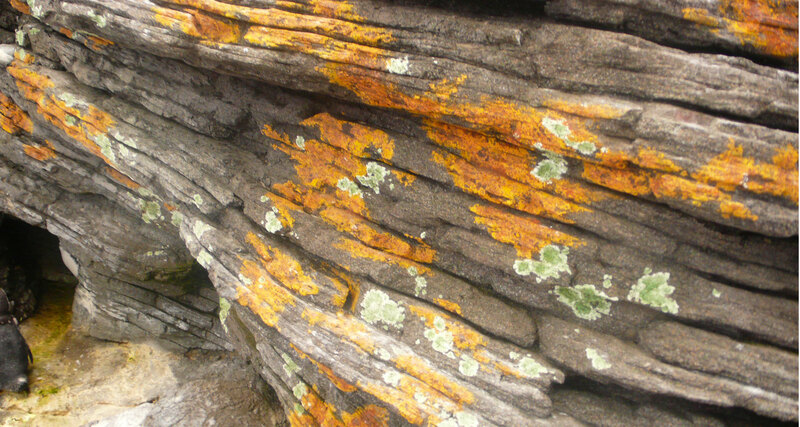 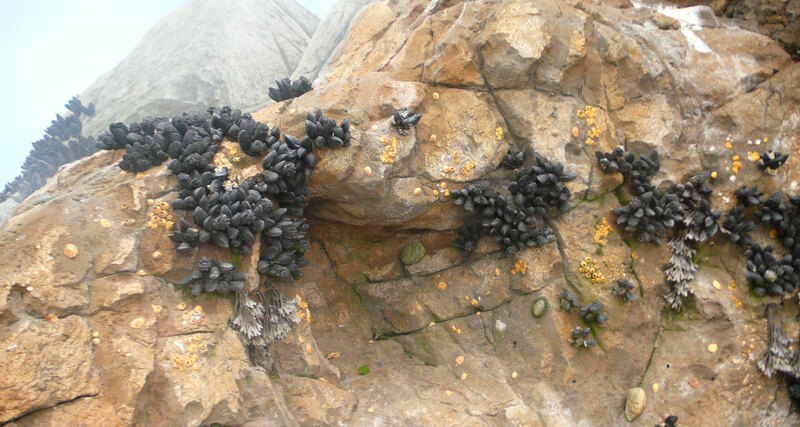 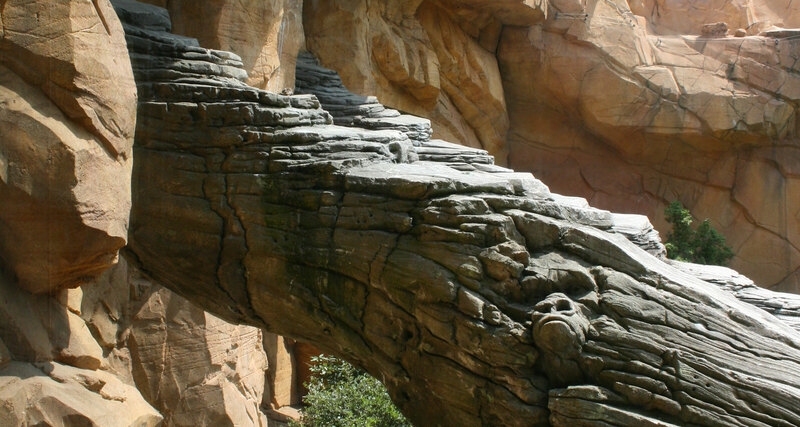 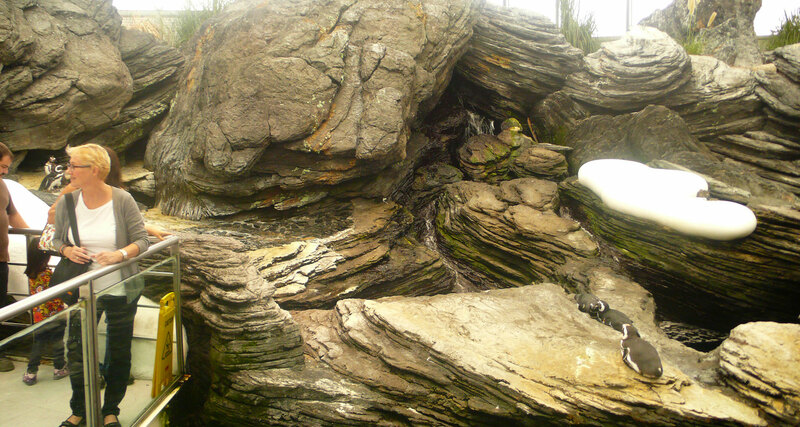 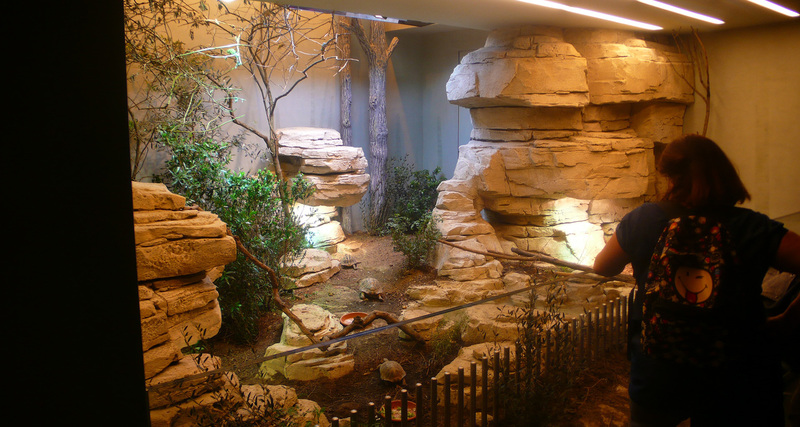 Panda Area: Design and production of rock decors. 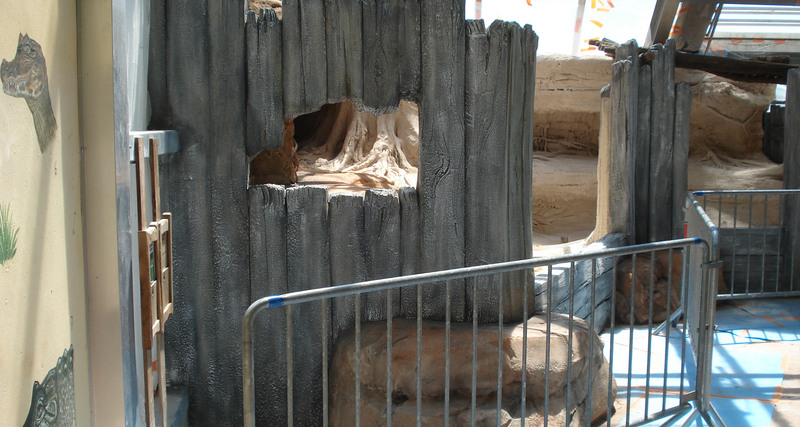 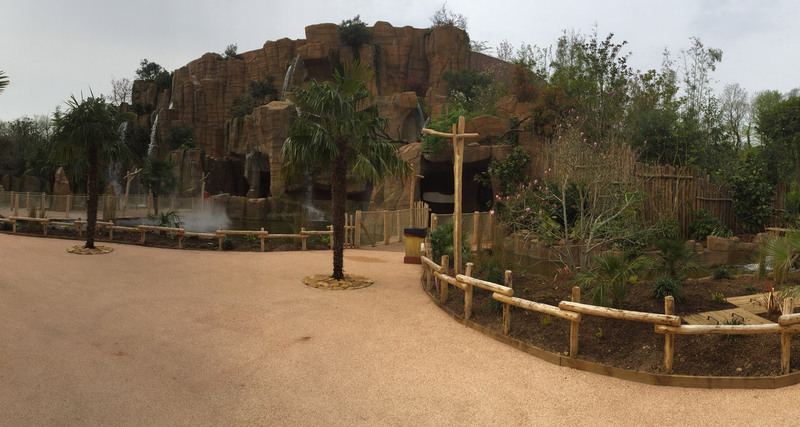 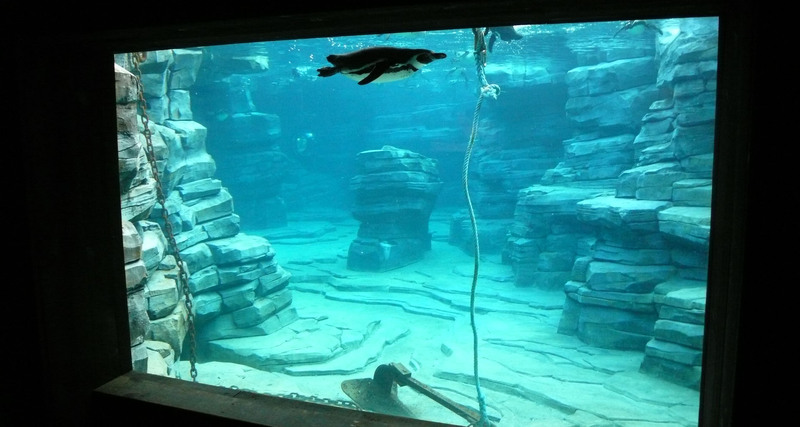 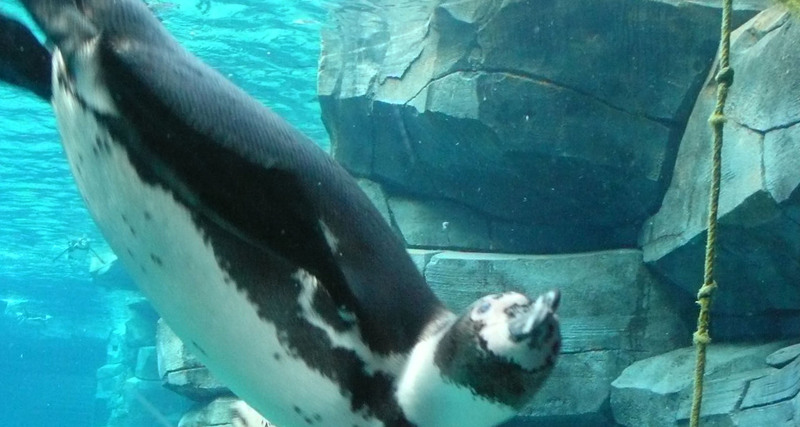 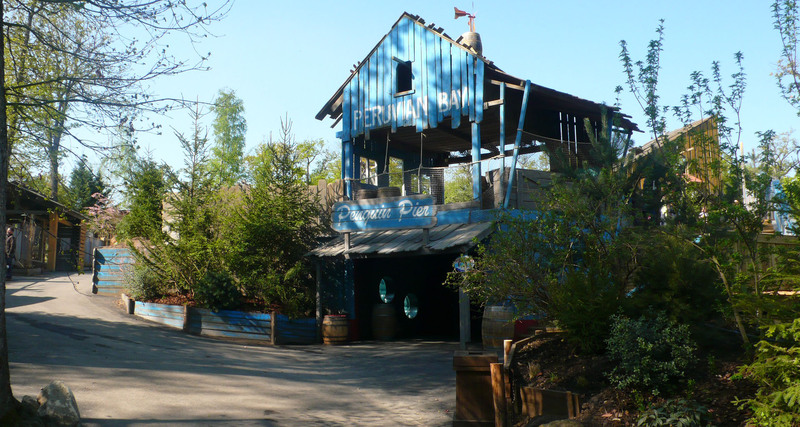 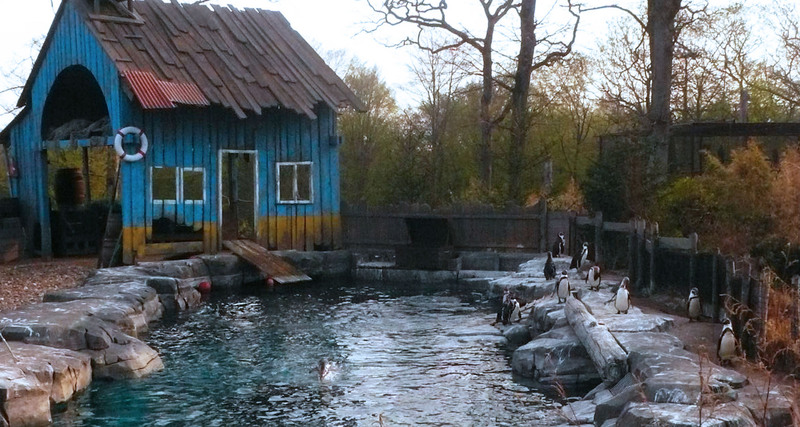 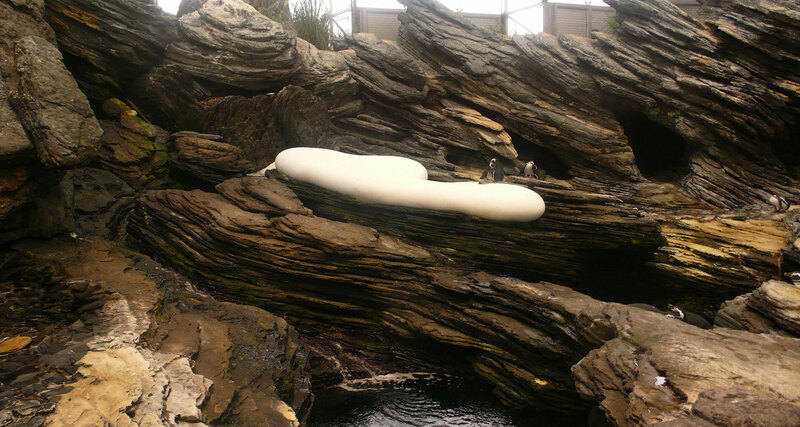 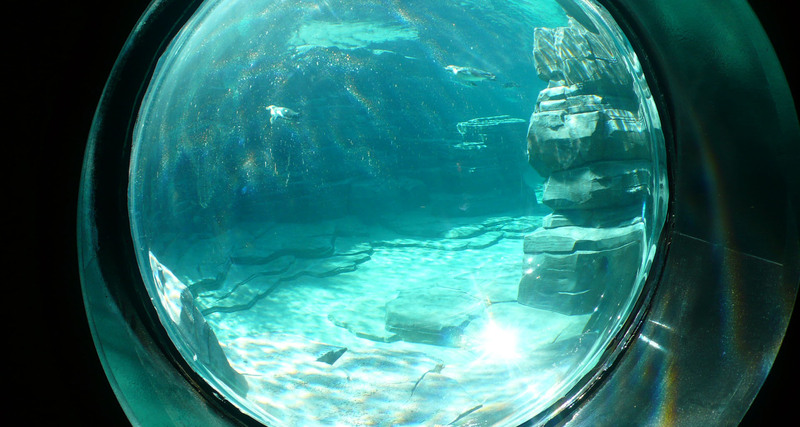 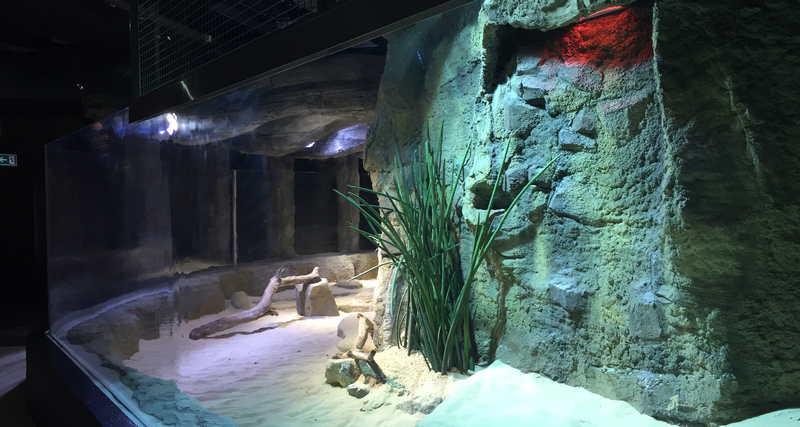 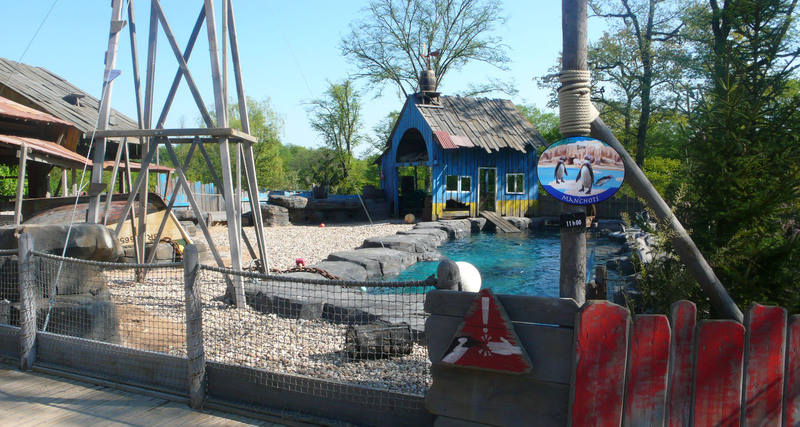 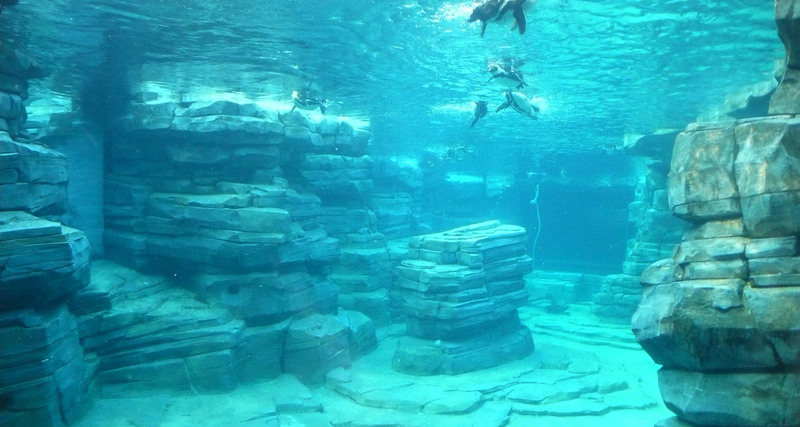 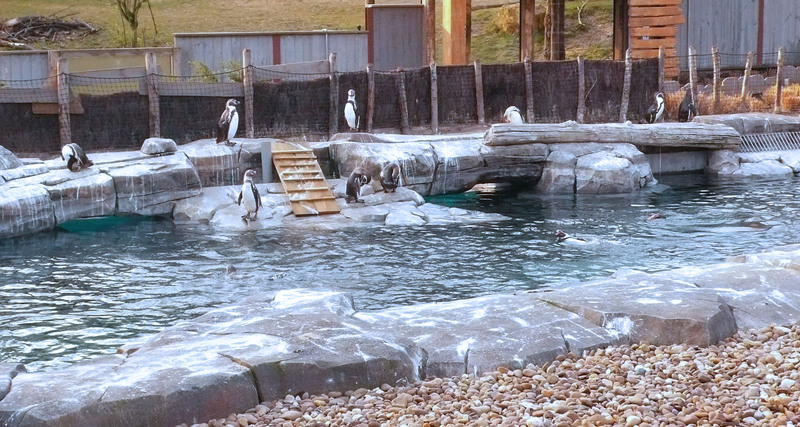 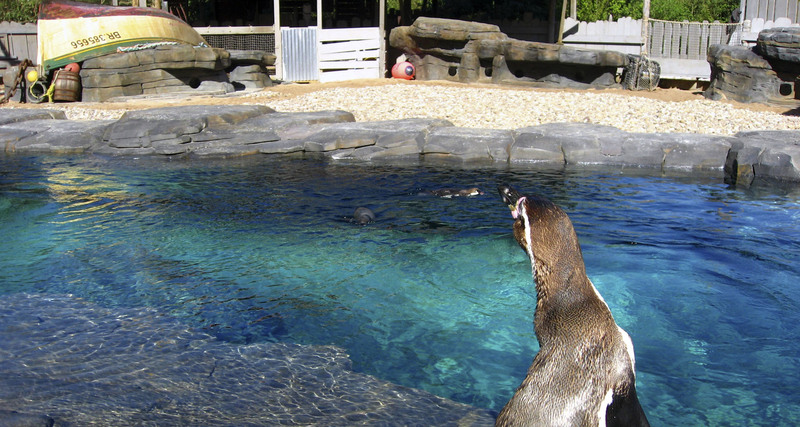 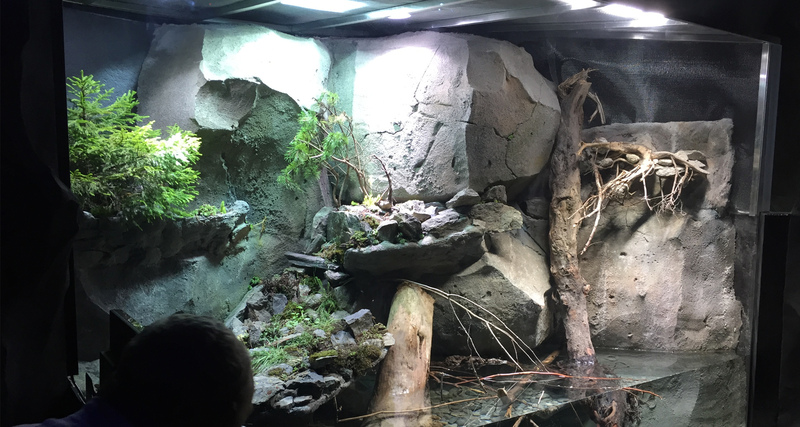 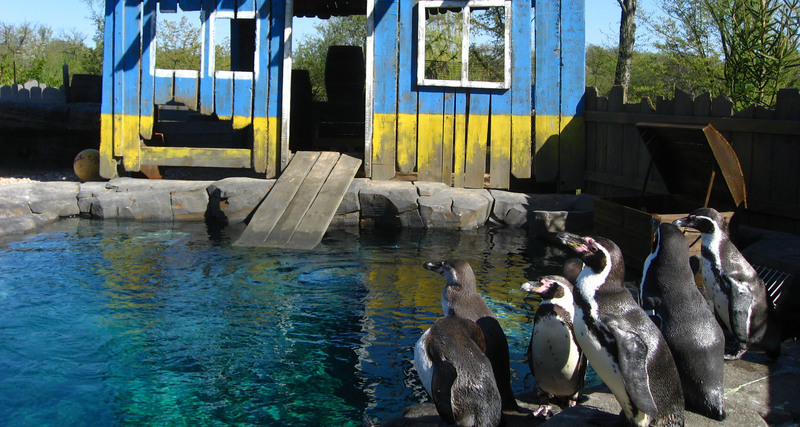 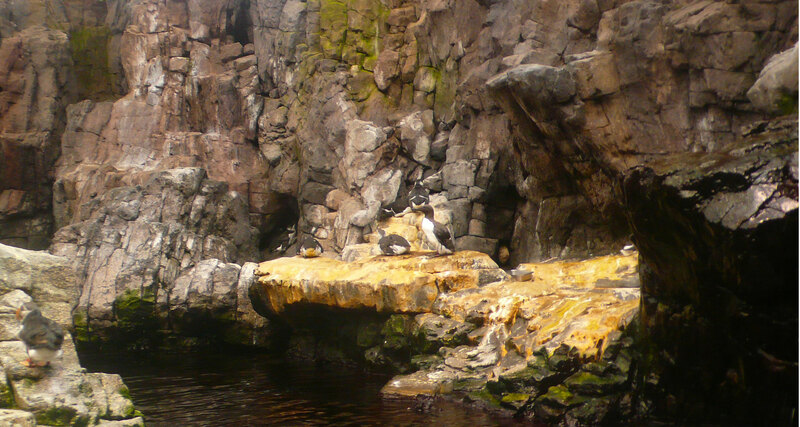 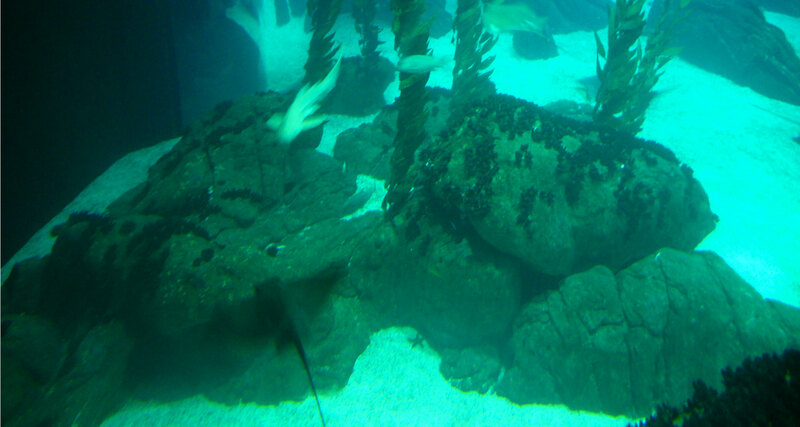 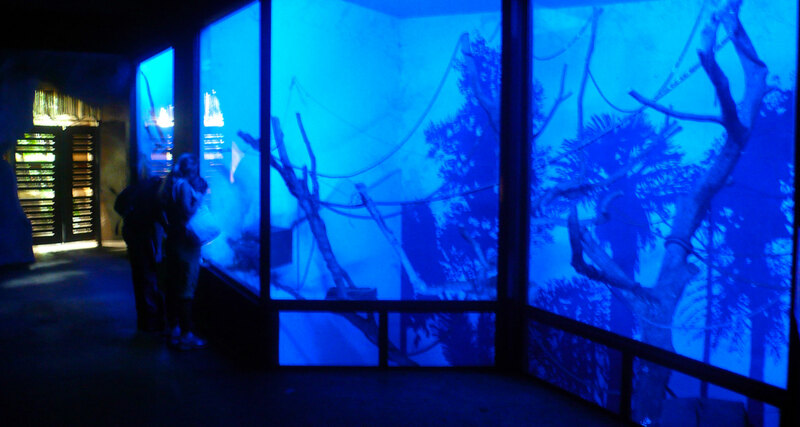 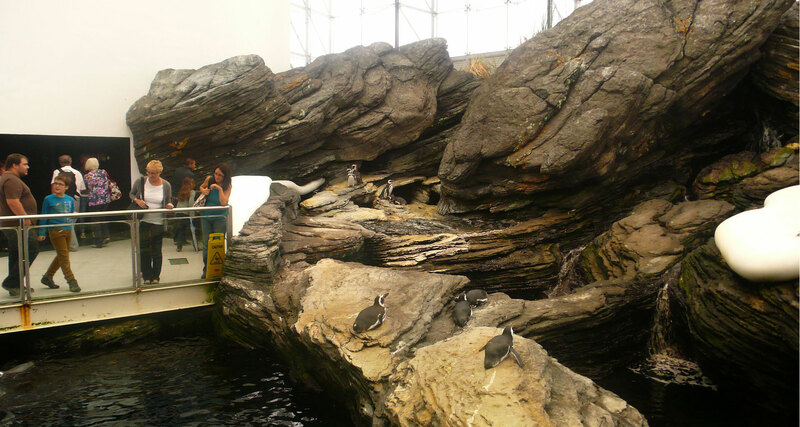 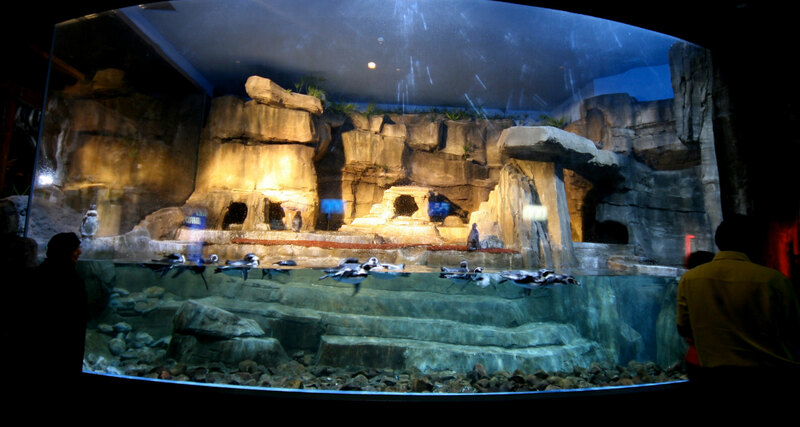 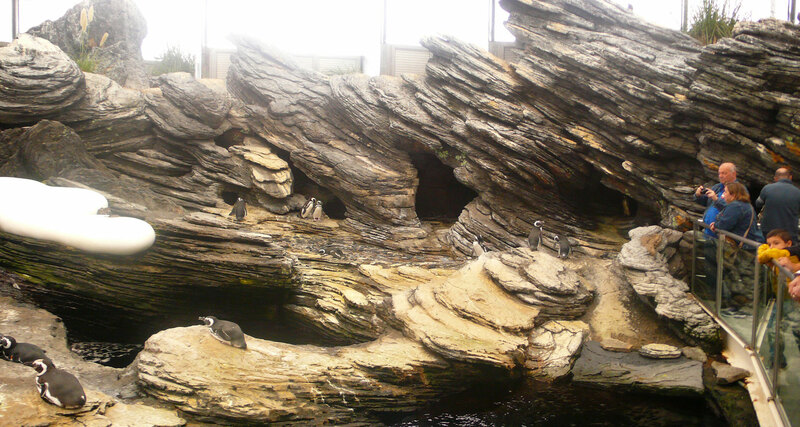 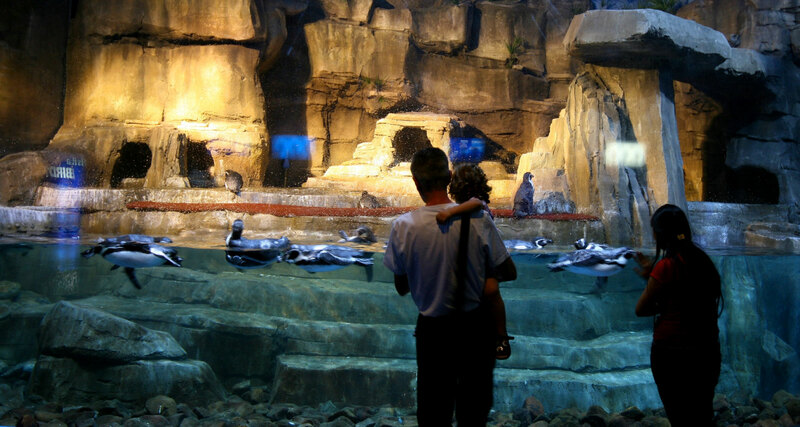 AAB produced all the decors for the penguin enclosure. 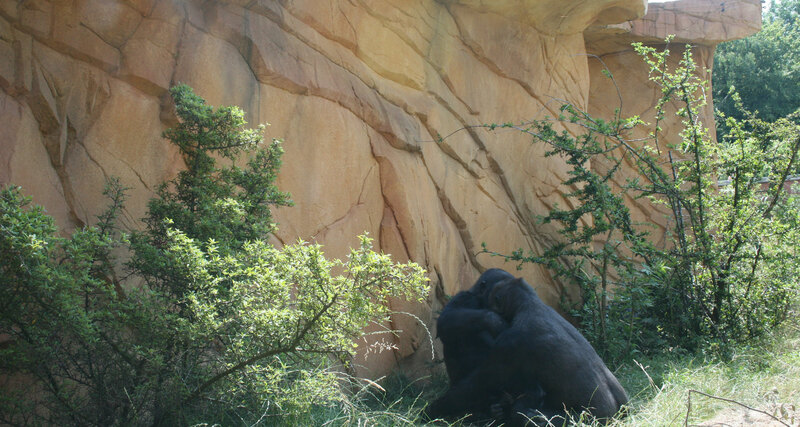 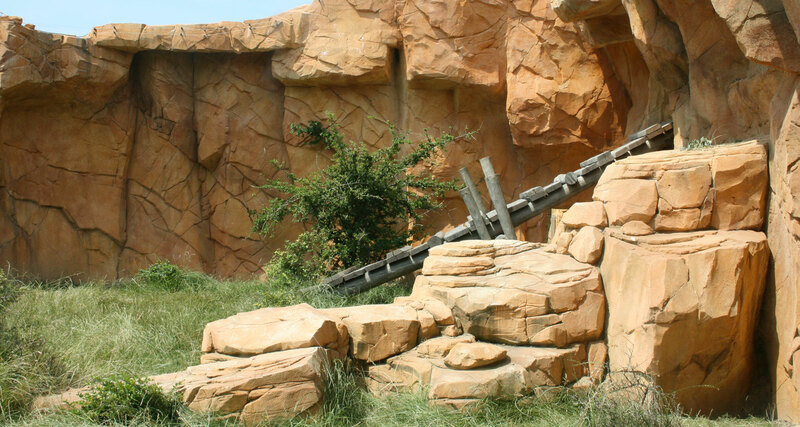 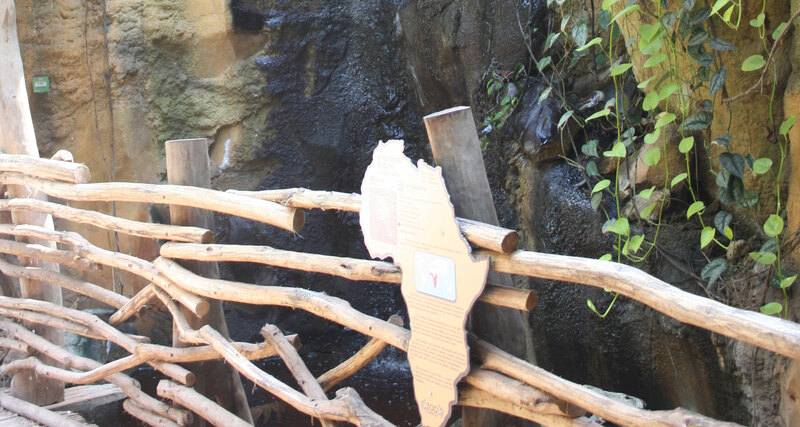 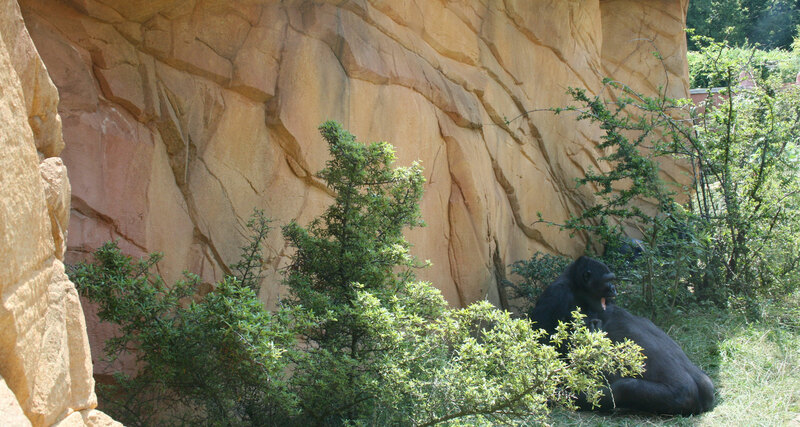 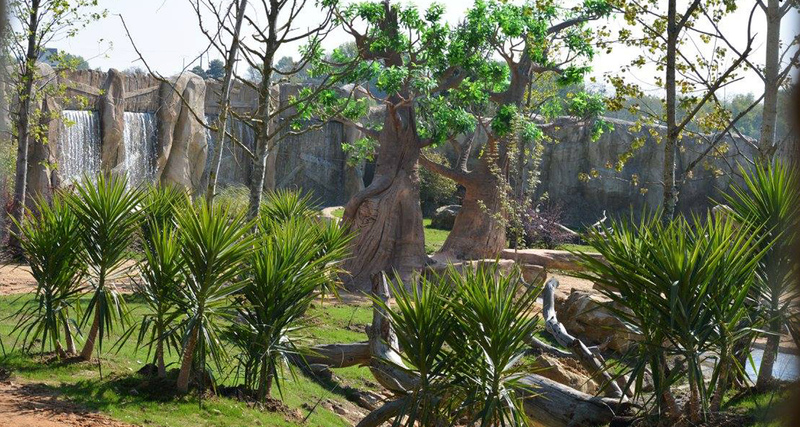 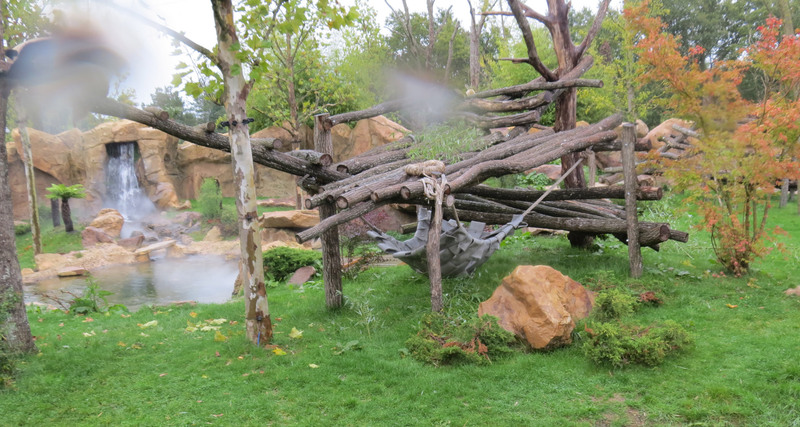 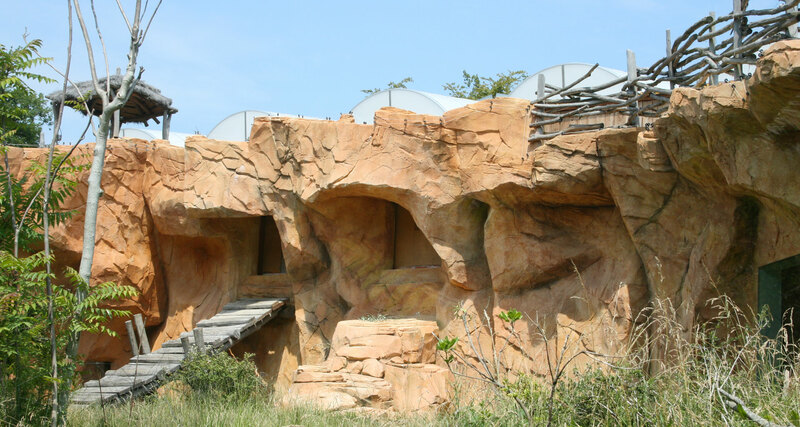 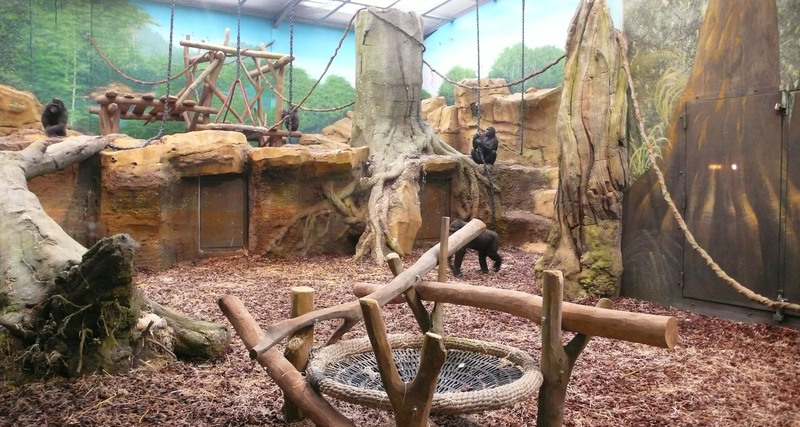 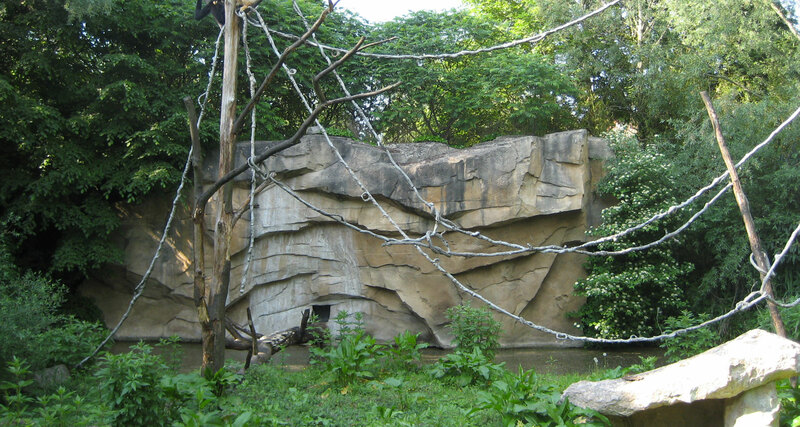 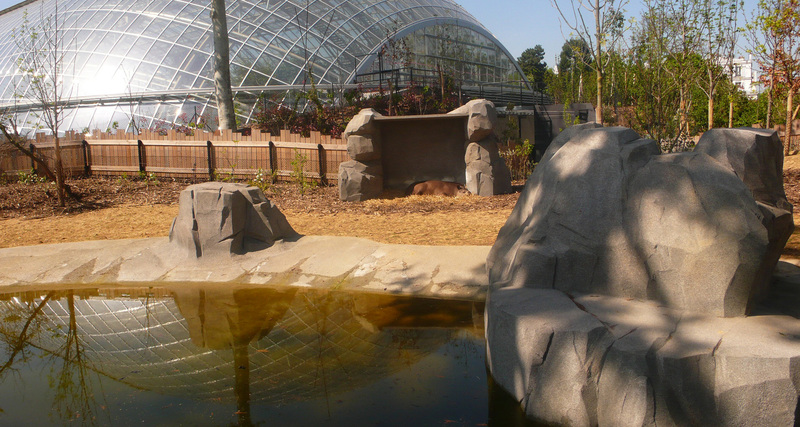 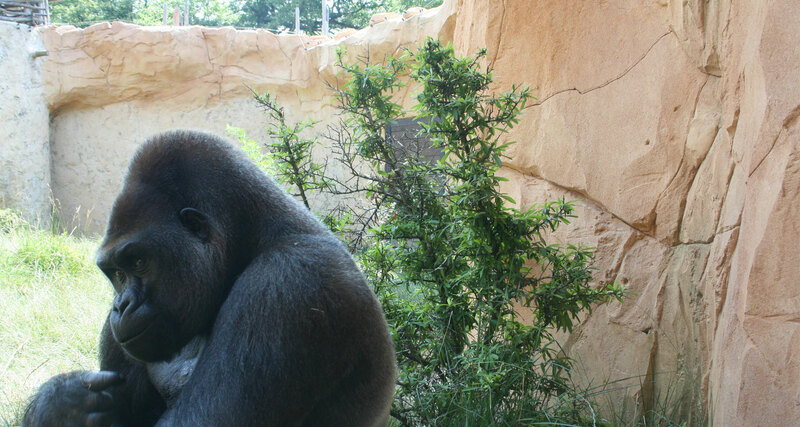 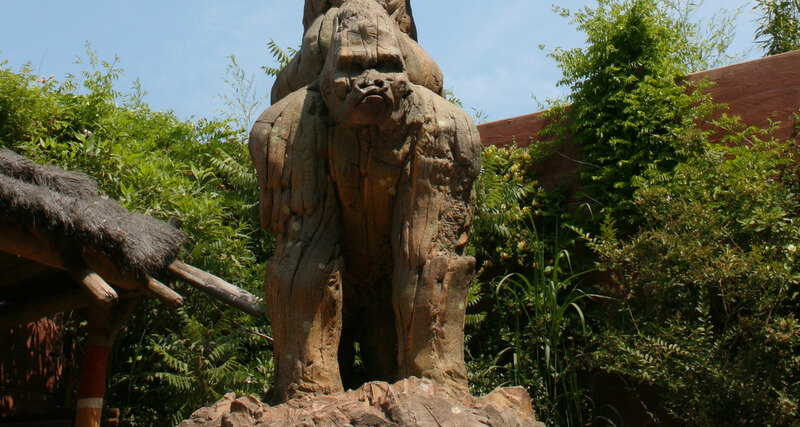 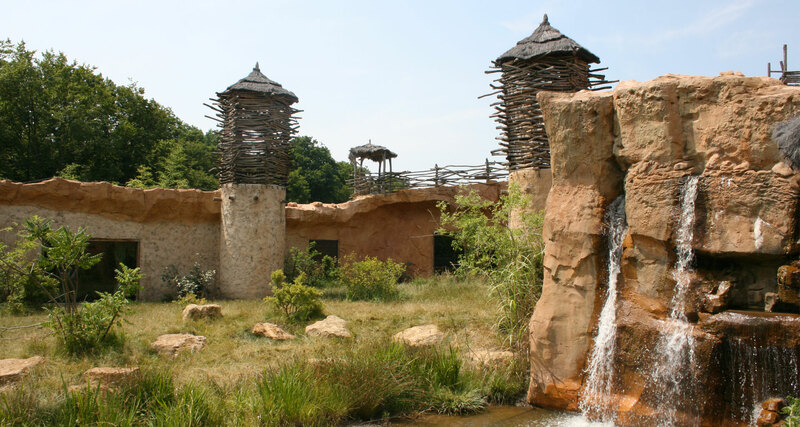 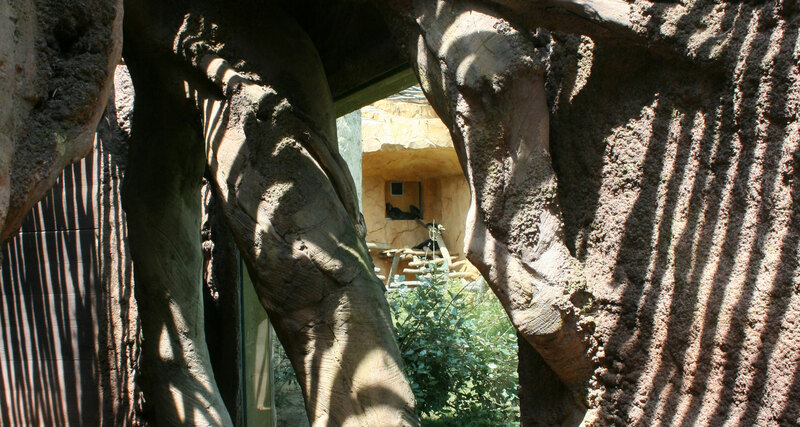 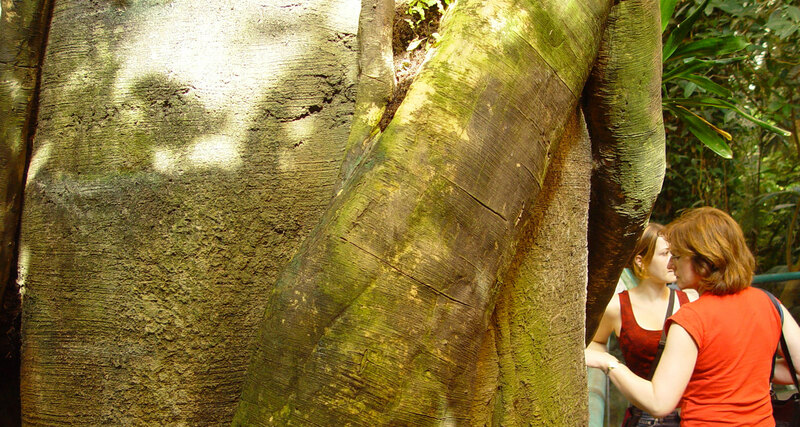 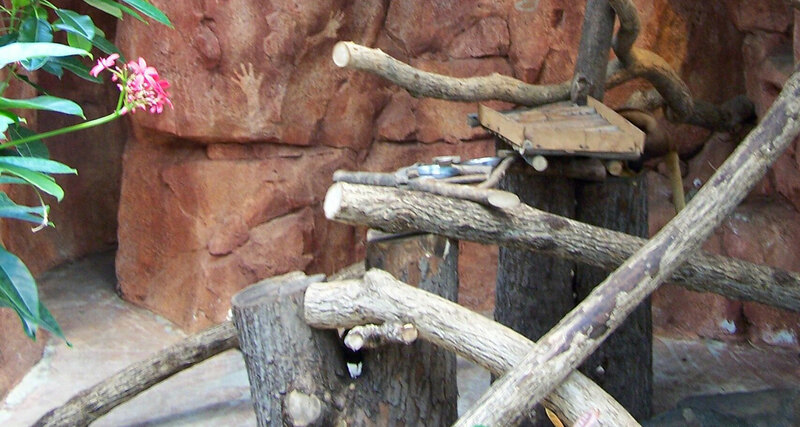 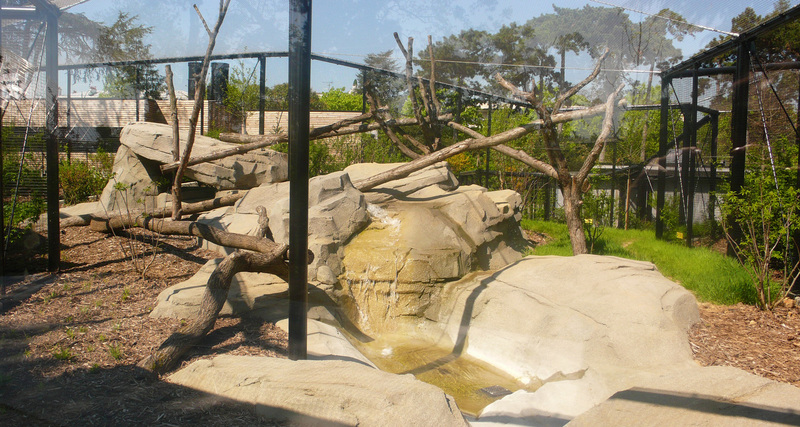 AAB contributed to the thematic design and execution of the gorillas’ habitat. 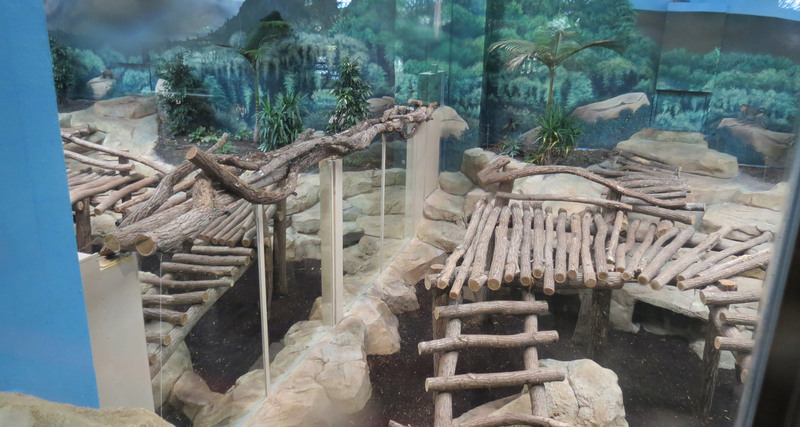 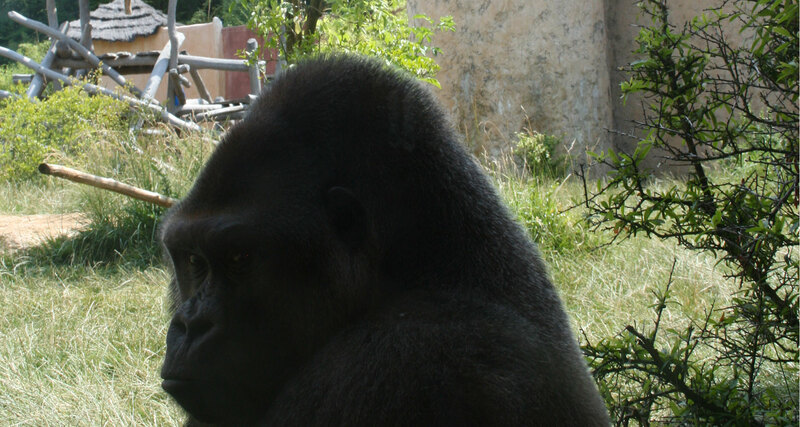 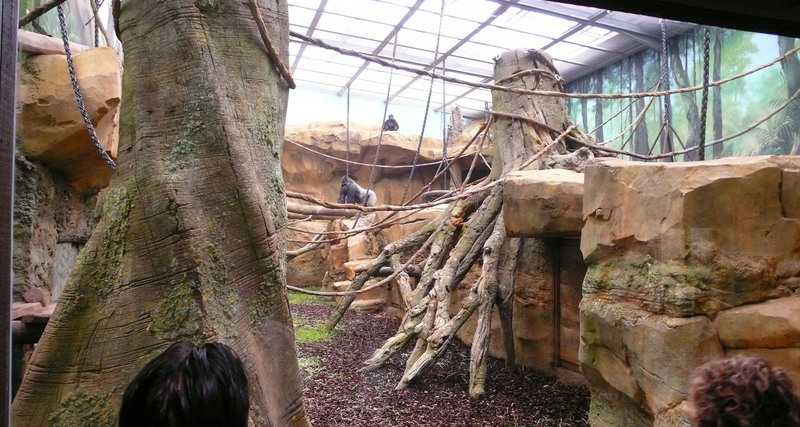 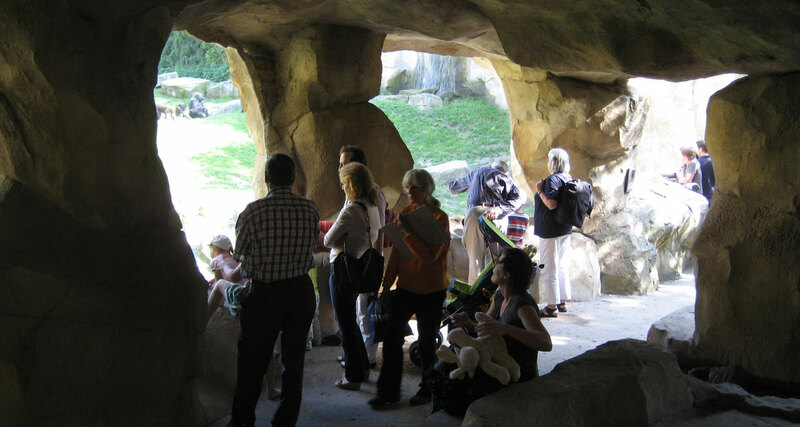 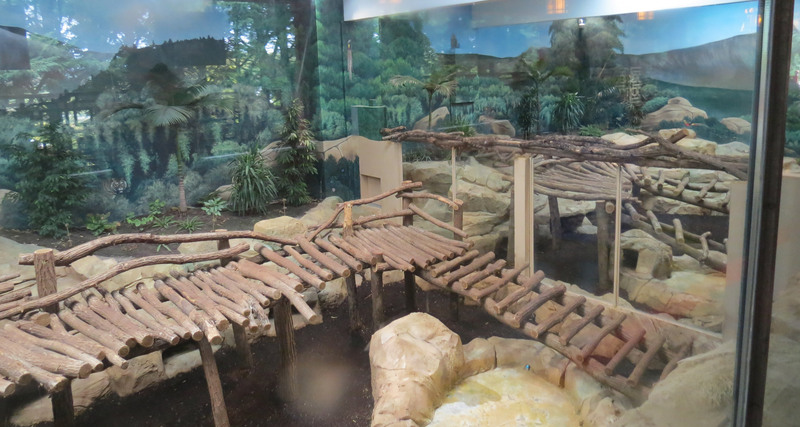 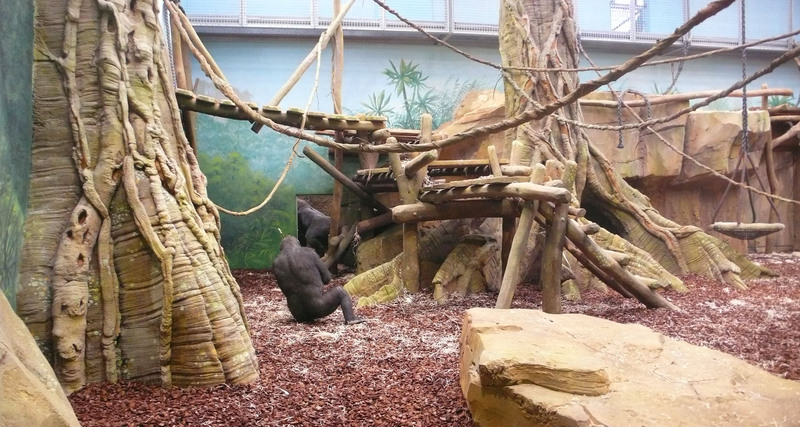 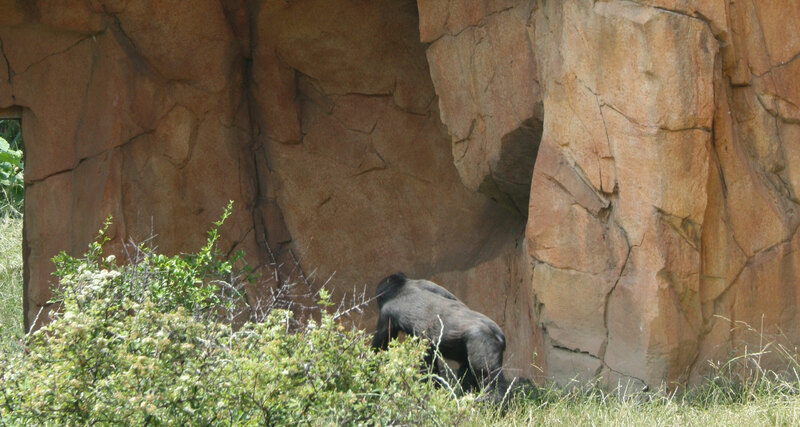 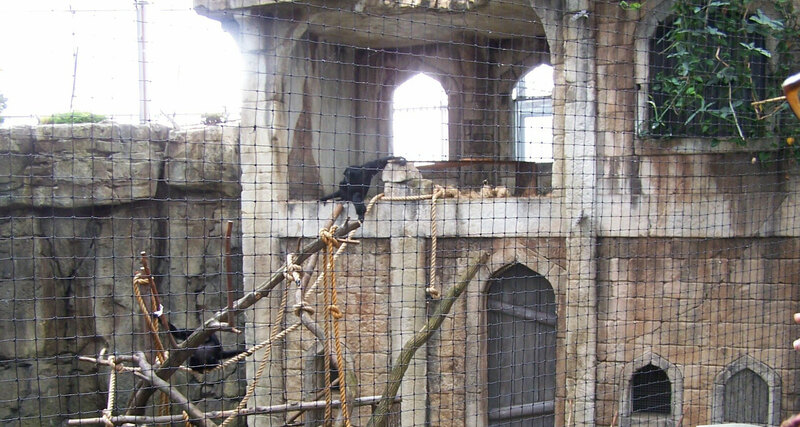 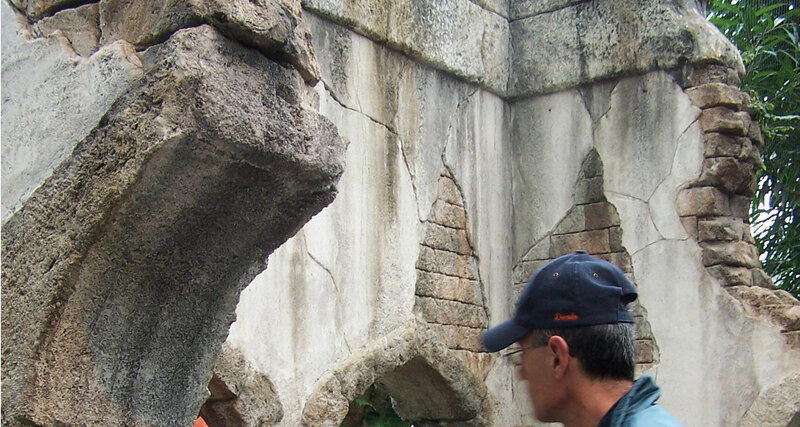 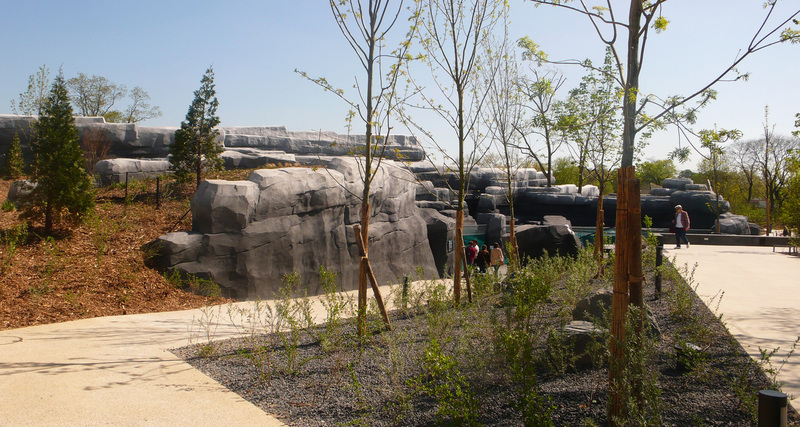 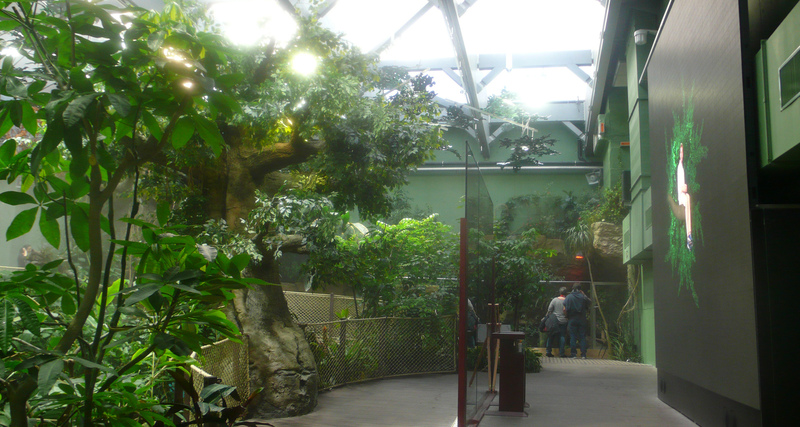 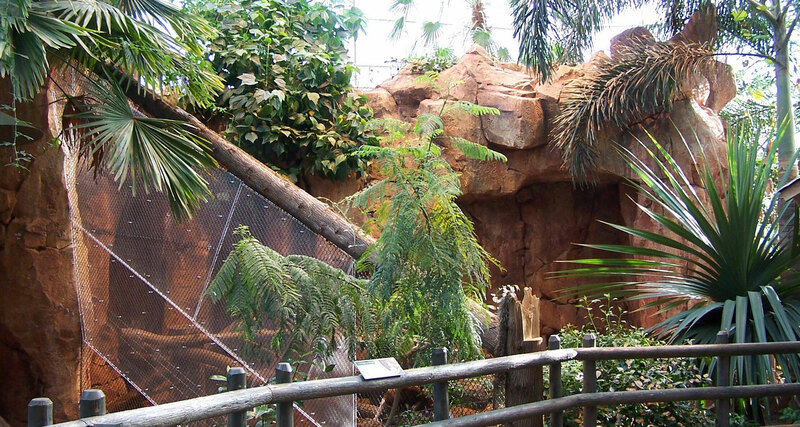 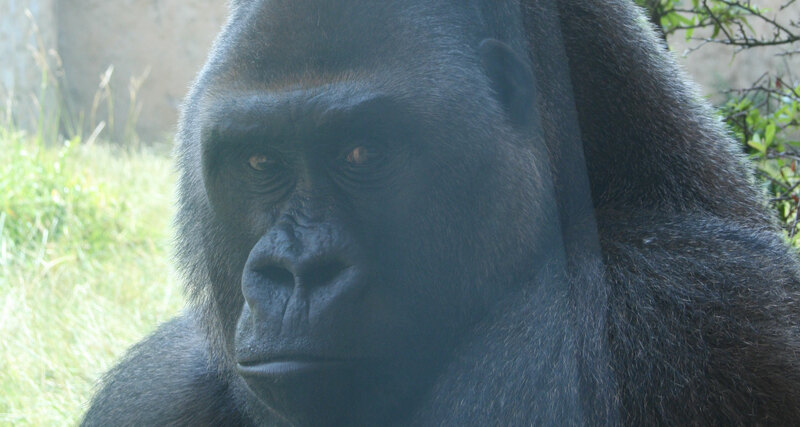 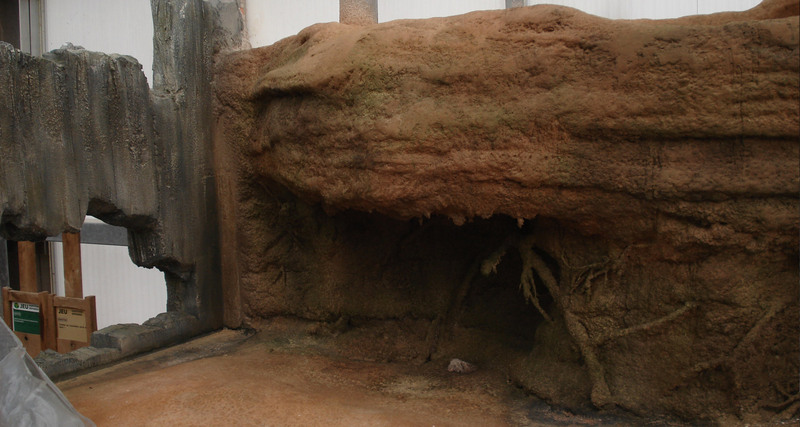 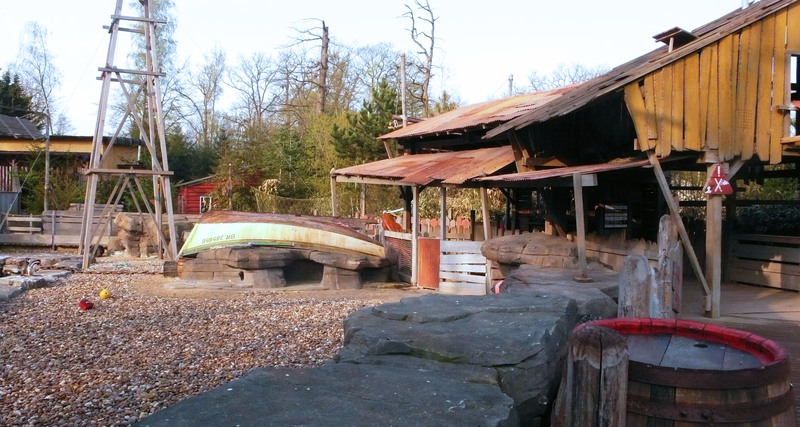 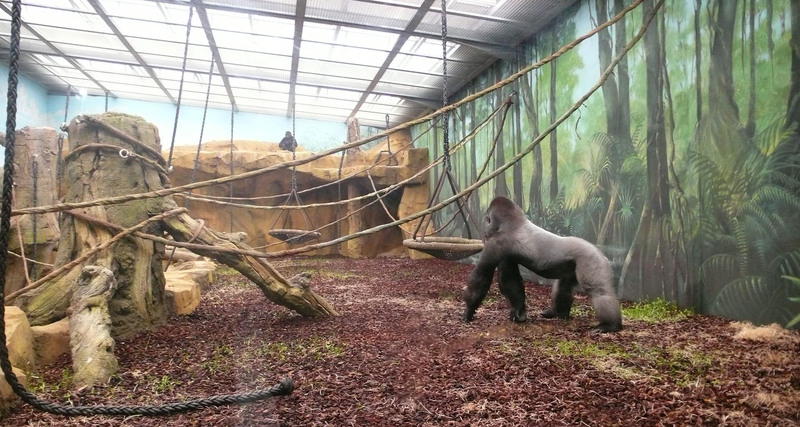 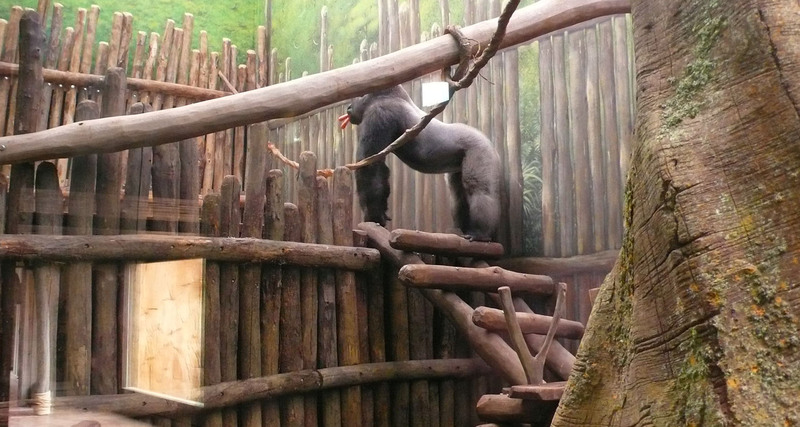 Gorilla Area: Development of the outdoor and indoor spaces of the enclosures, including public visit section. 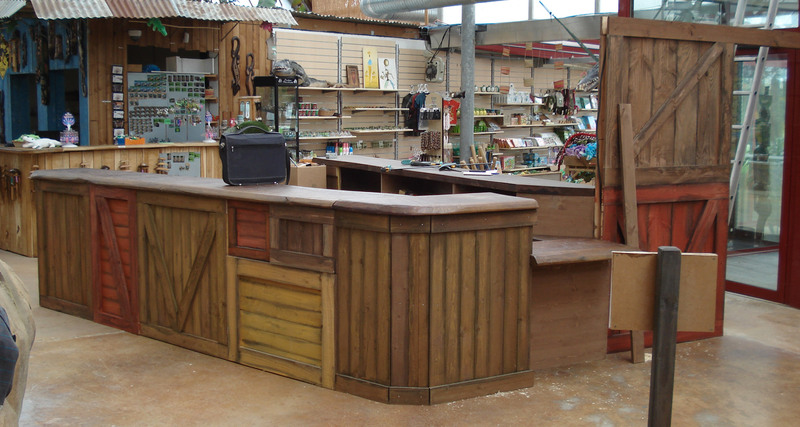 – revamping of the shop entry and exit checkout counter with a worn wood finish. 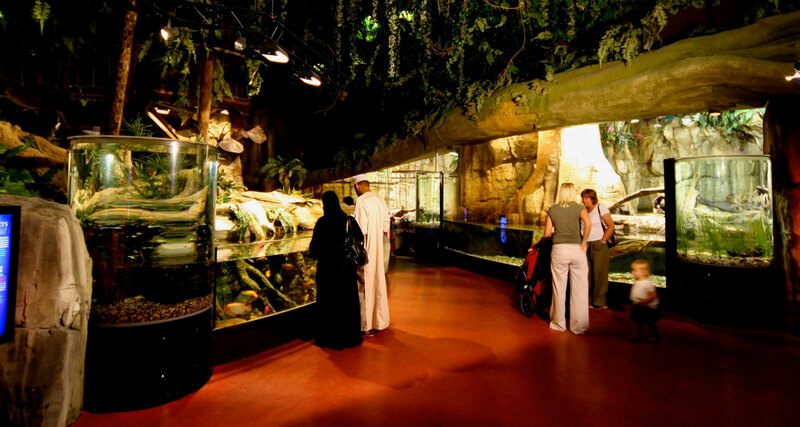 The decor design was produced by AAB. 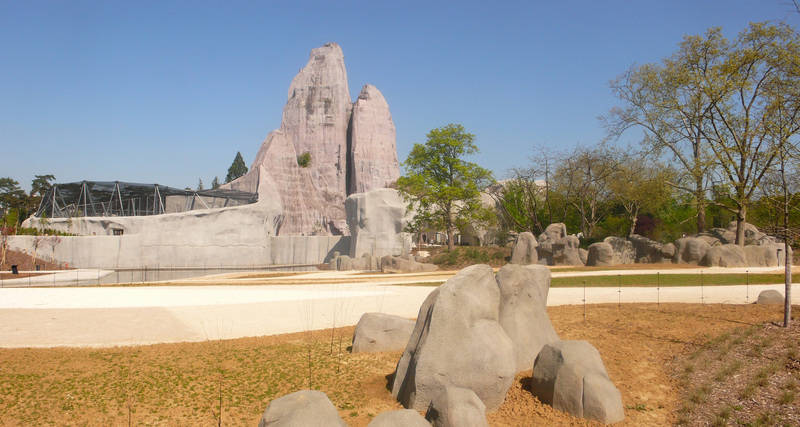 Construction and production of rock decors for the South and North basins in cooperation with DLM Corporation (David L. Manwarren, USA), for the client IDEA. 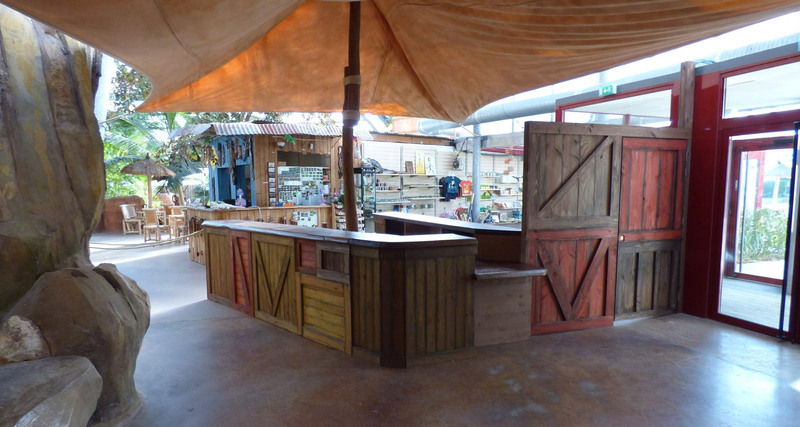 – 3,200m² of decors produced. 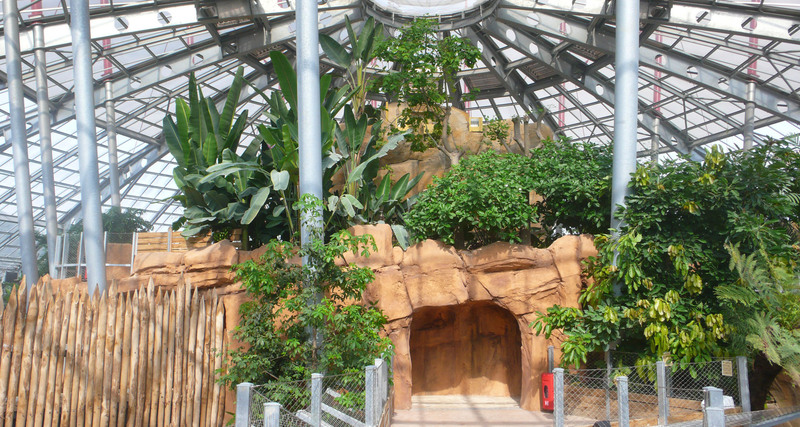 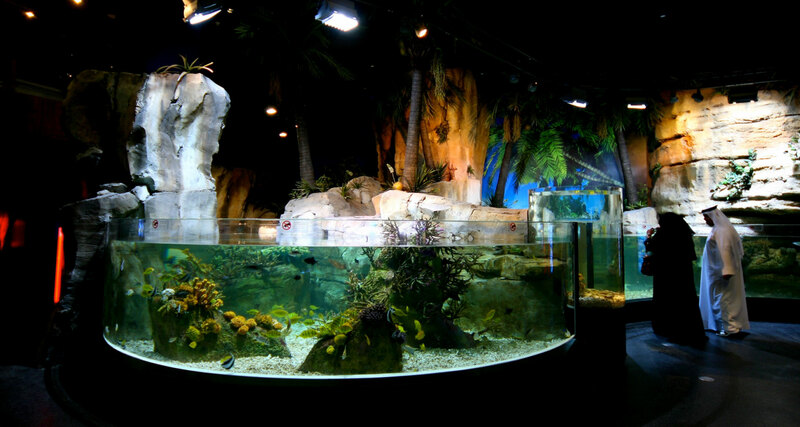 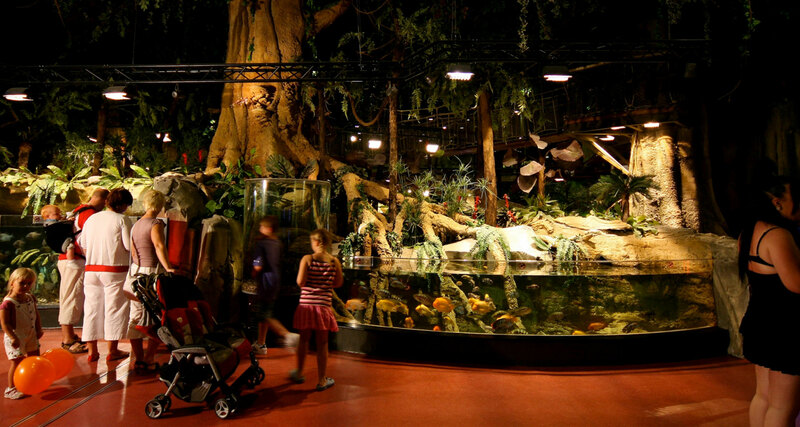 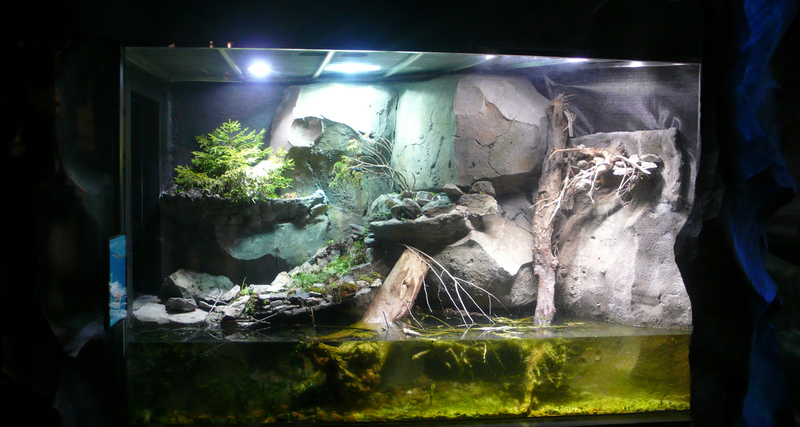 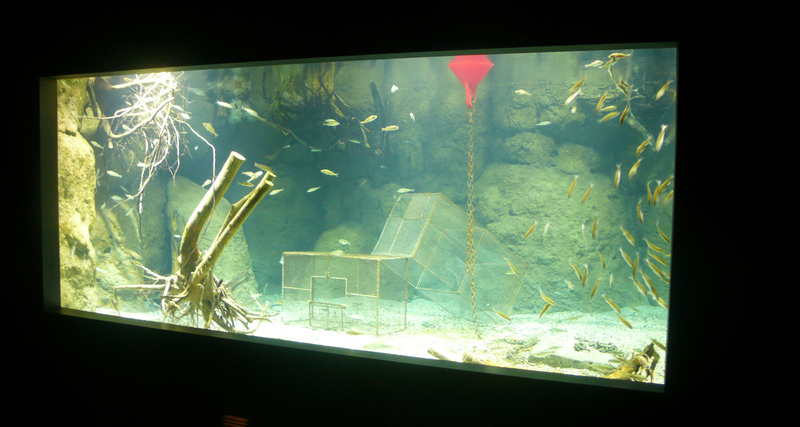 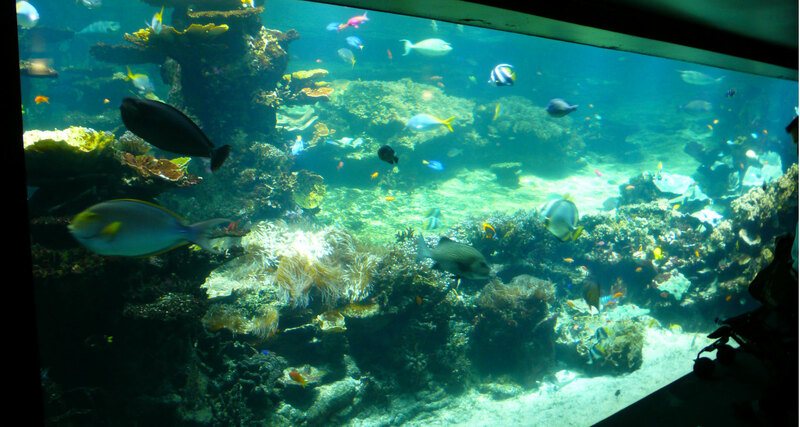 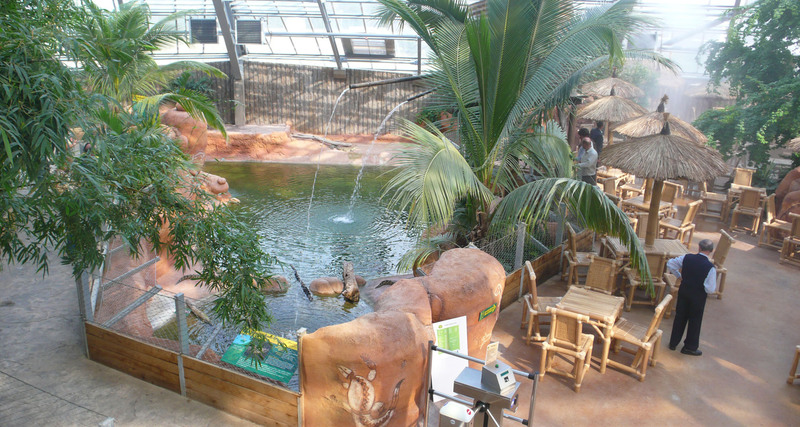 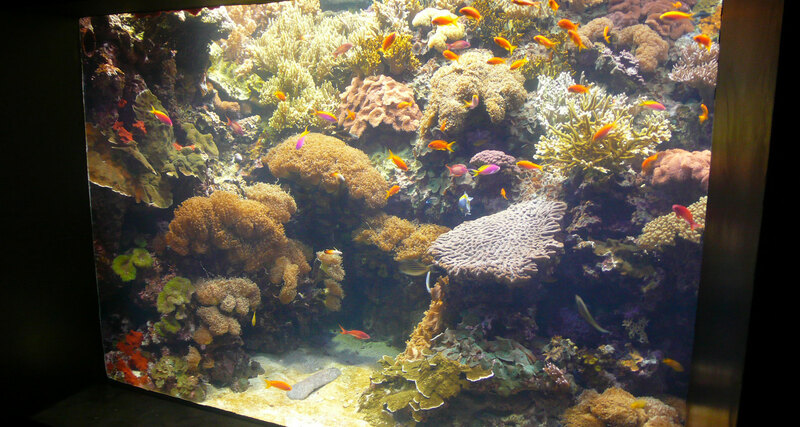 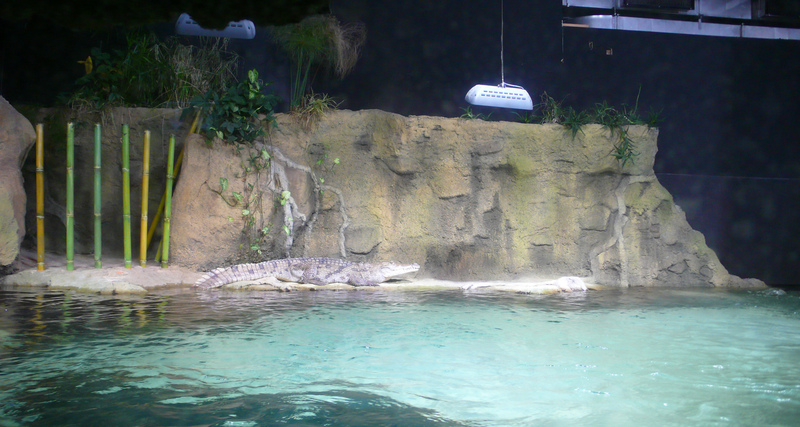 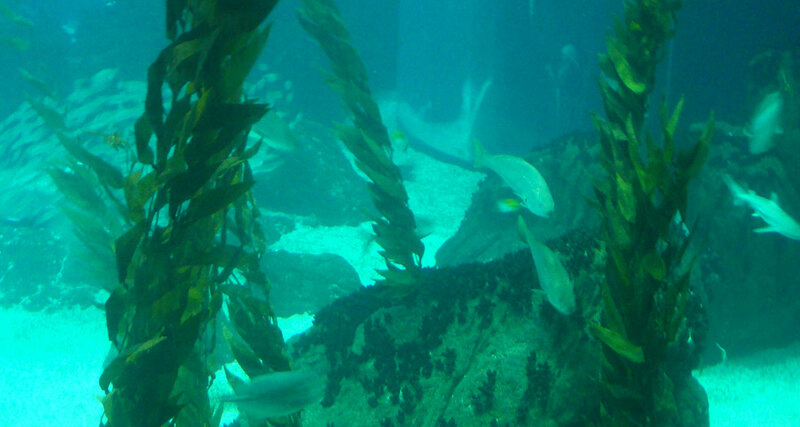 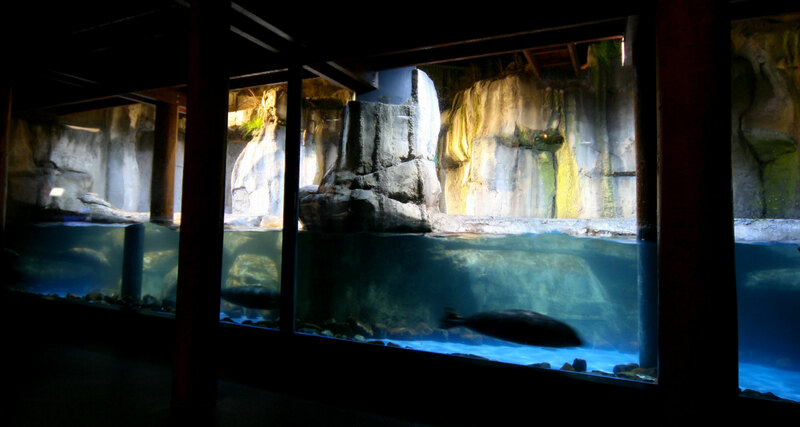 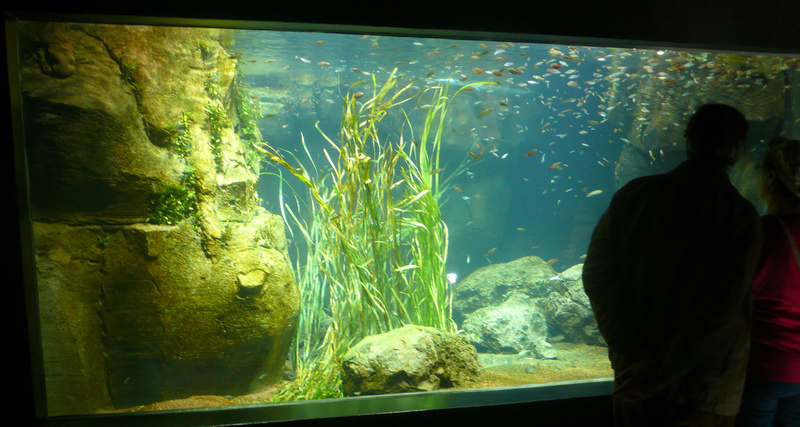 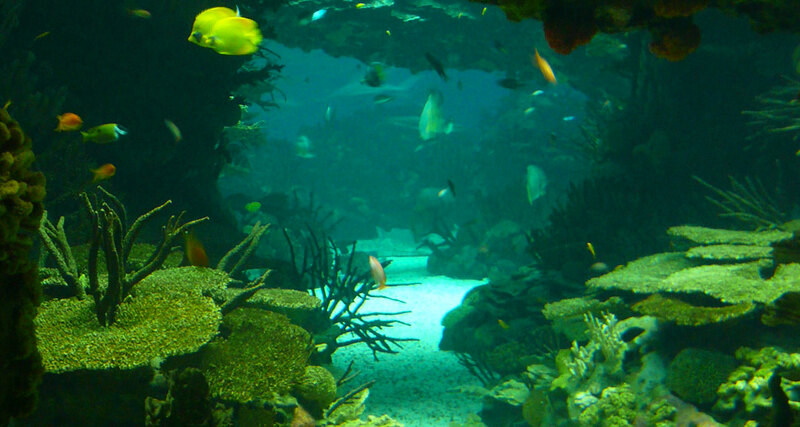 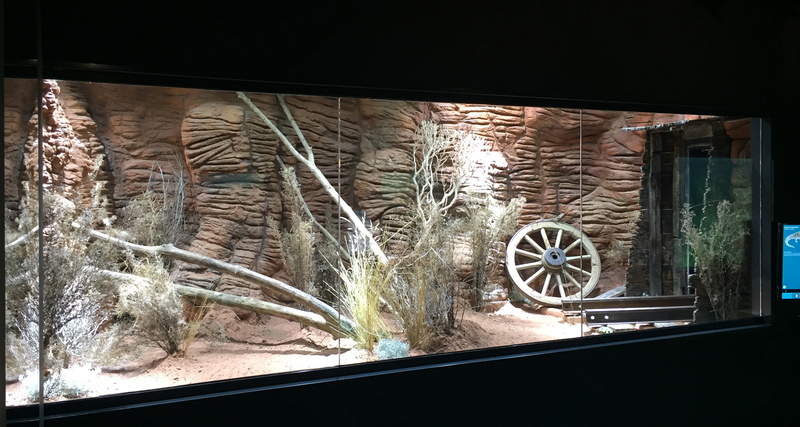 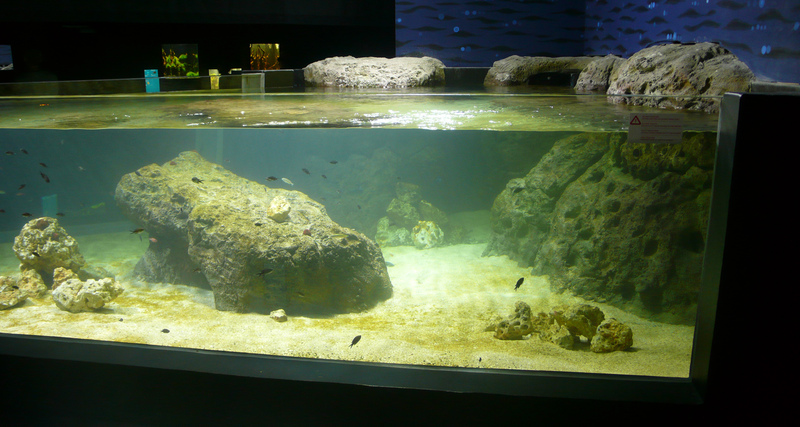 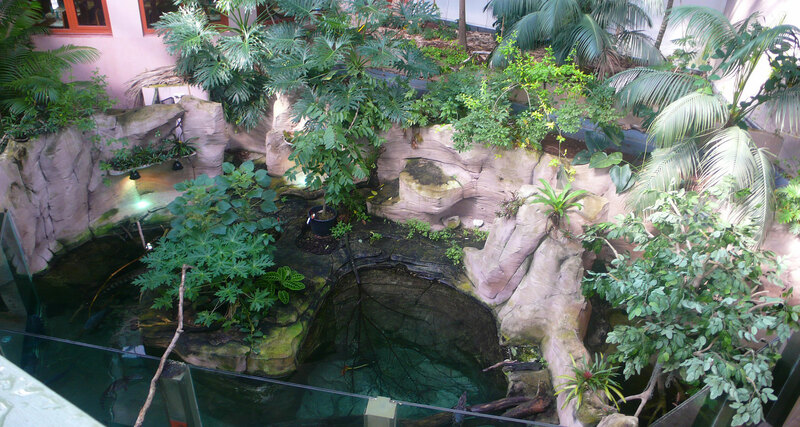 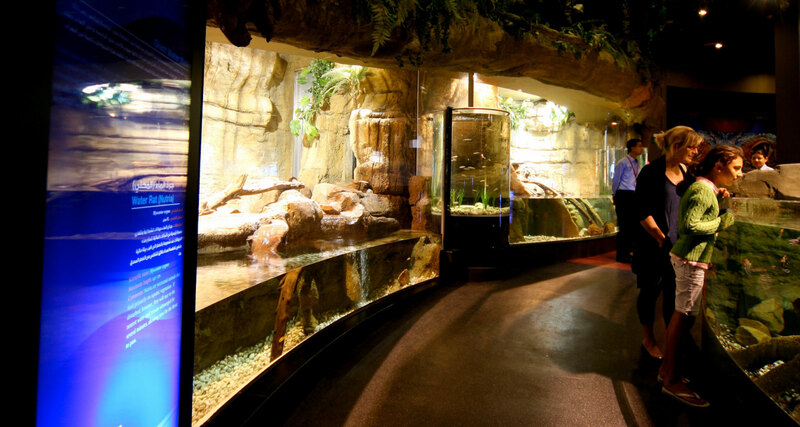 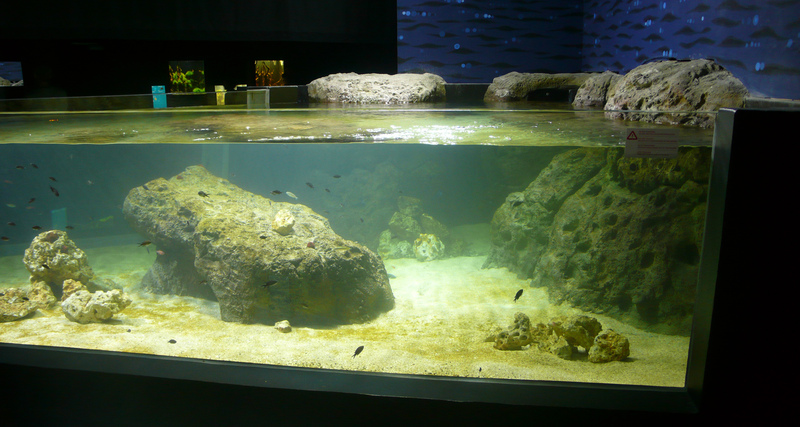 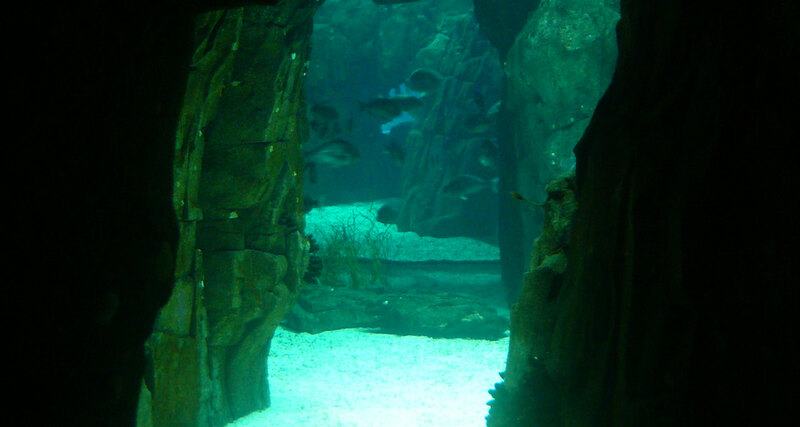 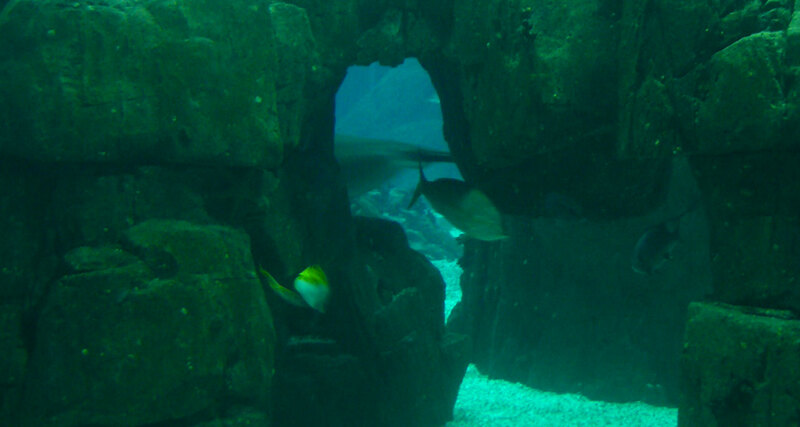 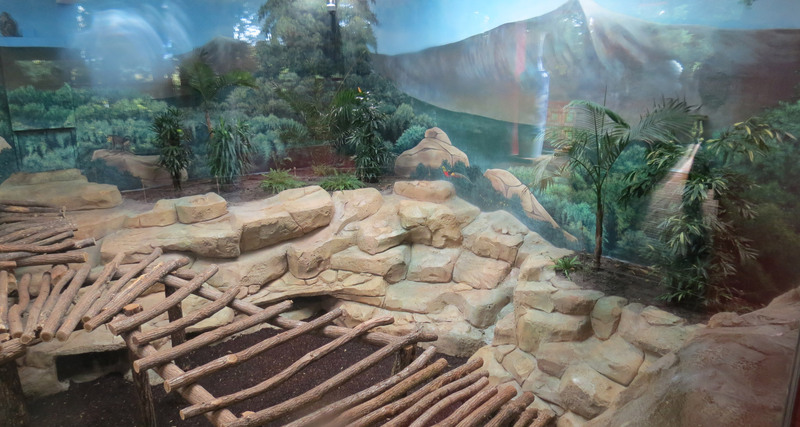 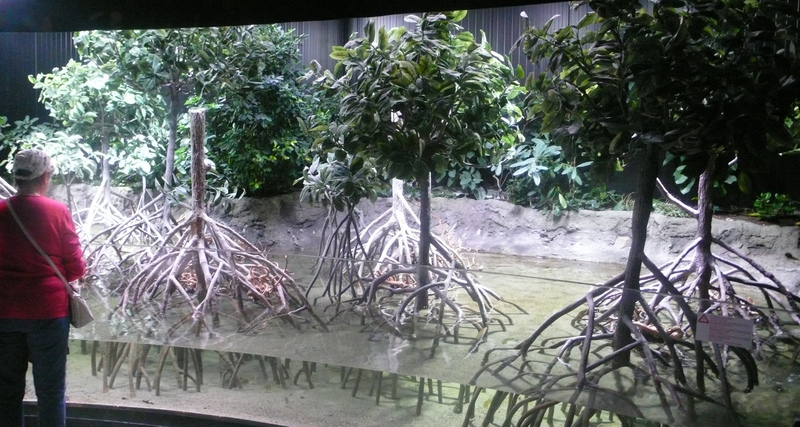 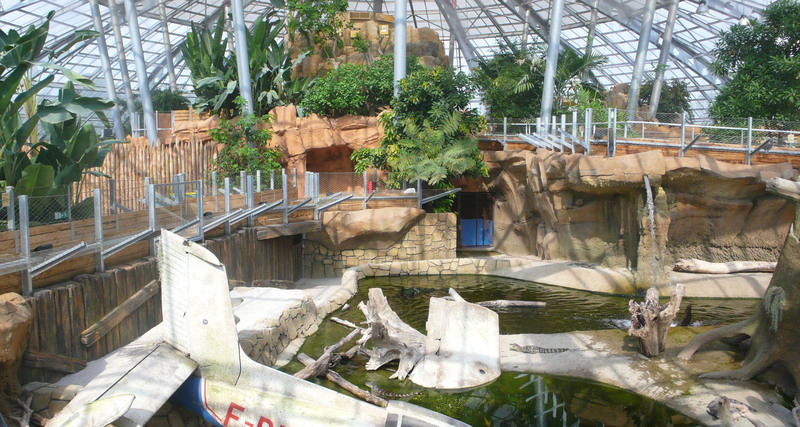 Decoration of a tropical area with aquarium and enclosure for various animals. 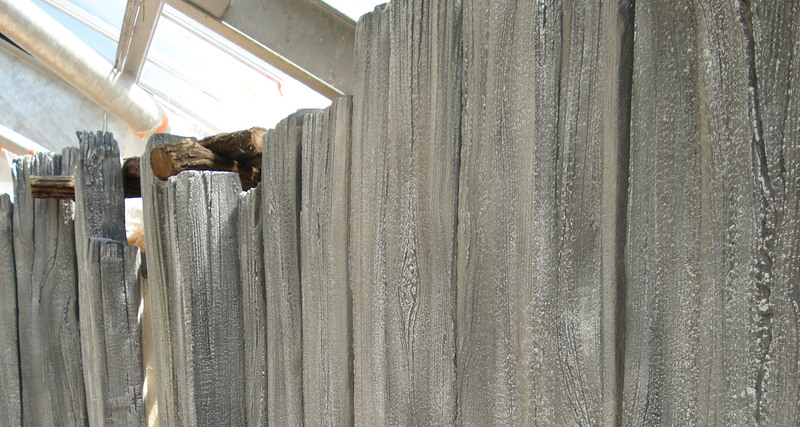 More than 1,000m² of decors produced.